It was a late June, 2016! My journey began from Kathmandu Tribhuvan International Airport, domestic departure! Tara/Yeti airways use small, 16 seated short takeoff and landing (STOL) aircraft, suitable to fly upon high altitude “the Roof of the World”. 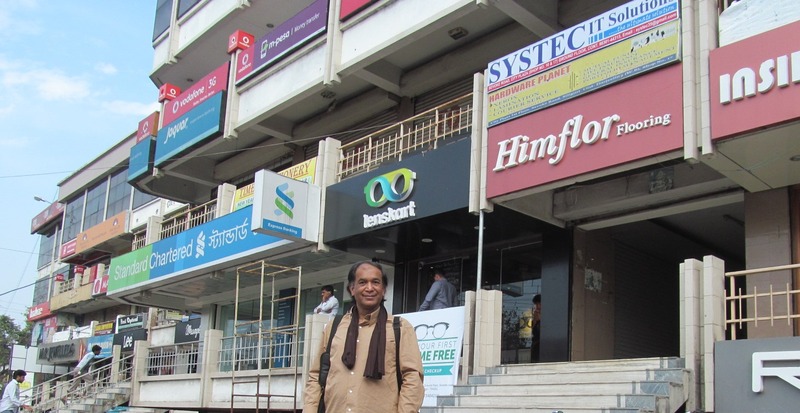 In fact intended to fly from Kathmandu through Nepalgunj to Simikot, the hub of Himalaya, but weather of early Monsoon with heavy clouds and some showers were so unfavorable to soar. 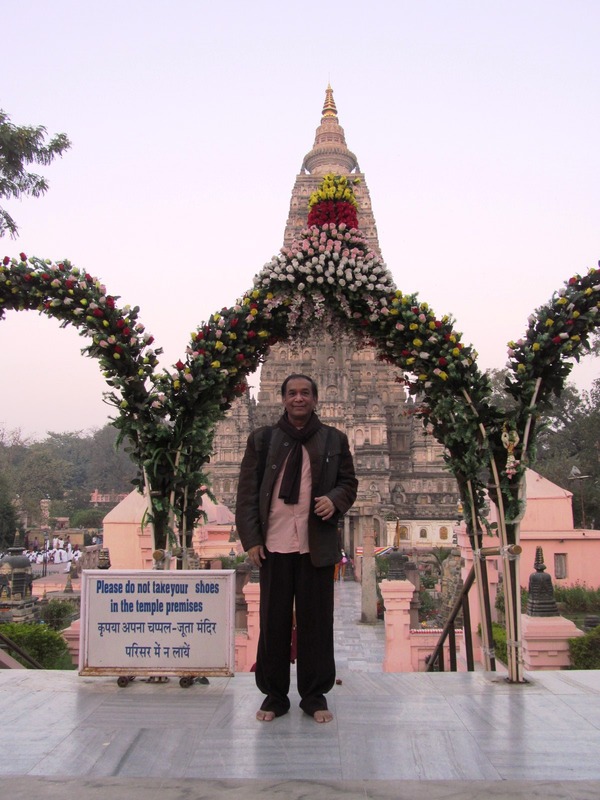 Therefore our flight could not go directly as scheduled and reached first to Siddharthanagar (formerly called Bhairahawa) which is so close to Lord Buddha’s birth-place Lumbhini. I was pondered for this coincidence and re-memorized about last 2 years back when I’d visited Lumbhini through this small airport. Waiting in Siddharthanagar airport for a few hours and then continued to Nepalgunj. Safely arrived but all the flight programs were cancelled to go forward with the reason of the state of the atmosphere. 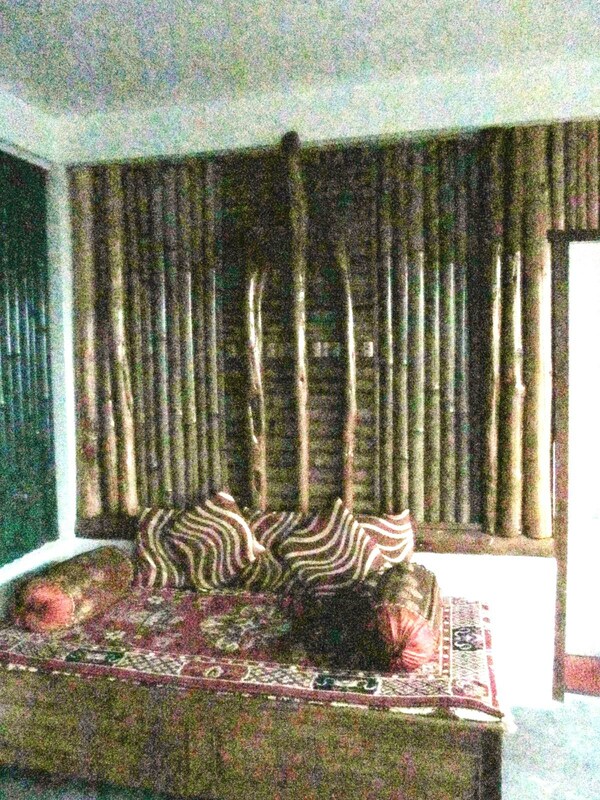 No choice but to stay a night at “Siddhartha Hotel” of Nepalgunj. I’d already expecting to encounter the various unpredictable situations but what happened were almost always too much unforeseeable! However, I was happy because expedition was already started, so it will be relentlessly sustained! 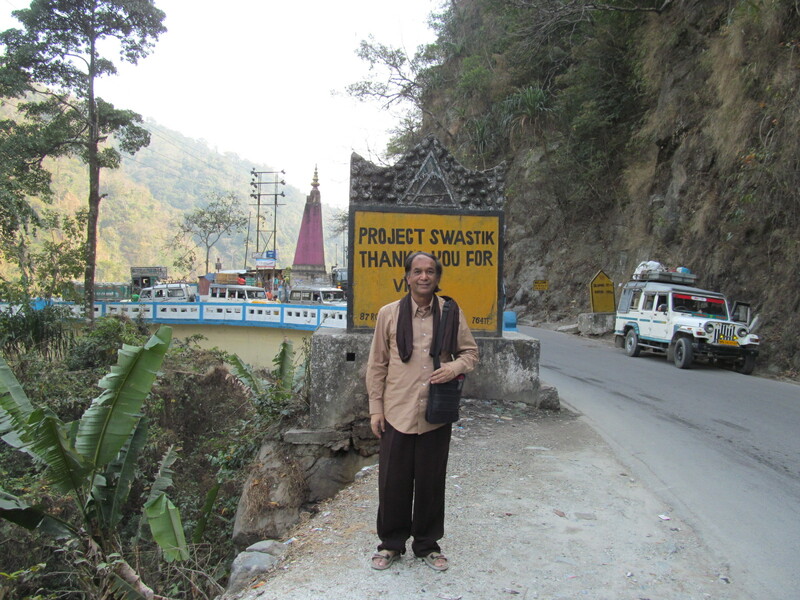 Hoping to reach Simikot the exit door to Tibet tomorrow! Next day was like a dream about unknown land. Early morning woke up and went to Nepalgunj Airport, and fortunately getting the boarding pass from Tara Air. After waiting some more hours, our little STOL plane flying northwards as right schedule, heading to Simikot. Experiencing skills of daring pilots traveling daily on the highest peaks of Himalaya more than 3,000 metre elevation. Finally reached to Simikot, a large village which is a headquarter of Humla Karnali Zone in the mountain region of northwestern Nepal. Runway is relatively short 549 metres (1,800 ft) with airport located at 9,246 ft (2,818 m) above mean sea level. Small airport building was still under construction and crowded. However, views were mesmerizing, I can now visualize to continue my journey to reach Purang (Taklakot) in the Tibet Autonomous Region of China crossing border at Hilsa. There was always another tomorrow, for I have to stay here for awhile. All the loads were carried by Tibetan speaking village women with wonderful strength! Hiked up from the airport and reached to a place for lying down. I’d stayed at “Sun Valley Guesthouse” from where the mountainous views from the window were amazing, and I think I was now in a dream like Neverland. Clock seems to be slowed-down or even stopped. Simikot is isolated and still as Sangrila. Located over the high pass and inside the inner Himalayas with deep gorge of Humla Karnali river valley. Going along the tortuous stone paved narrow lanes of village take me through a unique blend of Tibetan Buddhist and Nepali Gurung cultures. 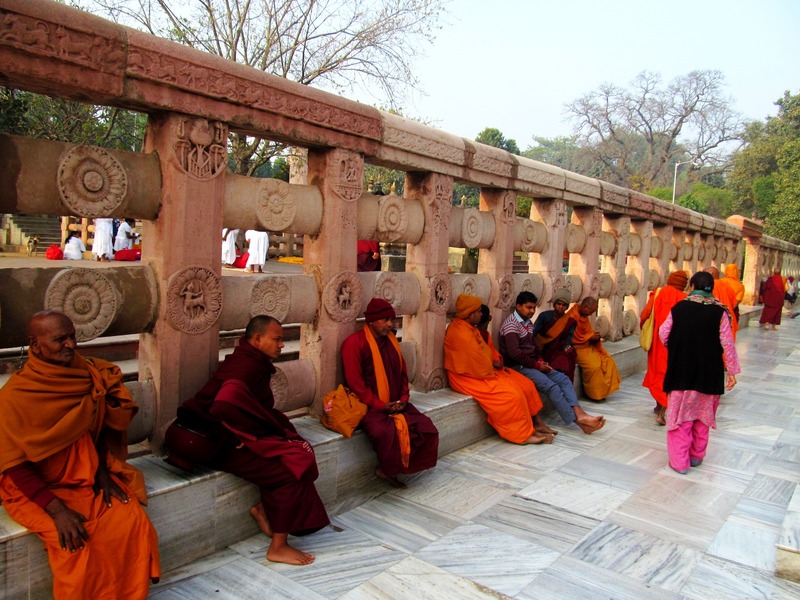 Mixed population of Buddhists and Hindus. 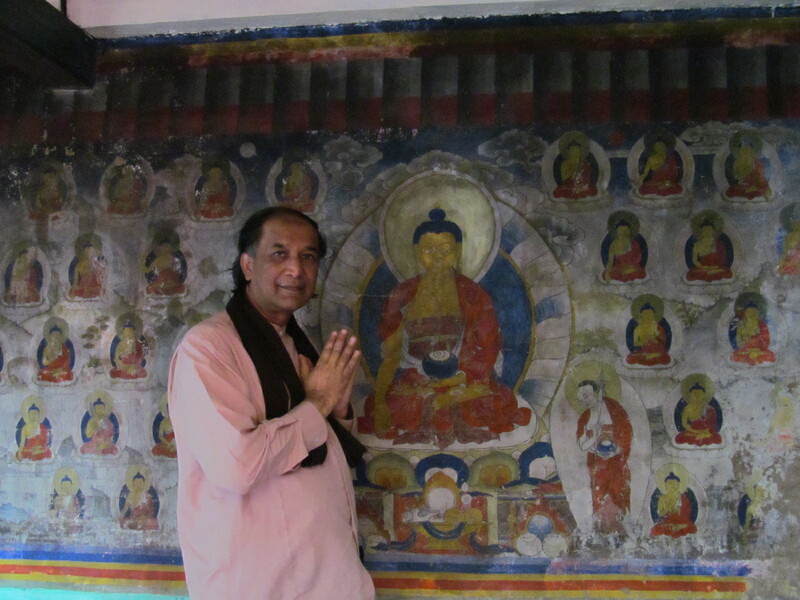 It is the land where H. H. Dalai Lama had mediated once for the sometime. 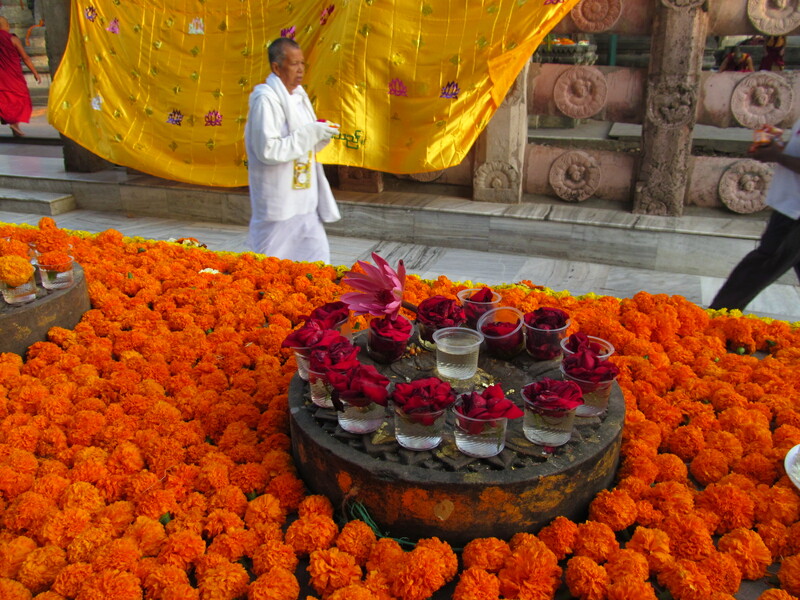 Every three villages have own Monastery where they go to pray and celebrated the local festivals. 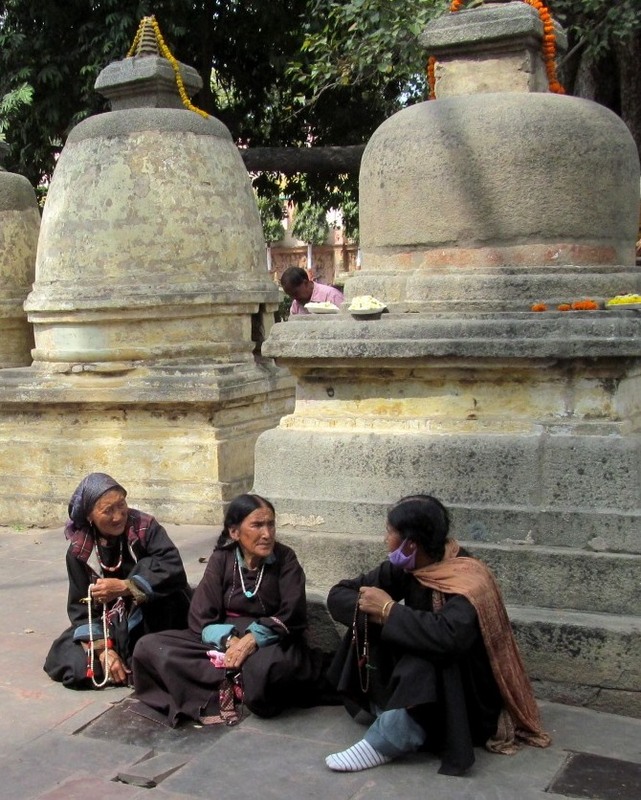 People are looks like Tibetan and speak Indo-Bramble language like Tibetan people. They are simple, quiet, friendly and live in a very humble life-style. Obviously poor but rich again in peace, tranquility and harmony with natural environment. Their housing style is unique, live in Trans-Himalayan style stone huts plastered with mud. 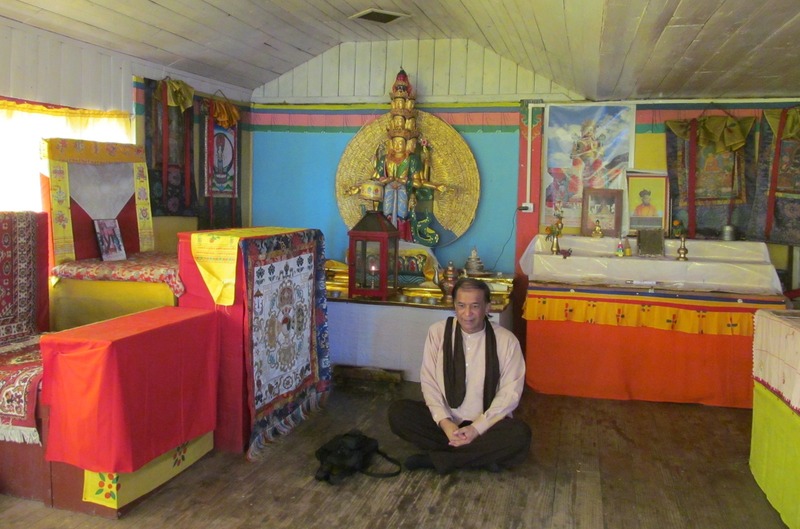 The house types differ little from one ethnic group to the other, but generally easier to visit peoples of the Tibetan-related communities rather than the orthodox Hindu castes who are more reserved and against welcoming strangers inside. I walk through the village, proceed through Tallo Gaon part of Simikot, pass by the some cultivating patches and herding ground toward the extreme fringe of the Simikot plateau. 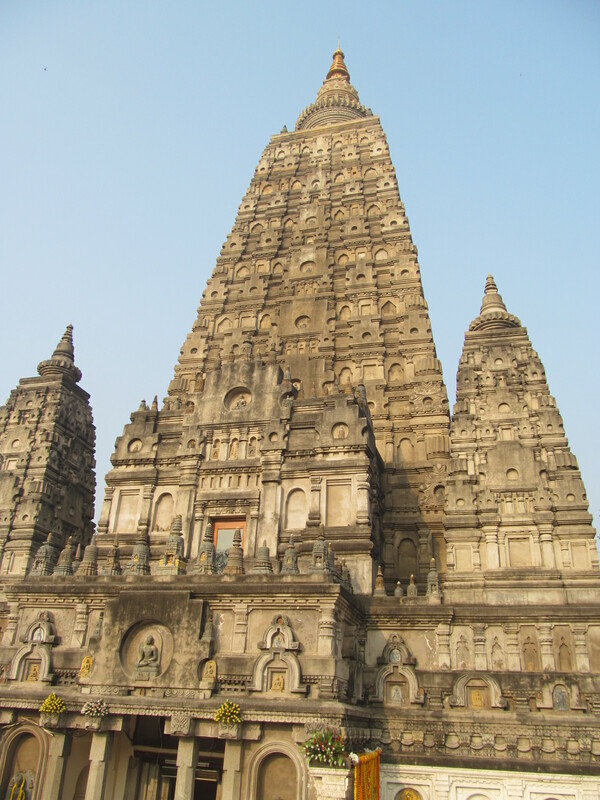 Then I saw the unmistakable temple which I can’t miss it. 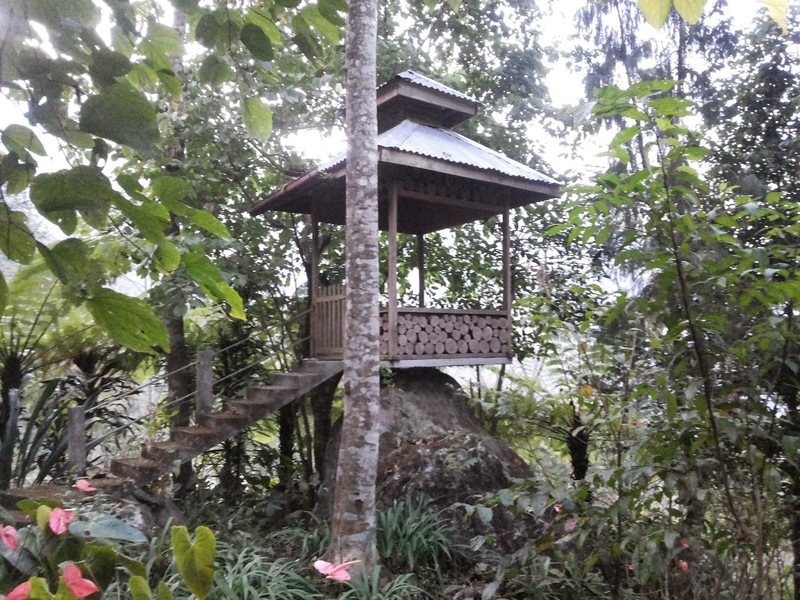 It is of course at the southeastern edge of the Simikot ledge, not a big or fancy building, but the environment makes it a very pleasant and special destination. I can view from here to the north to 5-Peaks Pinnacle, above 6000 meters, and a view down to the valley where Humla Karnali river is flowing like a serpentine silver ribbon a thousand meters below. 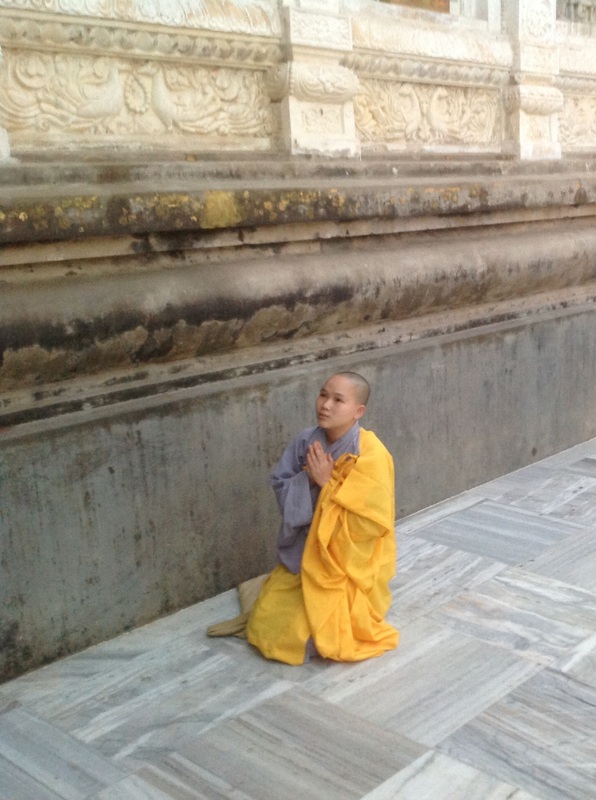 Experience was, no doubt, physically and spiritually remarkable! It was early March 2015. 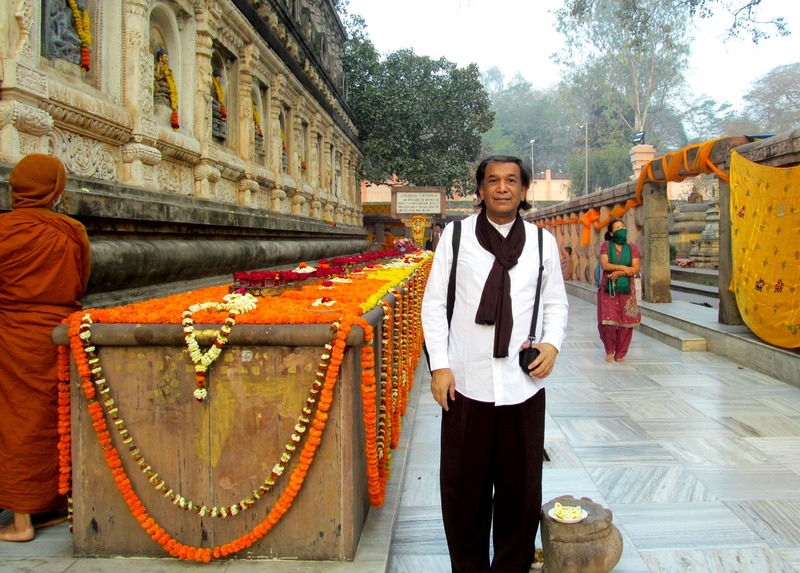 As a week of time consumed, I’d departed the holy land Gaya for my new destination with a private taxi. 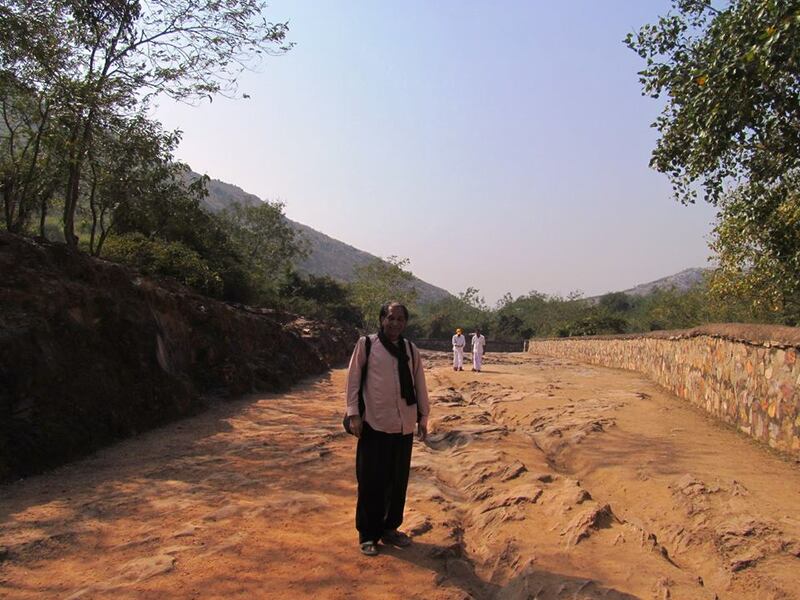 On the way through I was crossing ancient city Rajgir surrounded by seven hills. 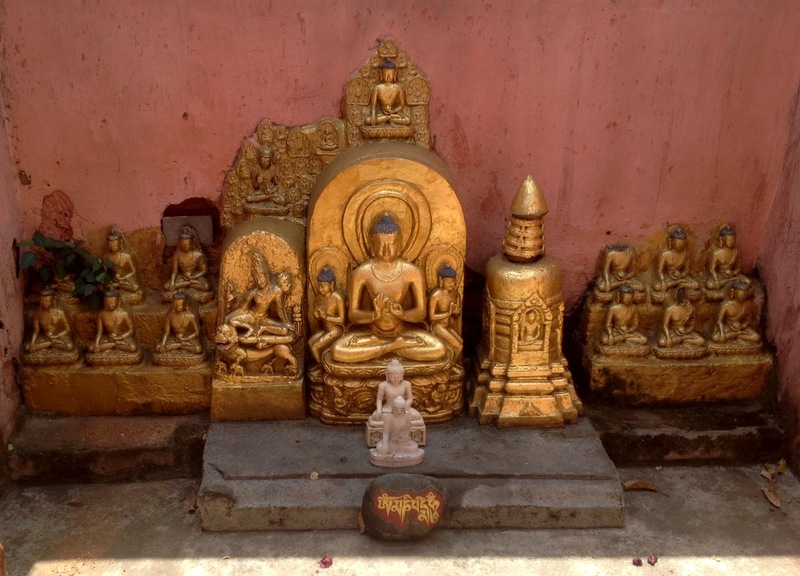 Lord Gautama Buddha spent several months meditating, and preaching here, also delivered some of his famous sermons and initiated king Bimbisara of Magadha and countless others to Buddhism. 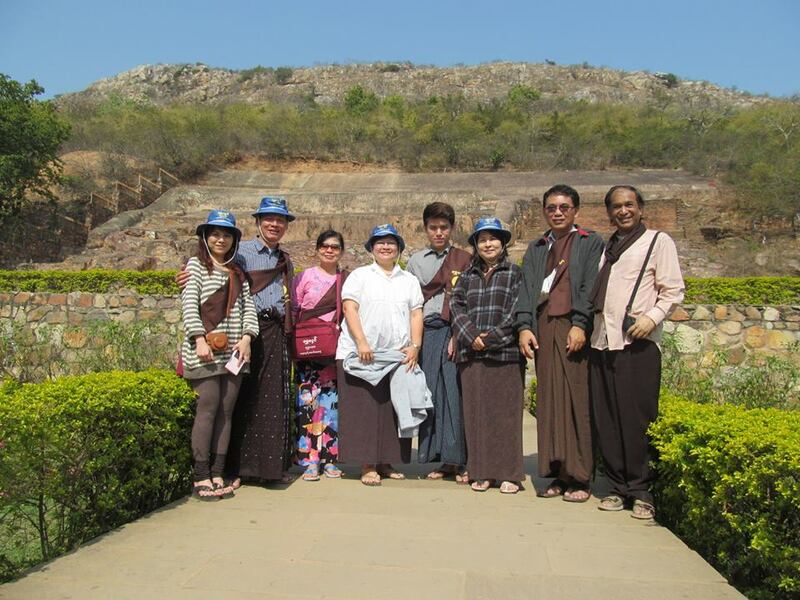 On one of the hills is the Saptparni cave where the First Buddhist Council was held. Coincidentally again I met here my in-laws U Soe Than & Daw Aye Aye Han family. 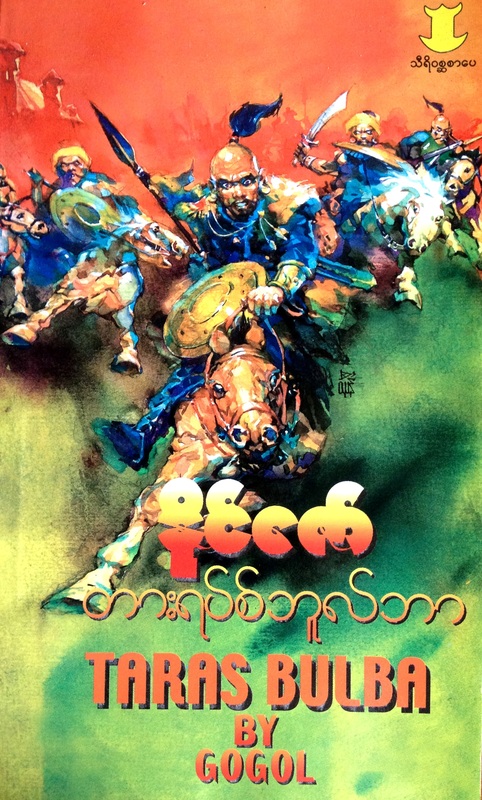 We all missed Mi Kay Thi, Ye Khant, and Hnin Oo Mon. NALANDA (နလႏၵာ) Through my continuing journey I dropped in on for a while at Ancient University of Nalanda which I admired much. 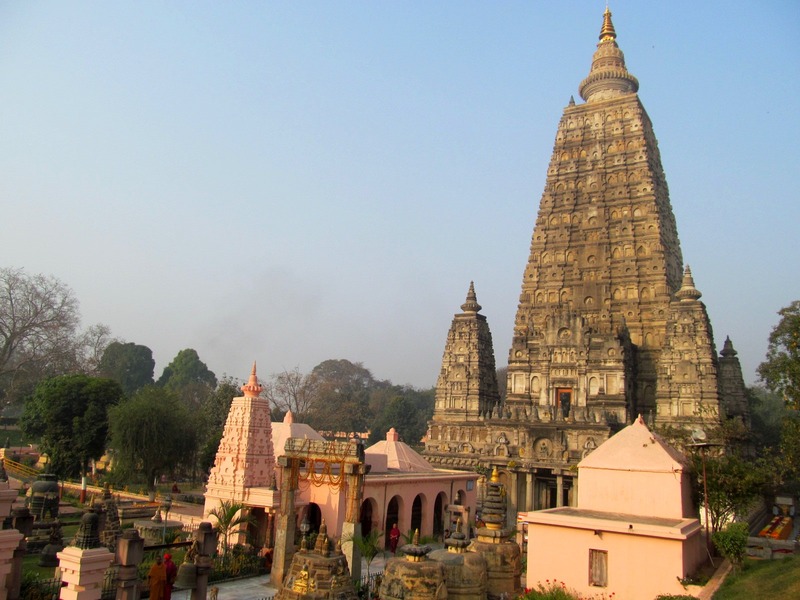 It was acclaimed as an enormous Buddhist monastery in ancient Magadha Kingdom, centre of learning from 5th to 1200 CE. Flourished under the patronage of Gupta Empire, and later, rulers of Pala Empire. Finally ransacked by an army of Muslim Mamluk Dynasty under Bakhtiyar Khilji. 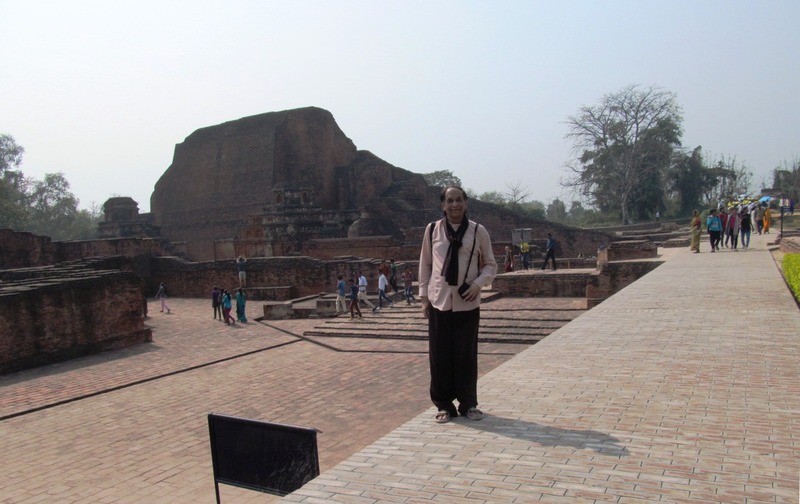 I’d visit to the Black Buddha and also call round for a moment to Nava Nalanda Maha Vihara University to meet with my friend Venerable Professor Dr Dhamma Jyoti from Ladakh. 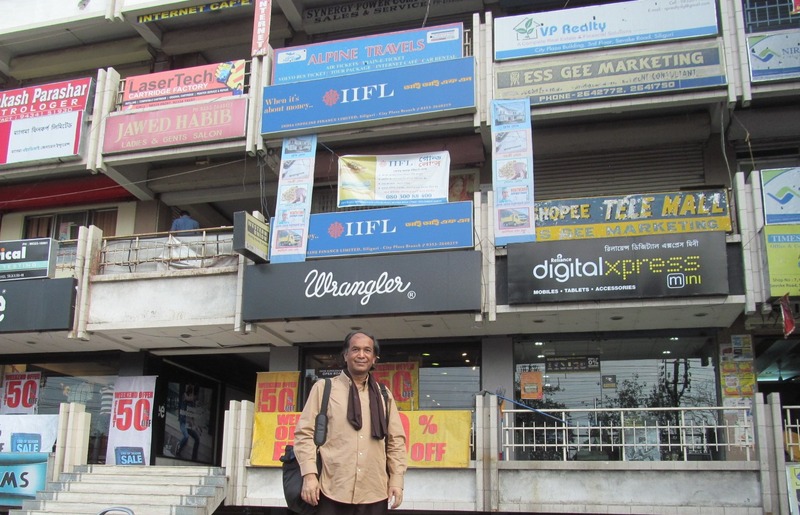 My travelling trek was long and somehow tiresome under the summer heat of India. 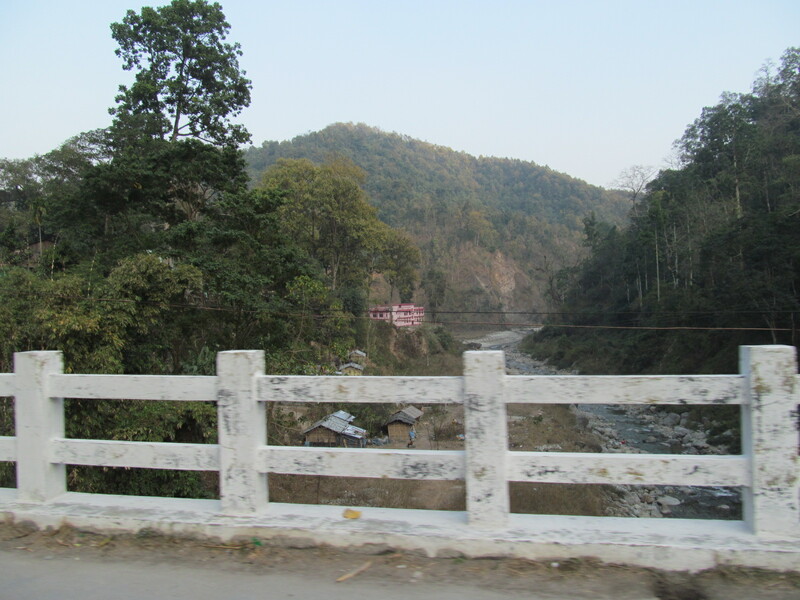 Distance from Gaya to Siliguri by road is about 520 Km and driving time typically 9 hours. 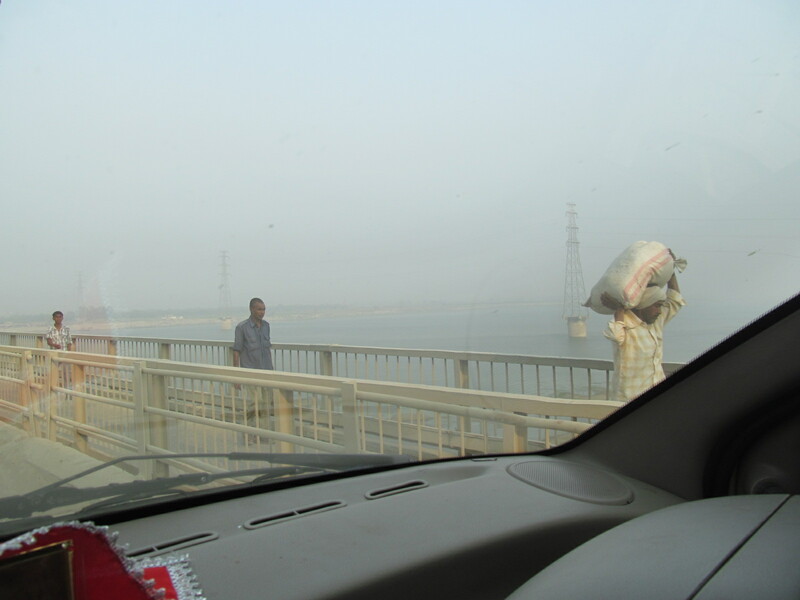 I’d overpassed the bridge on the River Ganges and entered the Siliguri Corridor or Chicken’s Neck, which is a narrow stretch of land that connects northeastern states to the rest of India. 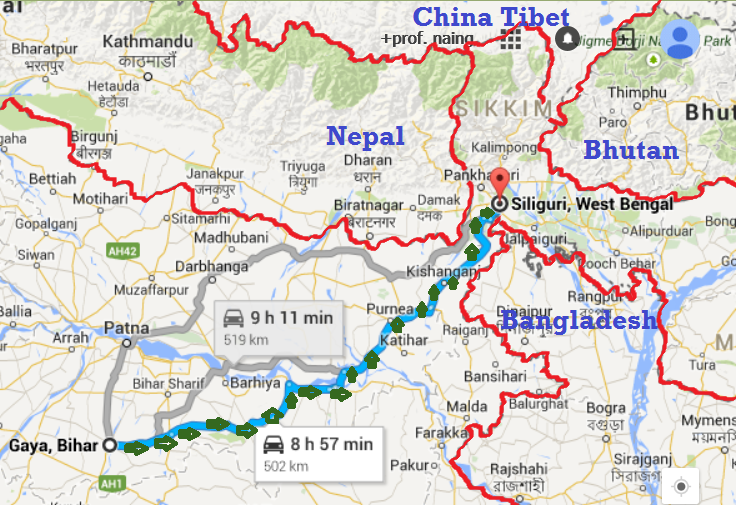 Nepal and Bangladesh are resting on either side of this corridor and kingdom of Bhutan being on the north. By almost non-stop driving I reached to Siliguri about midnight. 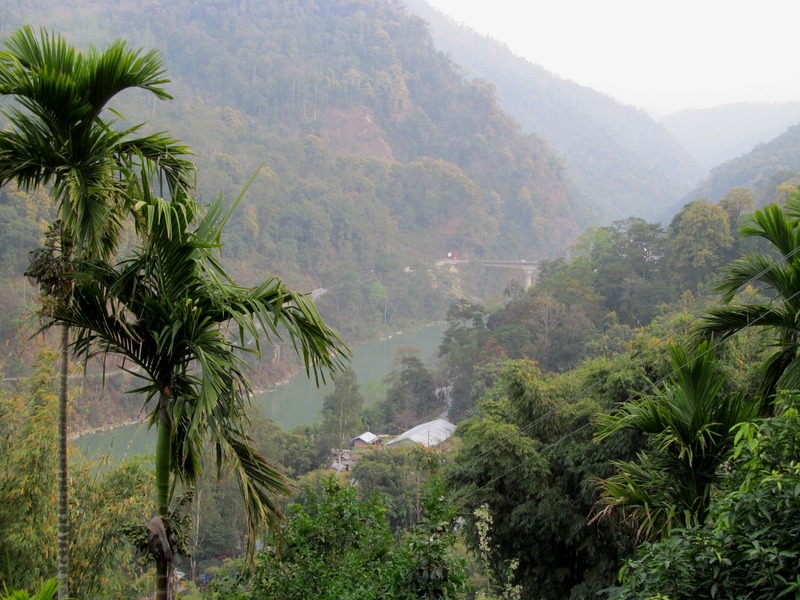 Its location is strategic geographically on the plain of Mahananda River valley at the base of Himalaya. 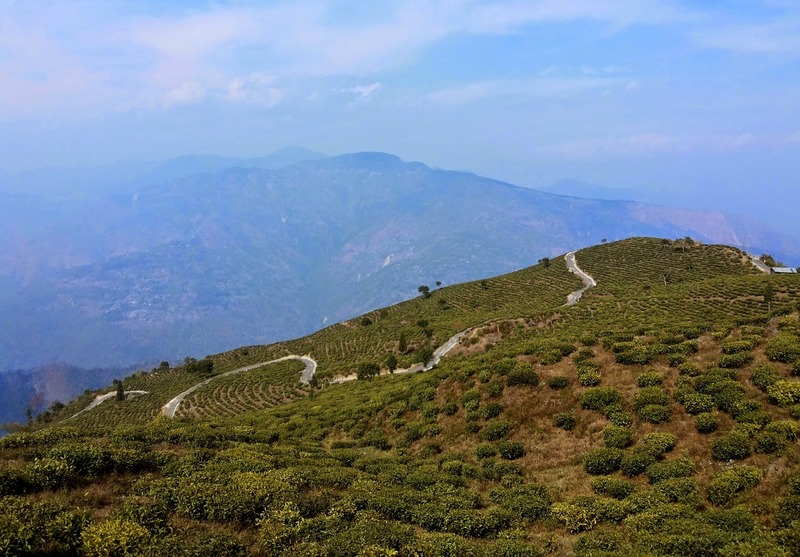 Gateway to hill stations such as Darjeeling, Kalimpong, Kurseong and Mirik and North East, it is famous for 4 ‘T’s: tea, transport, tourism and timber. 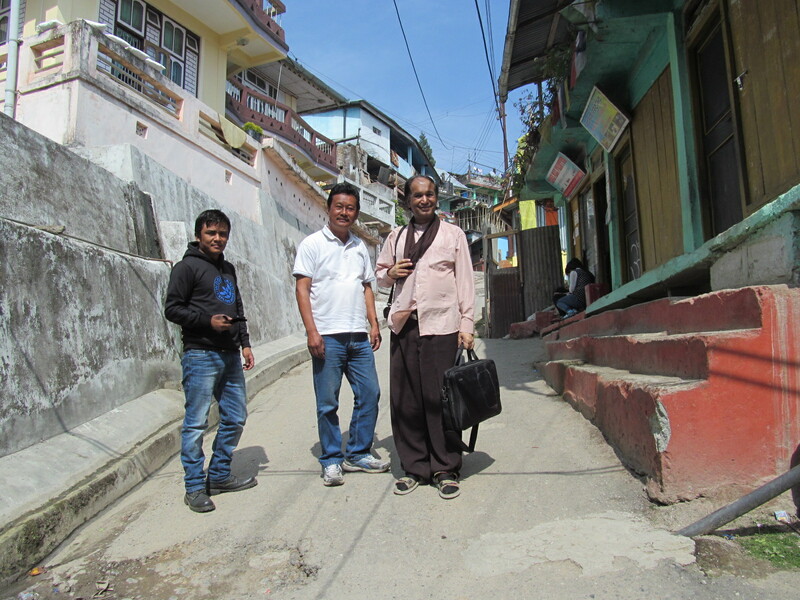 ENTERED INTO DARJEELING DISTRICT In Siliguri, I’d met with my young, active, and good hearted friend, Babit Gurung, who is a Writer, Social Worker, Rural Tourism Promoter and Consultant. Continuing trip was going on in accordance as planned. 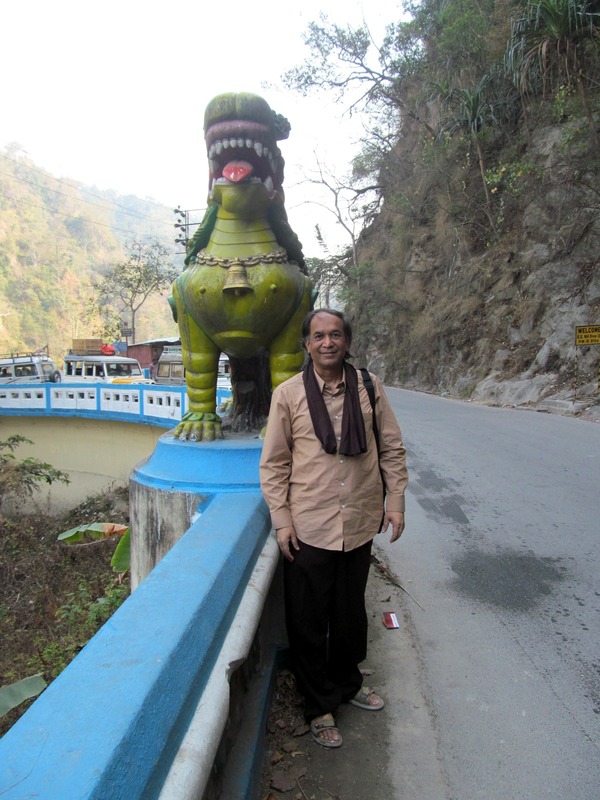 Entering into Darjeeling area (Queen of the Hills), which is the northernmost district of eastern India in the foothills of Himalayas. 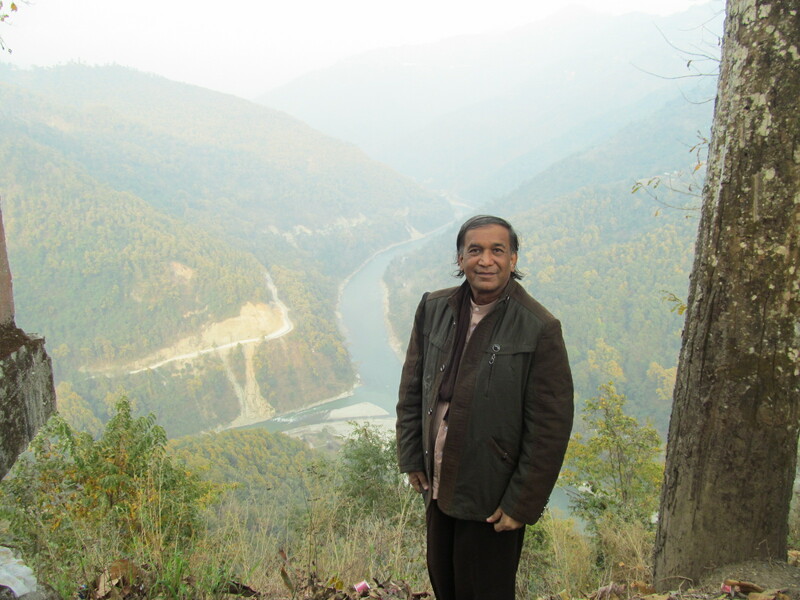 Along the feminine curves of Teesta River, famous beauty of green mountainous region welcomed me, and the cold air is scented with the fragrance of highland. 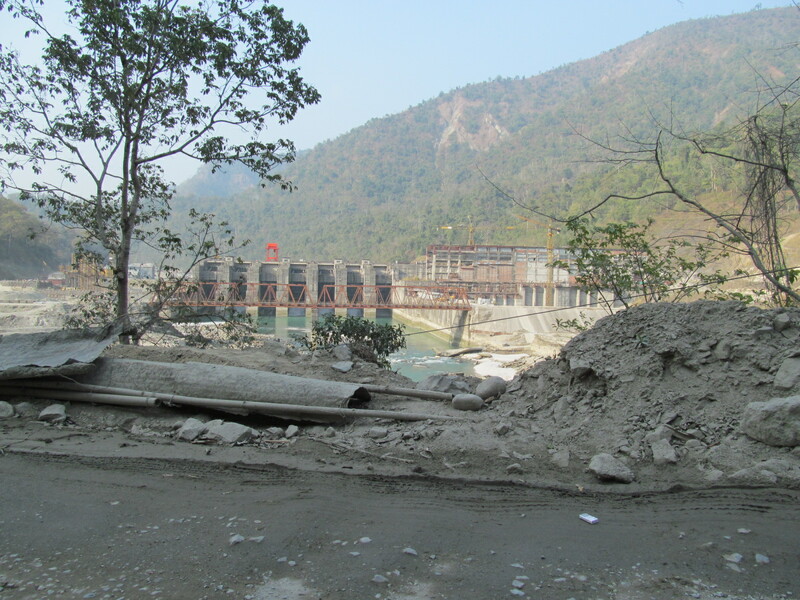 There are several hydro-electrical power projects and dams which create high water level, threatened the natural environment and inhabitants especially who resided near the river bank. 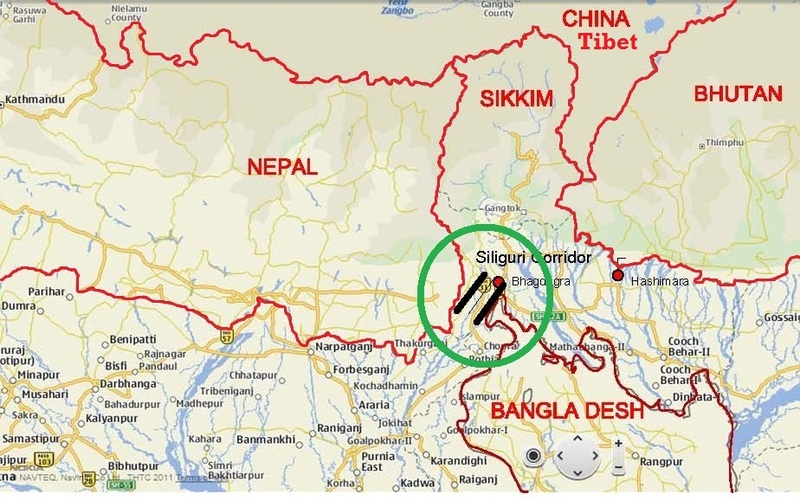 This entire hilly region comes under Gorkhaland Territorial Administration, a semi-autonomous administrative body under the state government of West Bengal. 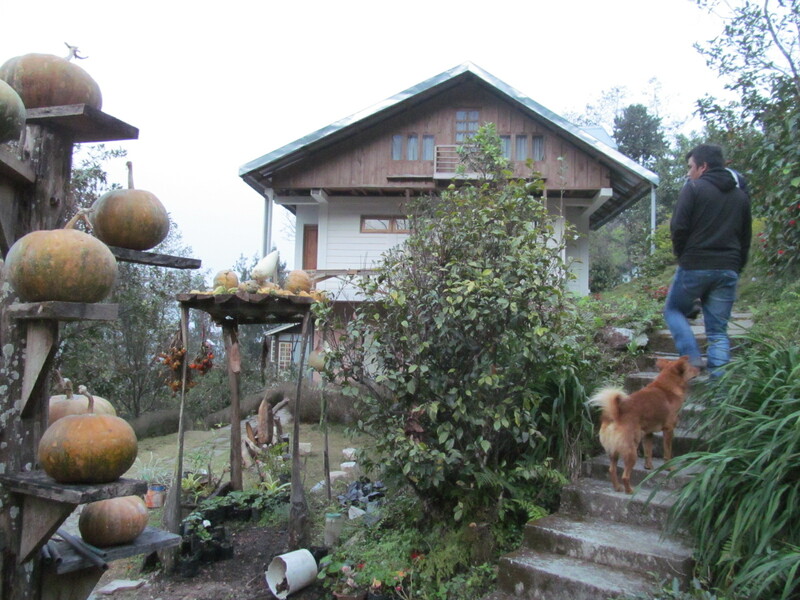 When reached to Bara Mangwa, I stayed in Mr T. N. Ghising’s Orange villa surrounded by 7-8 acres of sloped Orange orchard renowned as most beautiful in the whole District of Darjeeling. Hospitality there was really heartening. 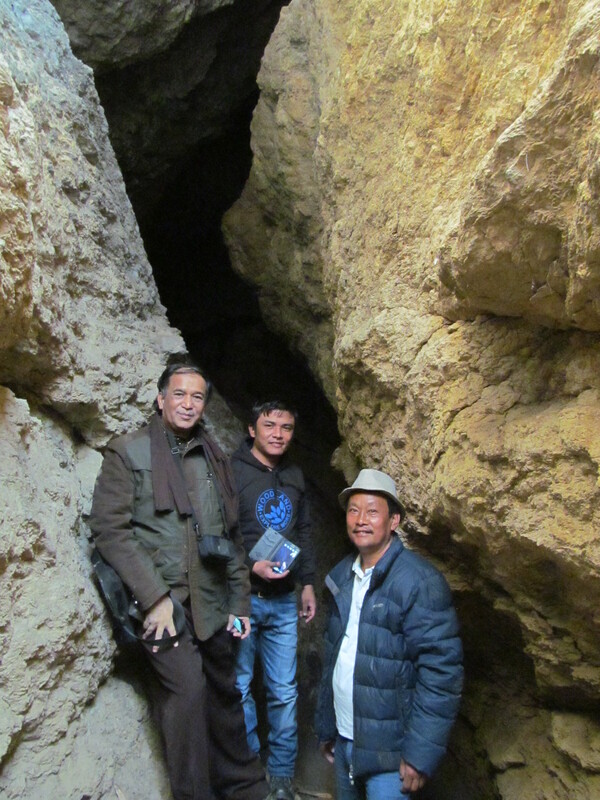 It was a fun experience to explore a nearby Bat Cave. Scenic views of surrounding are gorgeous. Observing magnificent Mt. Kangchenjunga, third highest mountain in the world, from far distant make me thrilled. 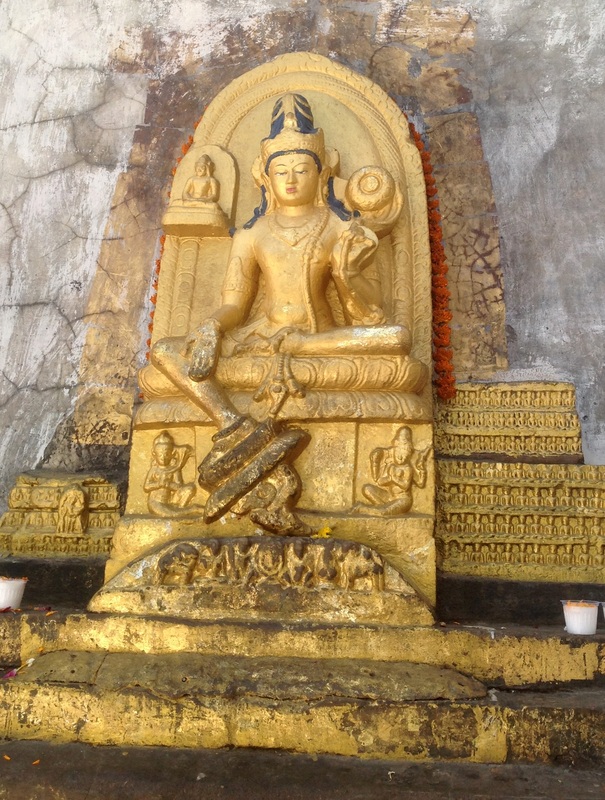 It is located in eastern Nepal and Sikkim, India called “Five Treasures of Snow” for its five high peaks (represent 5 repositories of God- gold, silver, gems, food grain, and religious texts), and worshipped by the local people. 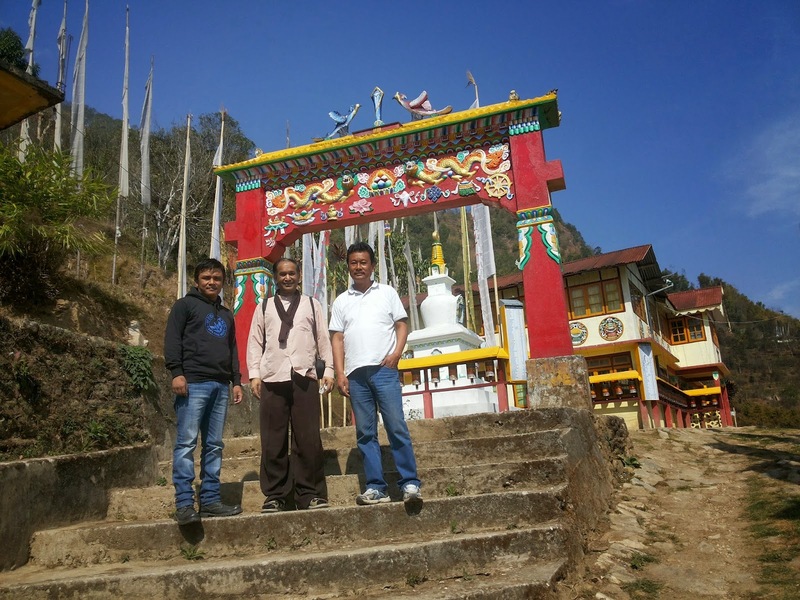 ANCIENT VAJRAYANA MONASTERY In Bara Mangwa, we’d visited to an ancient Vajrayana Buddhist monastery “Phonchok Choiliong Gompa” with its charms of architecture, murals, collection of many antiquities that brought back some glimpses of old days. 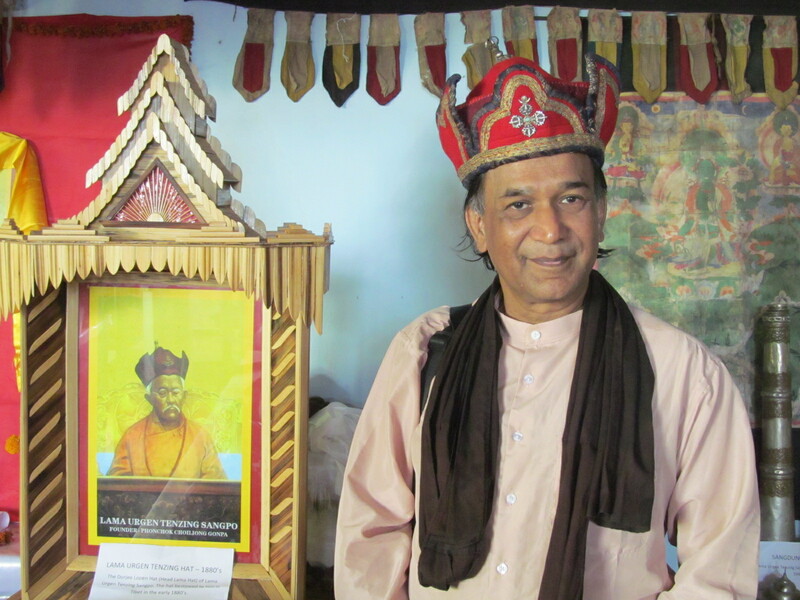 Paying reverence to the monk in-charge, venerated in the meditation room, and enjoyed in the museum like prayer hall, I automatically picked up a hat and knowing only afterwards that it was once of Lama Urgen Tenzing Sangpo’s Dorjee Lopen hat bestowed to him by some high priest in Tibet in early 1880’s. As Takdah ‘Tukdah’ (mist or fog) was a cantonment in British India, beautiful British architectural structures can still see. Enjoy scenic views of nearby tea gardens, blooming orchids, walking trails through coniferous forests on mountain slopes, there is a place “where lovers meet” with a romantic story. A young girl Teesta and a youthful lad Rangeet who prayed many years to Lord Shiva for the blessing to congregate forever and finally granted as the confluence of 2 rivers. 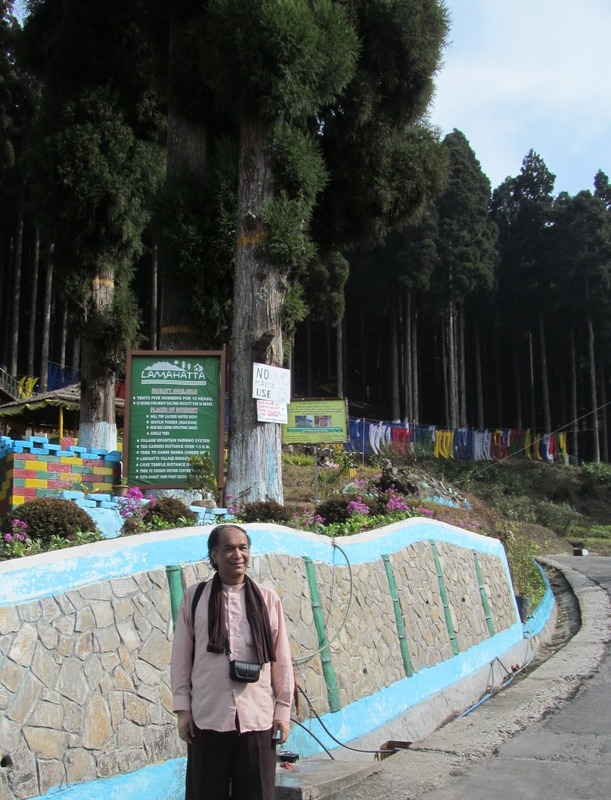 Lamahatta is a calm and peaceful place amid majestic pine forest with imminent Mt. 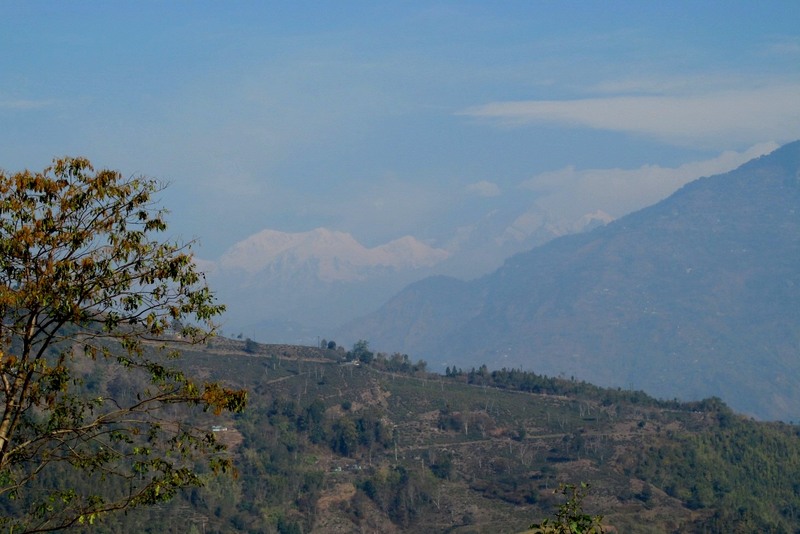 Kanchenjunga in forefront. Buddhist prayer flags are fluttering with cold breeze where an ancient Buddhist Monastery located nearby. 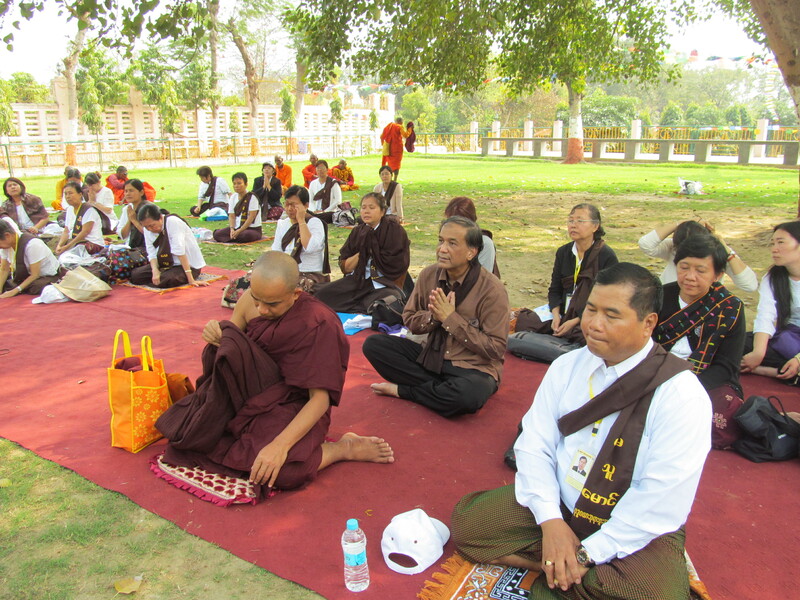 Inhabitants are mostly tribal Buddhist. 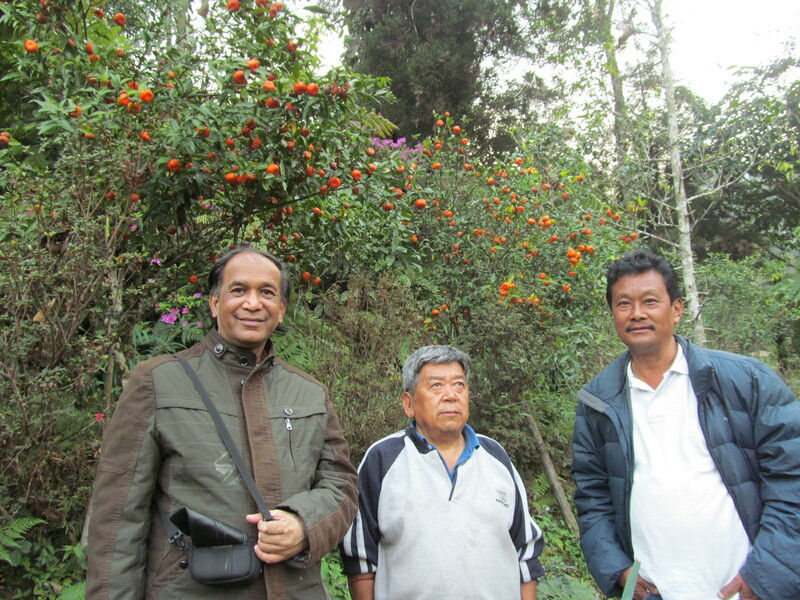 Visit to the orange land (Bara Mangwa) cannot be completed without the legendary story of late Dr. Sunita Gurung, an eminent Entomologist who’d done a lot of researches on the natural connections of citrus plantation and the insect world, knowledge helpful much to the farmers of Orange production in the areas of Darjeeling. Tragically she died young at the age of 42. 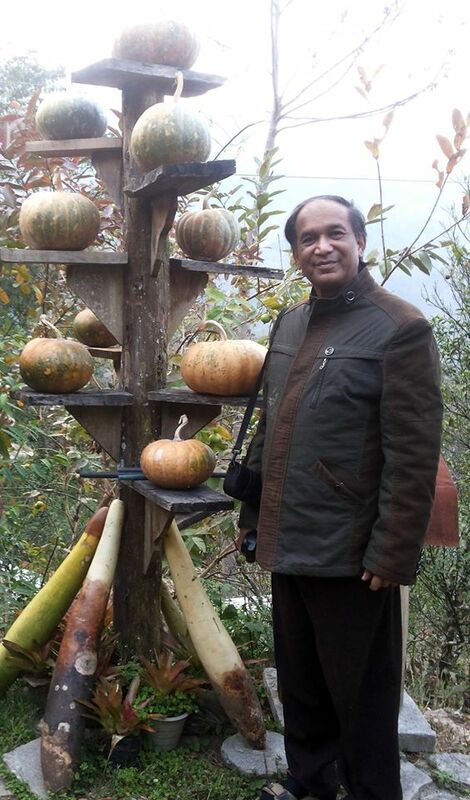 Her elder brother Mr. Gurung adorned his estate artfully by combining with natural environment. The garden is created like a dream land with trails under the green shades, surrounding orchards, a wooden bridge, writer’s house, tree house for meditation, etc. A small paradise on this earth connected with the depth of the Mother Nature. Kalimpong (Land of Kings or Stockade of the King’s Ministers) once was a gateway of the ancient Silk route for Tibet-India trade before China’s annexation of Tibet and Sino-Indian War. 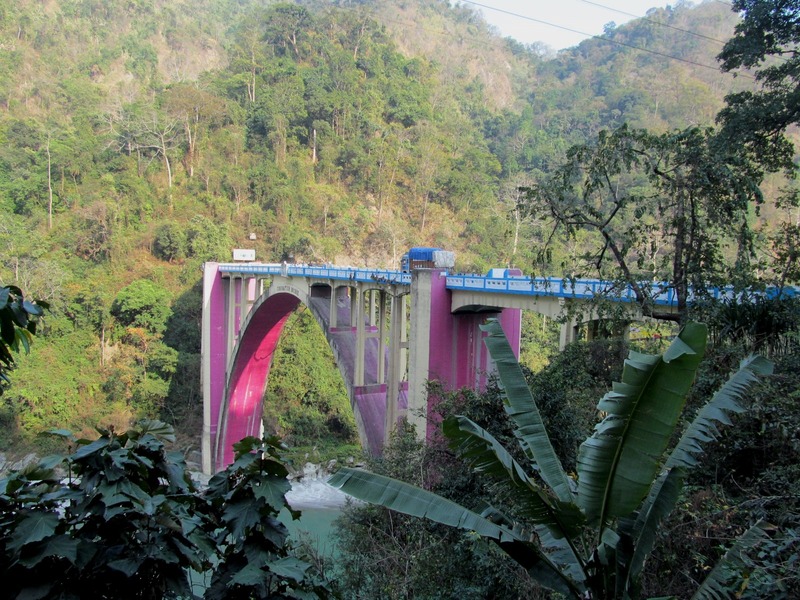 It is located on a ridge overlooking Teesta River, owing temperate climate, magnificent Himalayan beauty and proximity to popular tourist locations. 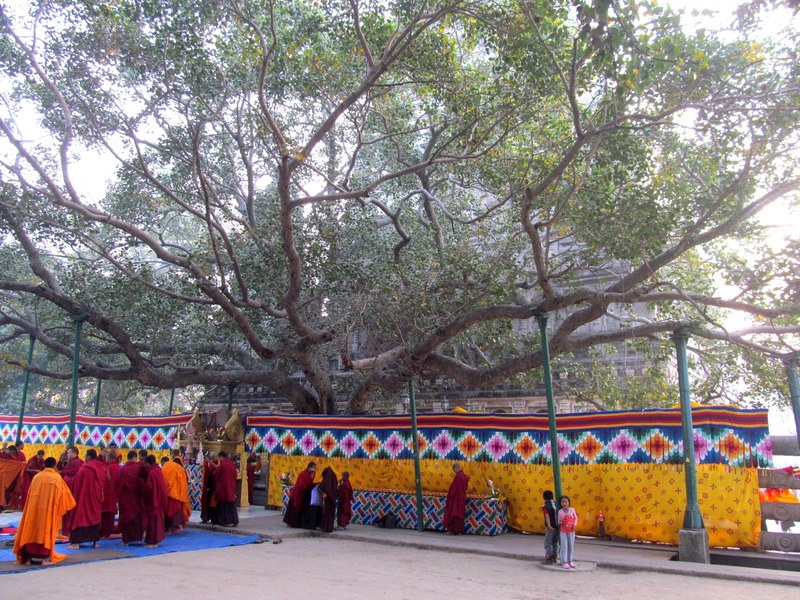 As a Centre of Buddhism, Zang Dhok Palri Phodang monastery is famous for keeping some rare Tibetan Buddhist scriptures. Much delightful for me was to visit St. May Church with the architectural pattern and decorations very similar to a Tibetan Buddhist temple. 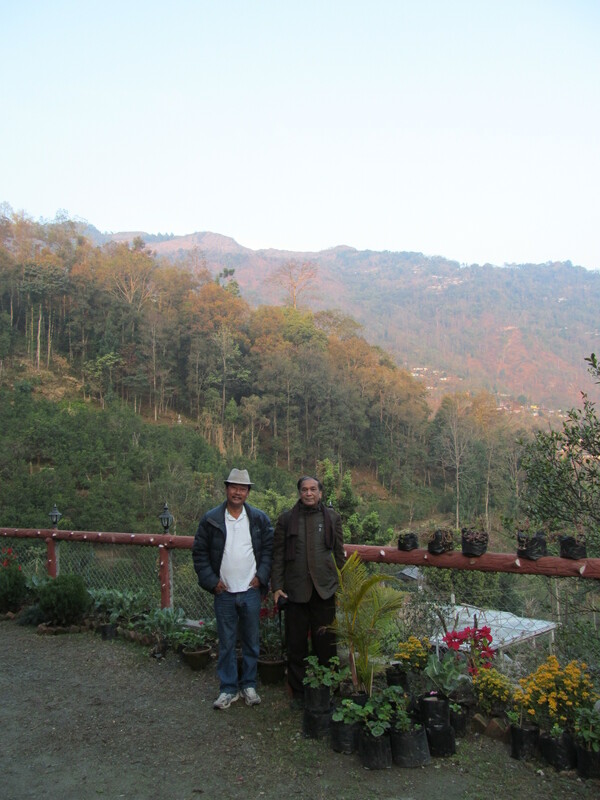 My next sojourn was Pedong, which is located on a ridge, grasps a panoramic view of Himalayan range including Mt. Kanchenjunga. 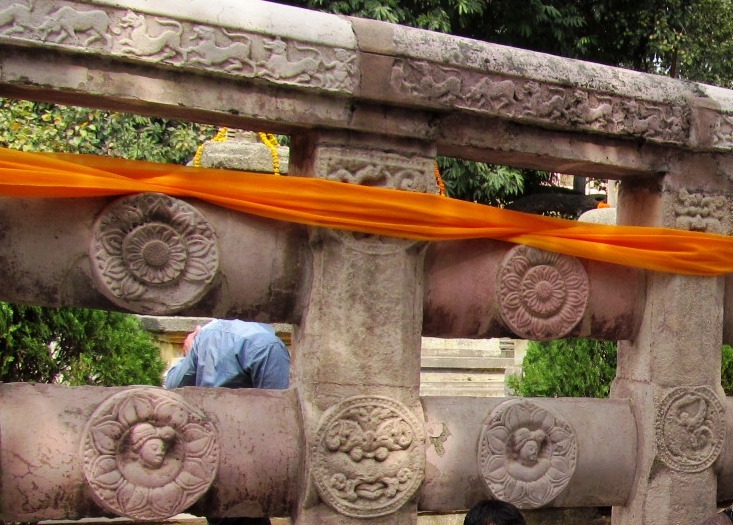 It lies on the historic Silk Road that once connects India to Lhasa. An acme here is “the Cross Hill”. Fr. 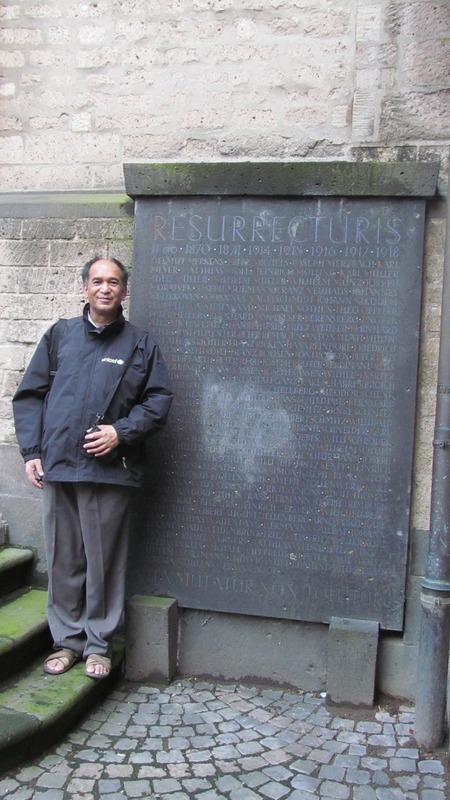 Augustine Desgodins erected a cross at a vantage point directly facing Tibet in 1882, with a hope that someday the Evangelists who lost lives or never came back in their Tibet Mission may return. 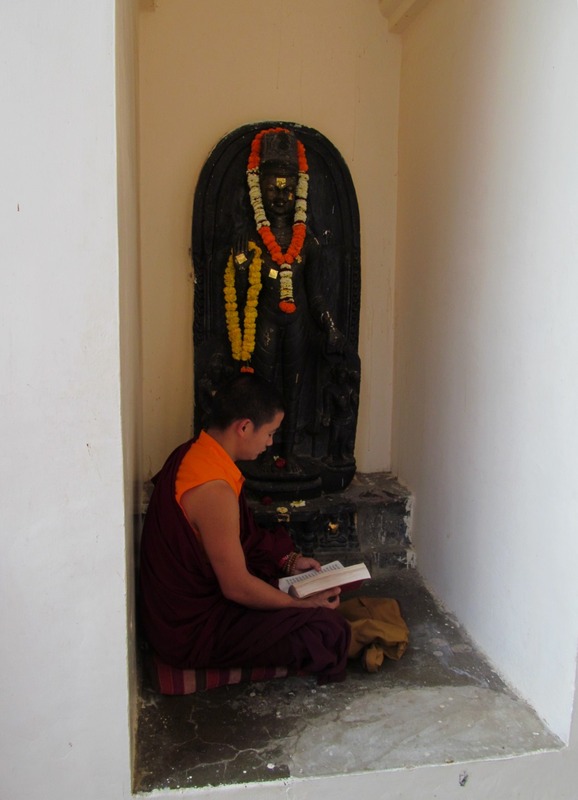 Sangchen Dorjee Gonpa Monastery, built during the Bhutanese rule, is one of the oldest monasteries in this region. The body of late Shabdrung Rimpoche (Dharma Raja of Bhutan) has been preserved and revealed only on an auspicious day. 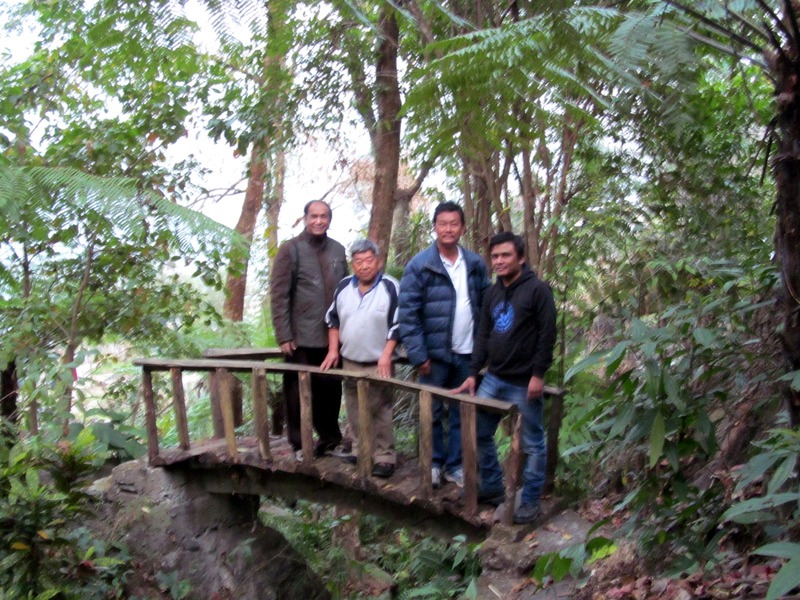 Lepcha, the natives of Pedong are so gracious and affable. Their hospitality to me was incredible. DARJEELING CITY Winding back from the gate to Sikkim, I was headed to Darjeeling city, which is located in the Mahabharat Range or Lesser Himalaya at an elevation of 7,100 ft. Darjeeling’s growth dates back to mid-19th century, when the colonial British administration set up a sanatorium and a military depot. 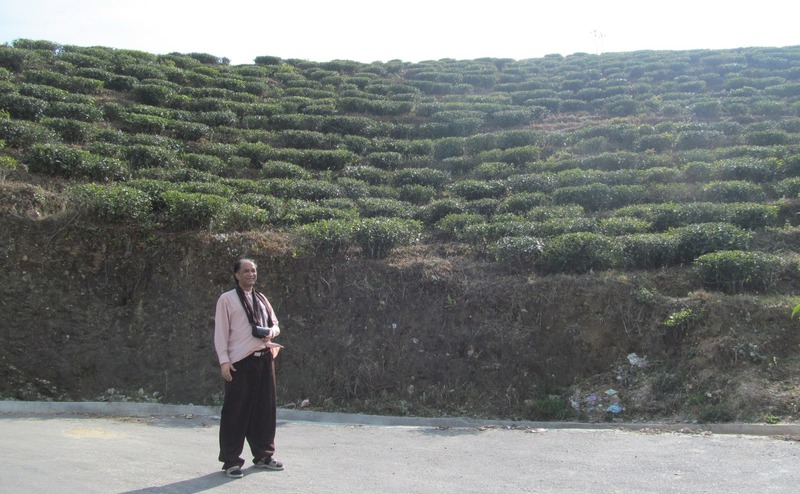 Then the extensive tea plantations were established in the region. 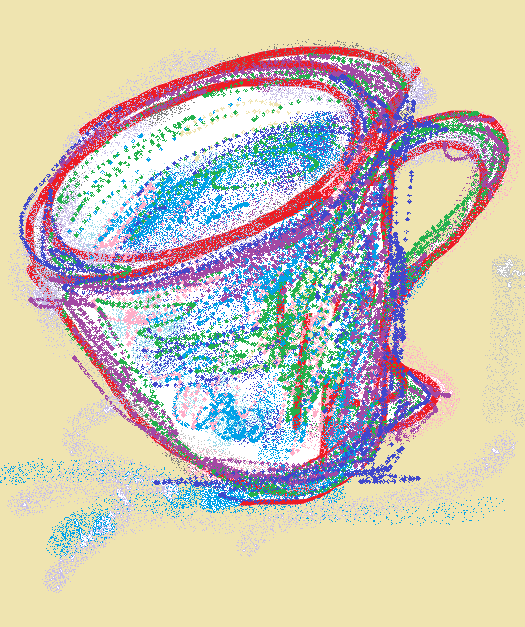 Distinctive Darjeeling tea is now internationally recognized among most popular black teas. 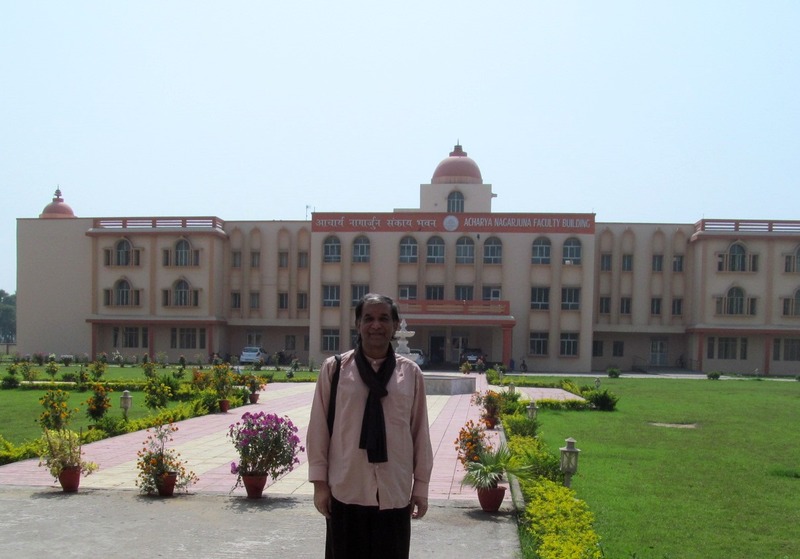 It has several British-style public schools, which attract students from India and neighboring countries. 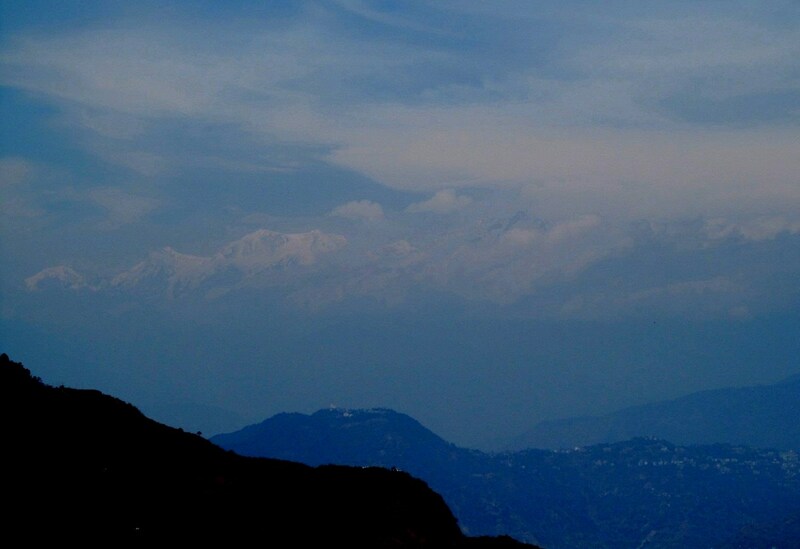 Kanchenjunga, the world’s 3rd highest peak (28,209 ft) is well visible in days clear of clouds. 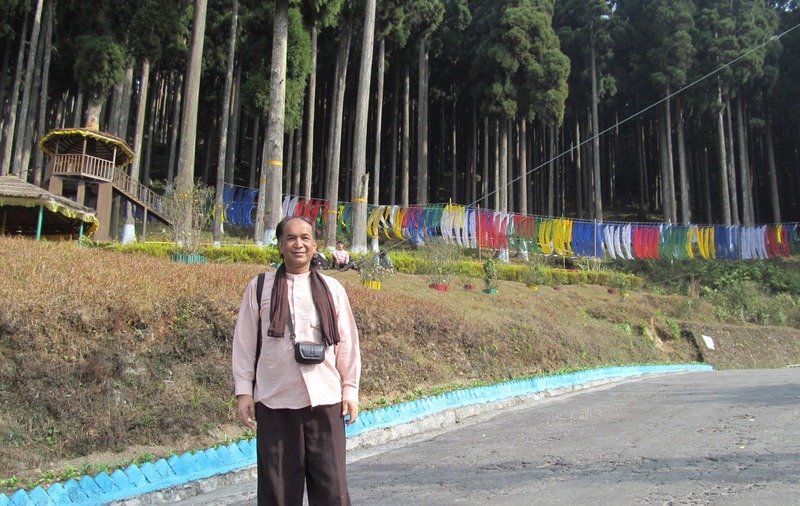 Through the multicolored crowded streets I’d visited to Darjeeling Himalayan Railway, a UNESCO World Heritage Site. THURBO TEA ESTATE I reached and stayed at this Tea Garden (about 500 hectares) which is located in the lavishly scenic valley of Mirik at an altitude ranging from 980-2440 mts. It has planted and produced quality Darjeeling teas since 1872. 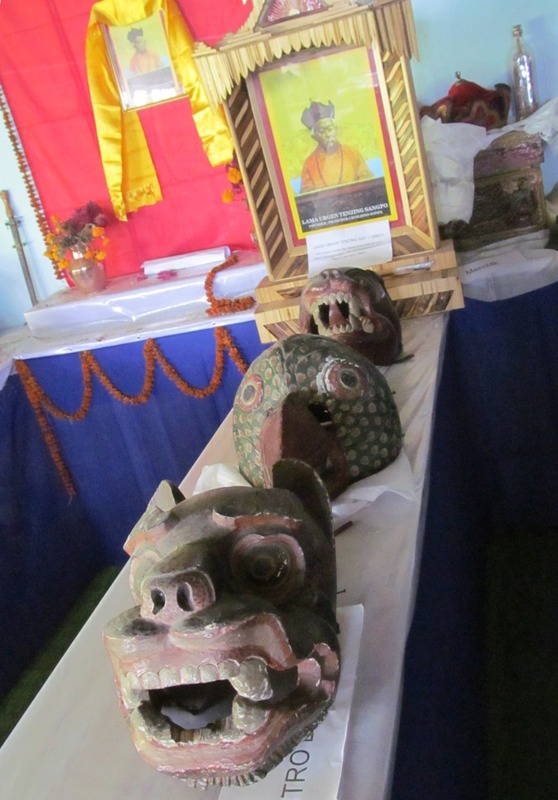 The name relates to a historic event, originated when the British set up a stationed here at the time of their Nepal invasion and used camps or tents, which in local language is called ‘Tombu’ and this may later have developed as ‘Thurbo’. Mechi and Rangbang rivers flow down through this tea estate. Picturesque views, tranquil environment and simple lives! Blessed with “the Bridge of Heaven” and I get an opportunity to pray at this village Buddhist temple. 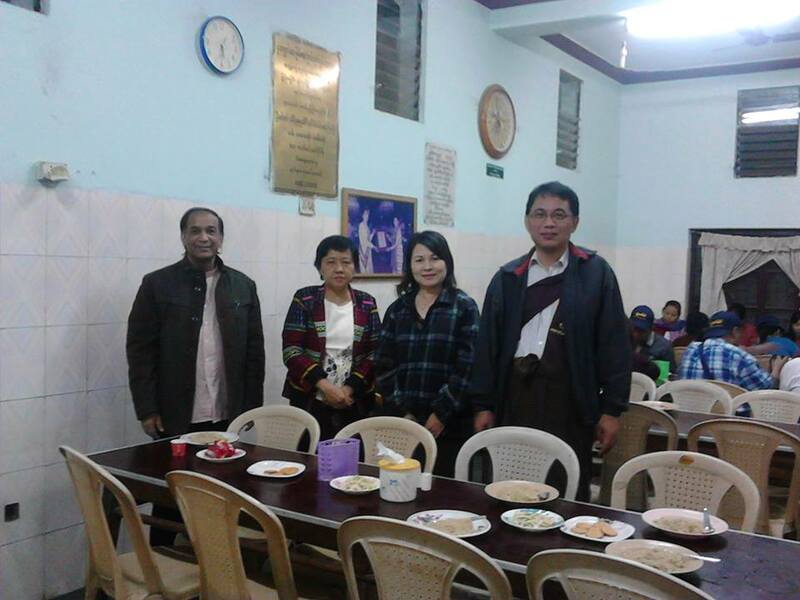 Cordial hospitality of Mr. Palden Lama and family was incredible. 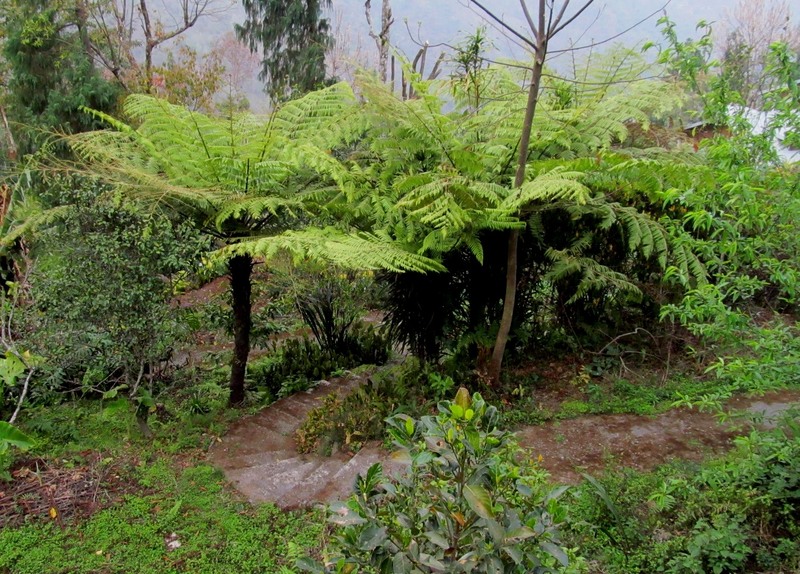 Just nearby to Thurbo tea estate is Mirik, a scenic hill station nestled in the serene mountains. 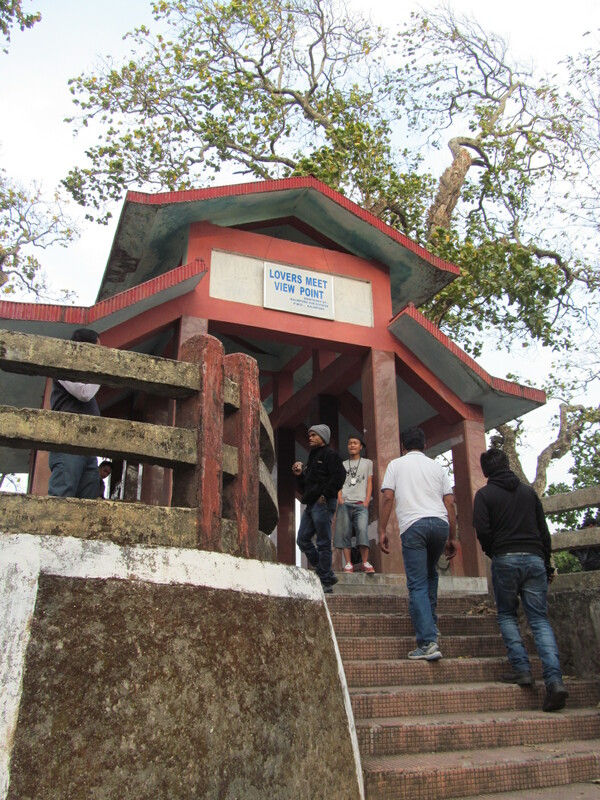 The name Mirik (Mir-Yok) means “place burnt by fire”. 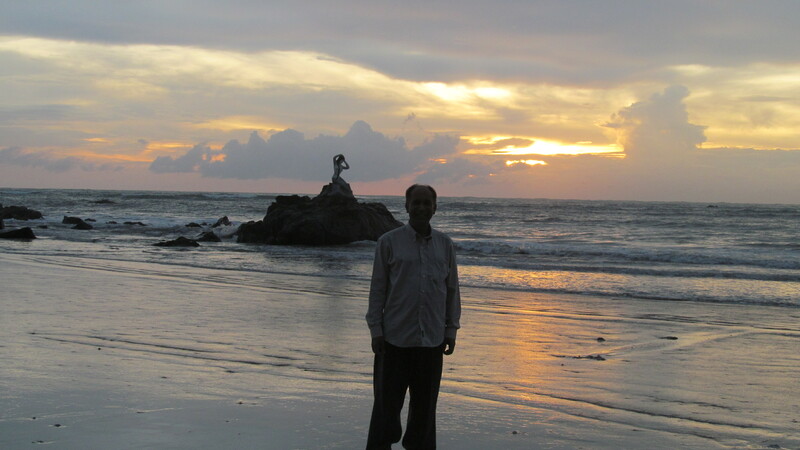 It is popular for its climate, natural beauty and easy accessibility. Focus of all attraction is Sumendu Lake, surrounded by a garden and pine trees on each sides and linked together by Indreni Pull (Rainbow Bridge). A road girdles the lake is used for walks with view to the Mt. Kanchenjunga on far horizon. 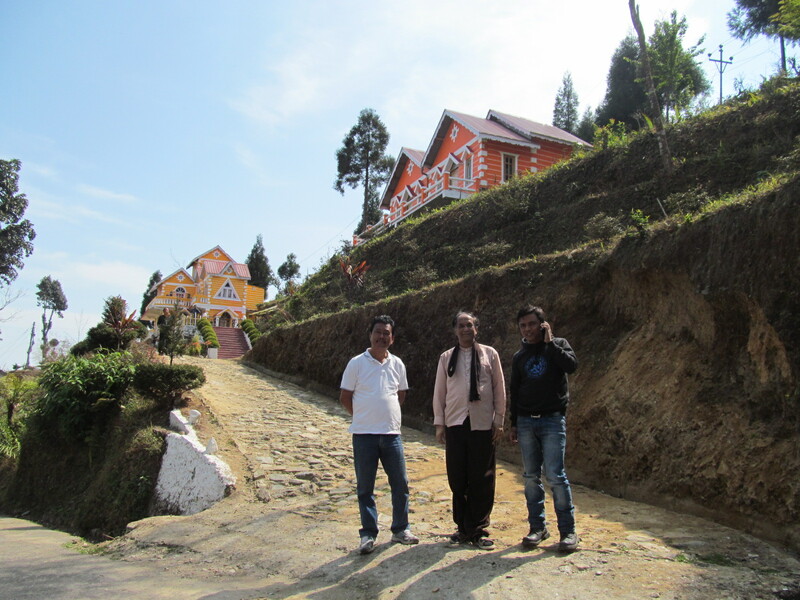 Highest point is Boker Monastery at about (5,801 ft.), and lowest point is Mirik Lake about (4,902 ft.) I met there with Mr. Ashwini, a writer and educationist, and other friendly companions. Neighboring is a Rock Garden, fantastic creations of Mother Nature’s hand on stones which is no wonder, so suitable for Megalithic rituals. My next stopover was Suntaley Khola, which is a small village at the foothill of Himalaya, altitude ranges from 650 to 950 m. Gets its name from a small stream (Suntaley-orange, khola-stream). 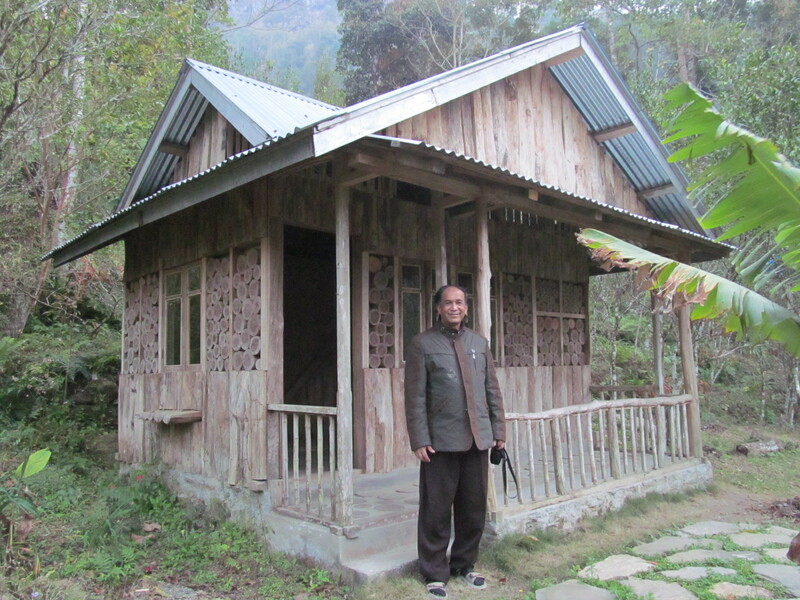 Green territory near Suntaley khola is amazing and holds many rare birds and butterflies. 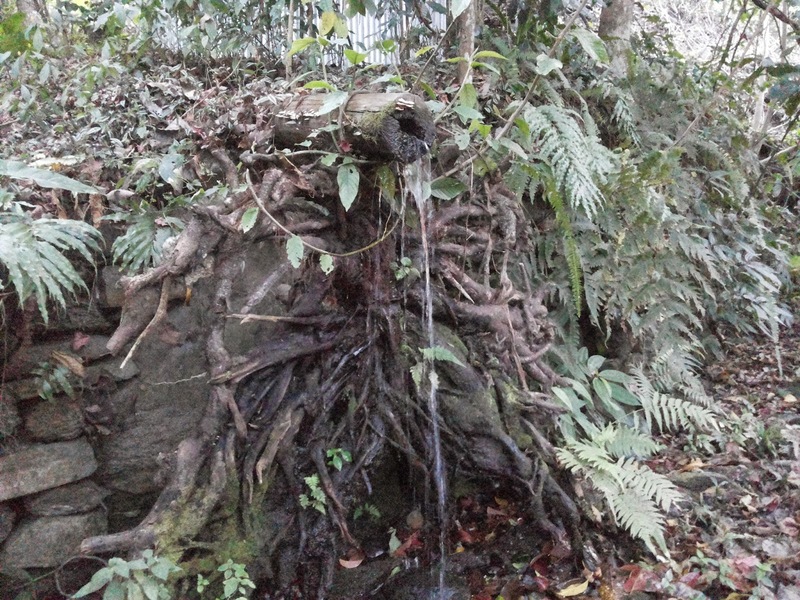 Several trek routes originate from here, most of which are within Neora Valley National Park, located just adjacently. It is known for its beautiful landscape with green tea gardens, hills and forests, which attract a lot of tourists. 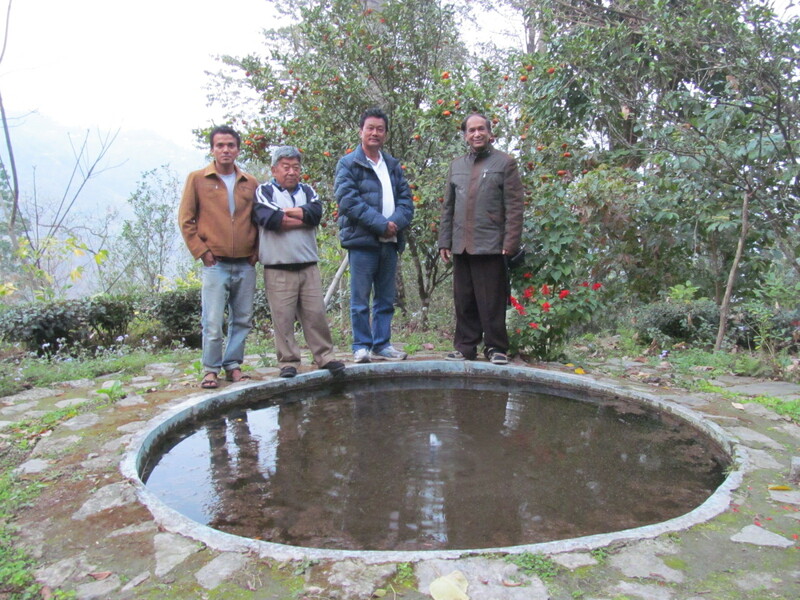 Many locals are involved in tourism-related services, like my friend Babit Gurung and his family. 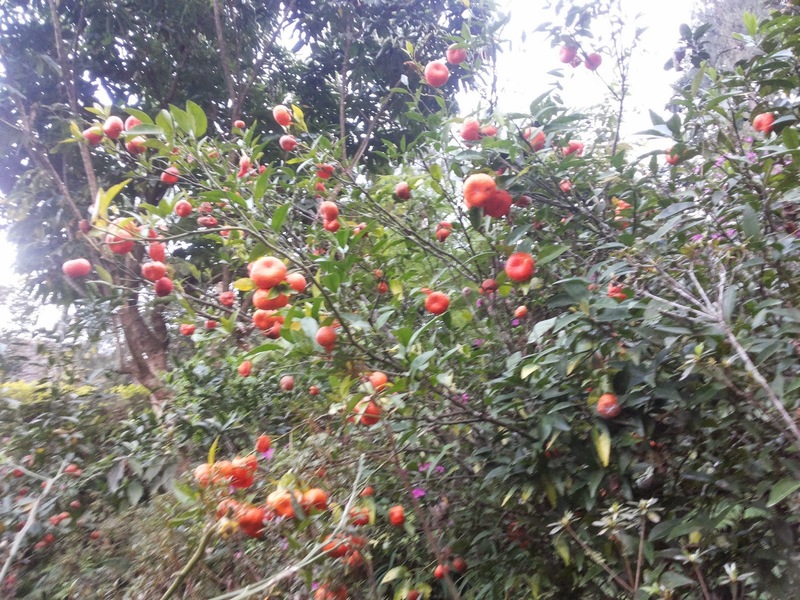 It is admixed tea gardens, agricultural lands and natural forests, located between most renowned tourist destinations of Darjeeling district like Samsing, Suntaley Khola, Gorumara-Lataguri. I’d truly enjoyed the diverse beauty of nature since beginning of this trip starts from plains and slopes gradually rises to the hills covered with dense forest of Neora Valley. 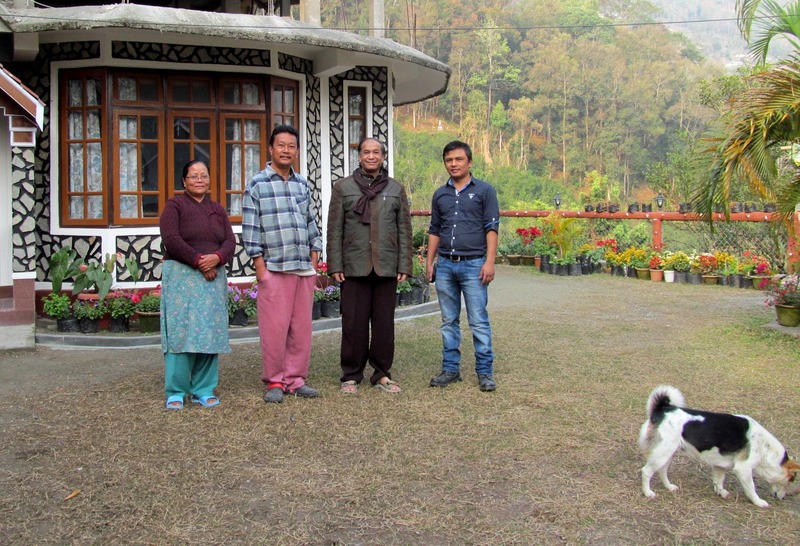 I was welcomed to Kumai Gorkha Homestay, owned by Mr. Bijay Thapa, a veteran who once proudly served in one of the most courageous troops of the world – Gorkha Regiment, and his family. Their warm and sincere cordiality was really remarkable remembrance for me. 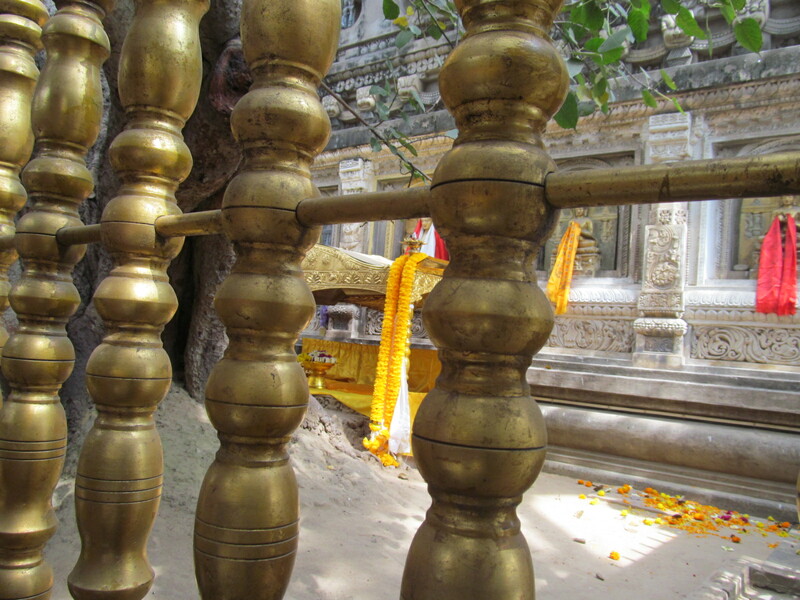 I went to see a significant religious place with a huge Banyan tree and a group of beautiful stupas. It was also so delightful to visit a village kindergarten. 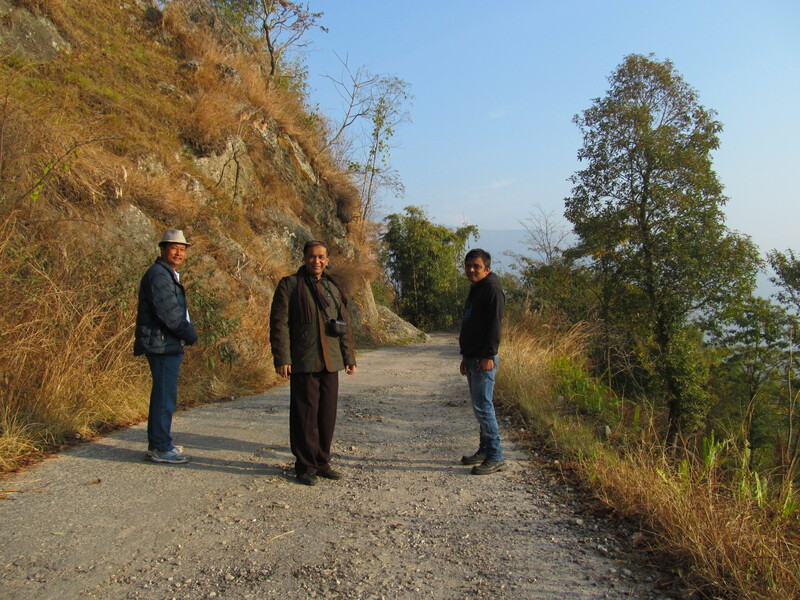 I was entered into famous Jaldapara National Park area and joined by Mr Ram Kumar Lama and Mr. Rajeev. 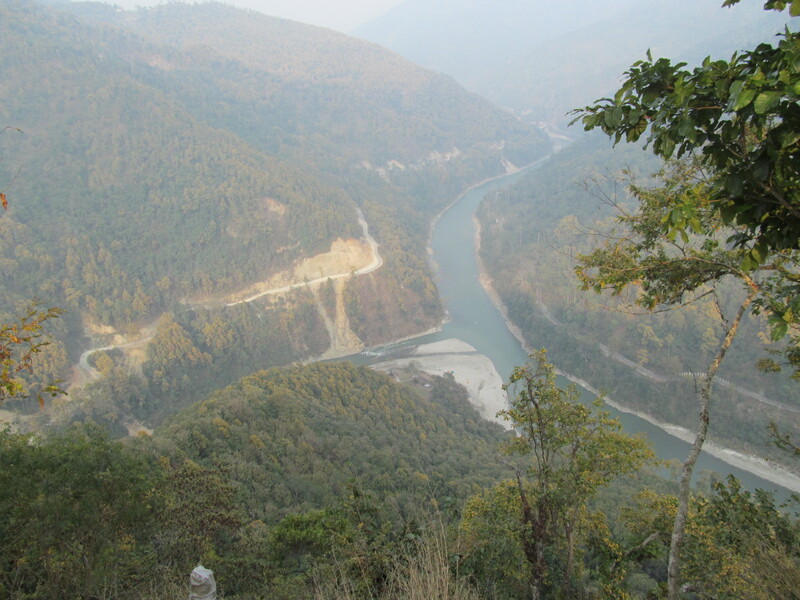 Then proceed to Totopara which is bounded by the foothills of Bhutan at North, Torsa River at East, Titi River and reserve forest on South-West separated by Hauri River. This small village is home to the isolated Toto tribe who are nearly extinct in 1950s, but recent measures helped to preserve their heritage and also support population to grow, now increased about 1400. 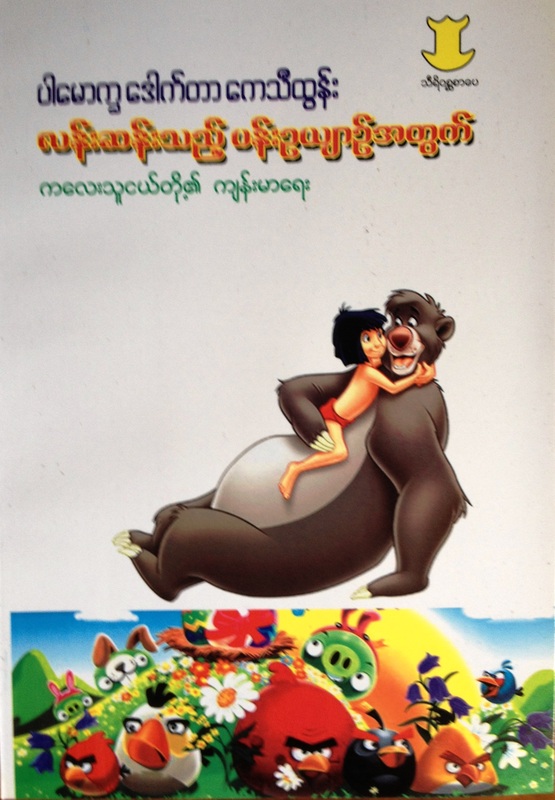 Totos are considered as Mongoloid people and their language belongs to Tibeto-Burman family of sub-Himalayan group, as classified by Hodgson and Grierson. Coincidentally I got a chance to attend a Toto traditional wedding ceremony. 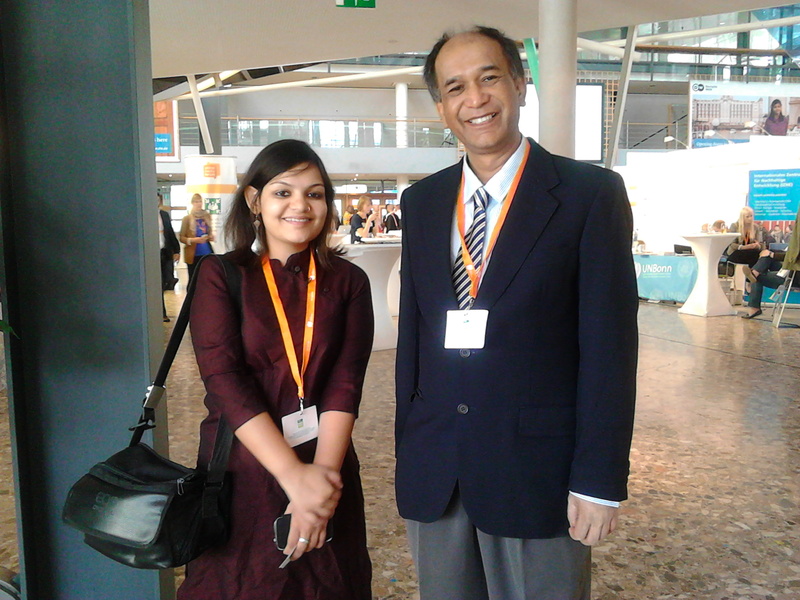 Meeting with Toto poet, philosopher Mr. Sri Dhaniram with his own remarkable personality was also noteworthy. 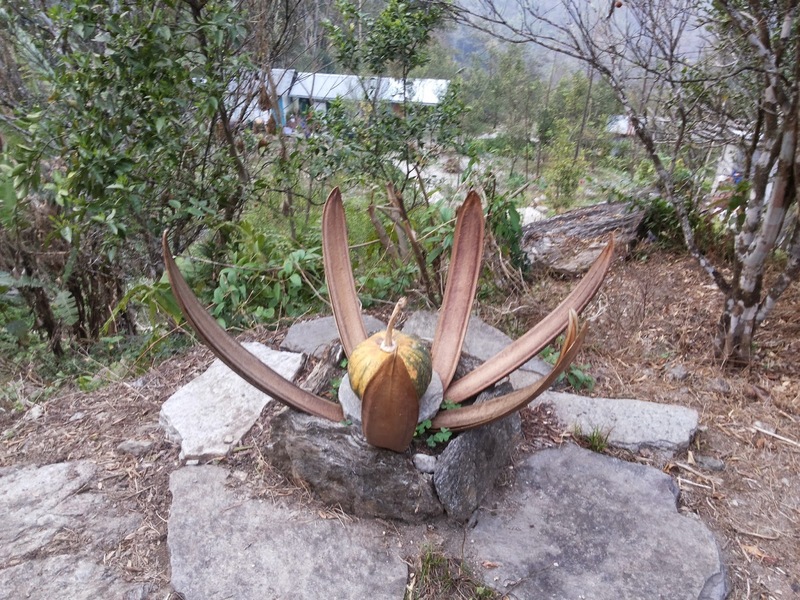 Totos worship god Ishpa who live in the Bhutan hills, causes sickness when displeased and goddess Cheima who keeps the village and its people safe from troubles and sicknesses. Located inside the Buxa National Park, its northern boundary lies along Sinchula range just bordered with Phipsu Wildlife Sanctuary of Bhutan. Eastern boundary touches Manas National Park of Assam. At the south-west, there is Chilapata Forests of Jaldapara Wildlife Sanctuary. Thus it serves as international corridor for Asian elephant migration between India and Bhutan. 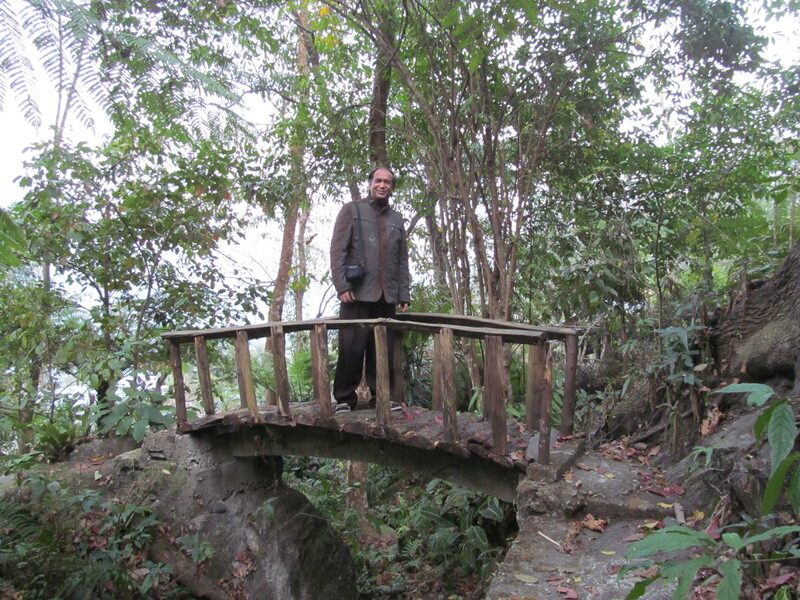 Along with some fellow travelers, I was trekking into the mountainous region towards Doars, and dropped in on for a moment to the ruined of Buxa Fort, which was captured by colonial British of India in 1865 after War with Bhutan. 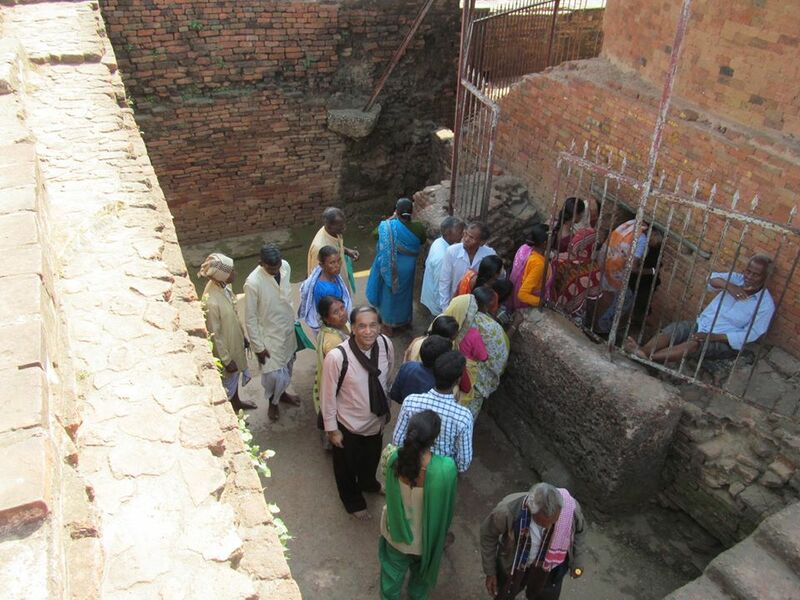 It was transformed as a high security, most notorious and unreachable prison for Nationalist revolutionaries of Indian freedom movement in 1930s. I saw some determined faces of heroes at the small museum in the village nearby. Nationalist revolutionaries belonging to the Anushilan Samiti and Yugantar group such as Krishnapada Chakraborty were imprisoned there in the 1930s. Besides, some communist revolutionaries and intellectuals like the poet Subhash Mukhopadhyay were captivated here in the 1950s. Whiff of those unforgettable stories still haunted in the air. 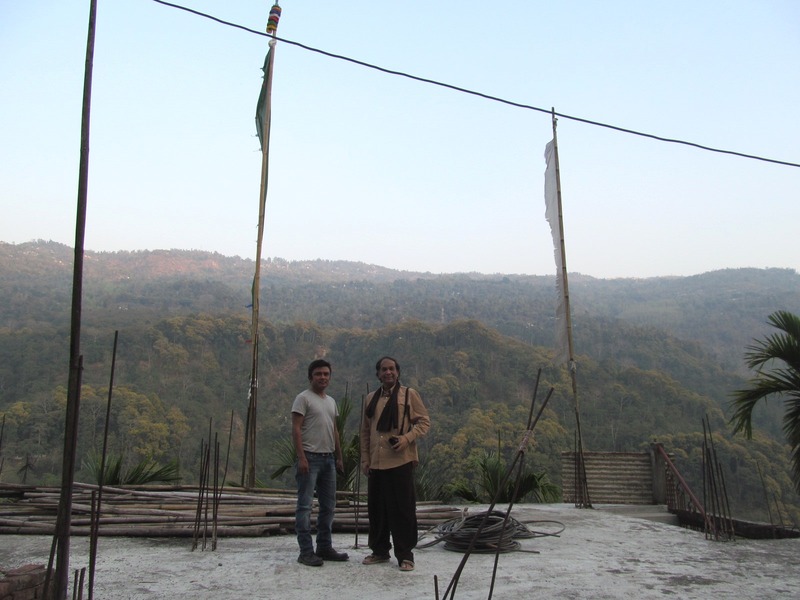 Stationed at Buxa Jungle Homestay, which is a peaceful abode in the tranquil environment, I’d explored around Kalchini region, including the Atiabari Tea estate, with widespread tea gardens and also into the tea factory to see how the tea production functioned. 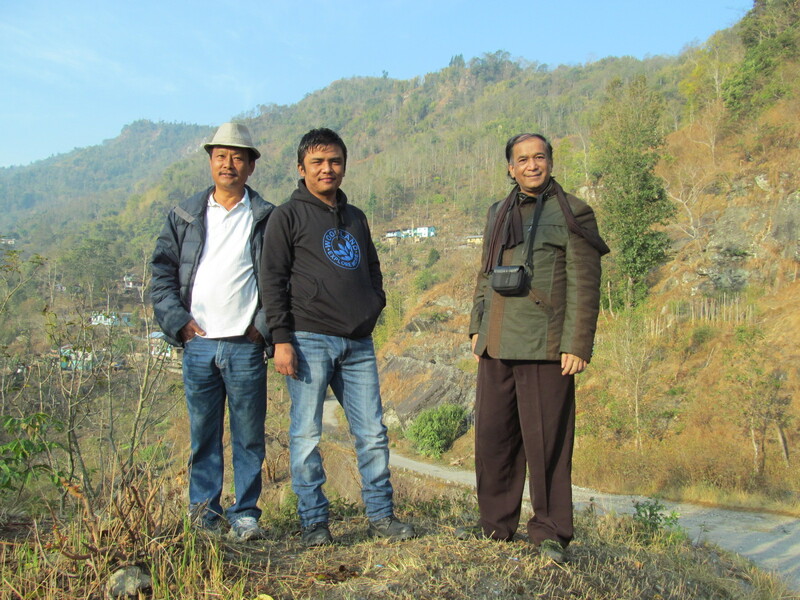 We proceeded to far Gangutia village, which is the native of my friend Mr. Ramkumar Lama, far but worth to come for its’ quiet and calm surroundings. Finally, the time came to say farewell to all friends, whose warm hospitality and considerate caring are quite unforgettable, for my long journey ahead which I have to continue. 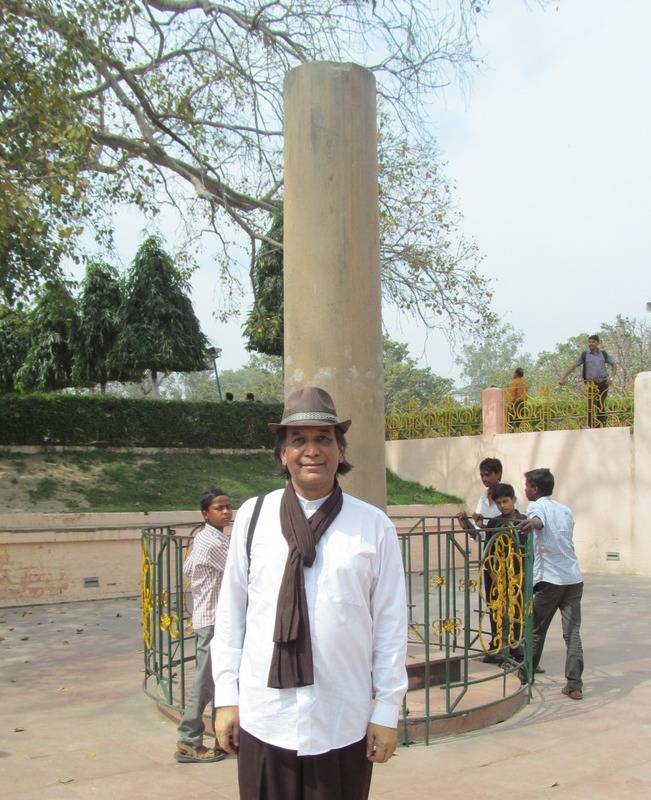 I reached to Gaya, Bihar, India for second time on a warm sunny day of late February, 2015. 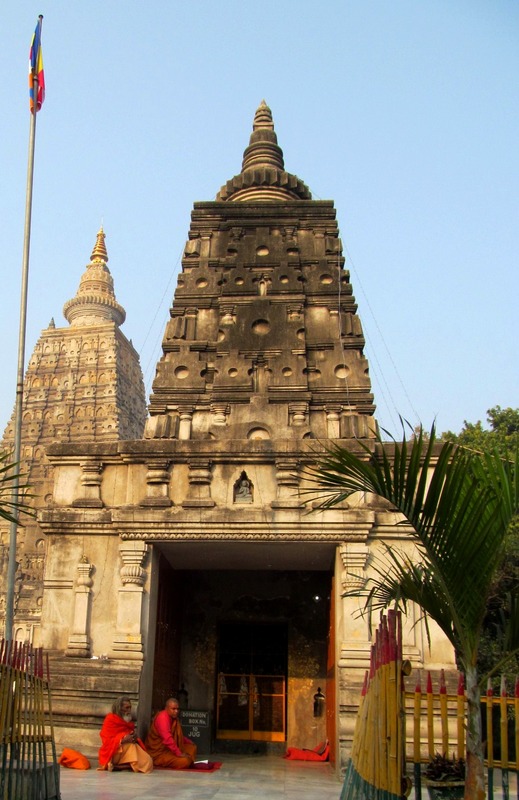 Main destination for me in Gaya is the campus of Maha Bodhi Vihara temple, which is also known as Maha Bodhi Mandala. 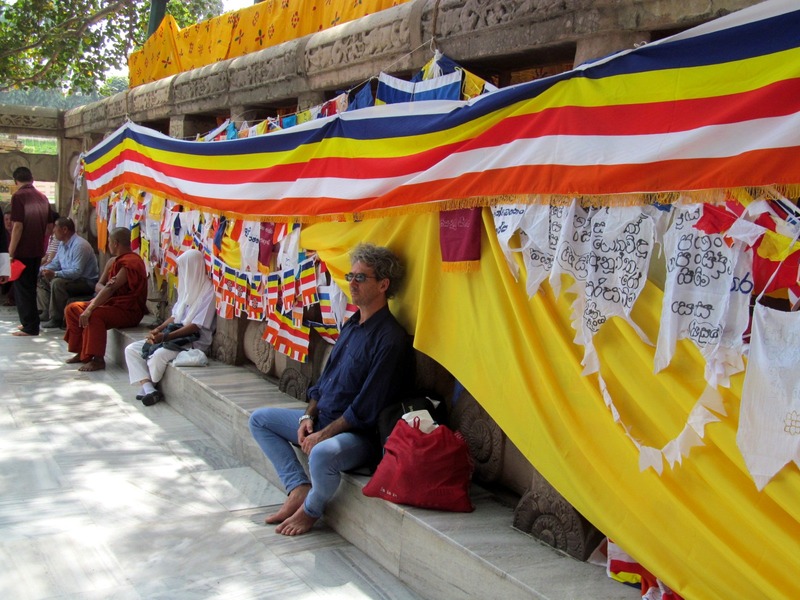 It is an exciting visit to “Bodhi-mandala” which Buddhist mythology claimed as first spot to appear when the world emerges into existence, axis navel of “the Earth” or central point of all sacred energies, since no other place can support the weight of the Buddha’s attainment. 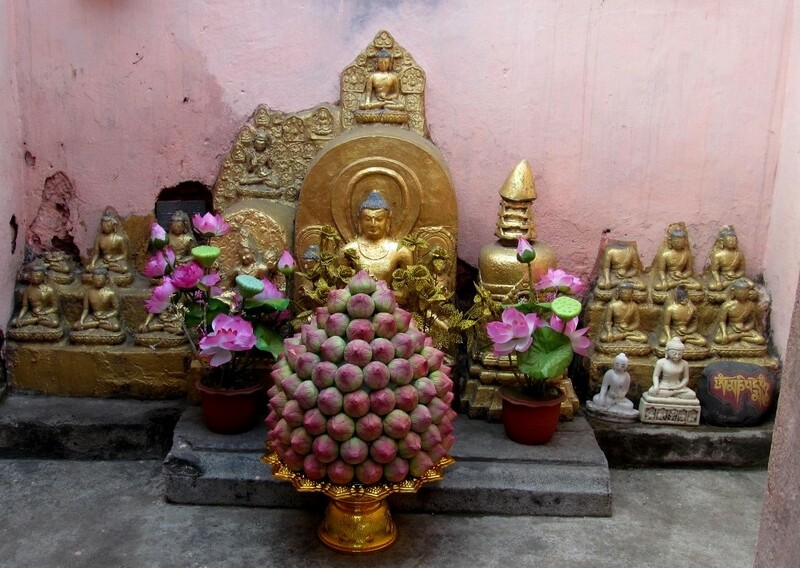 As lotuses bloomed in accordance with the number of Buddhas expected to arise, 5 were bloomed in our age. 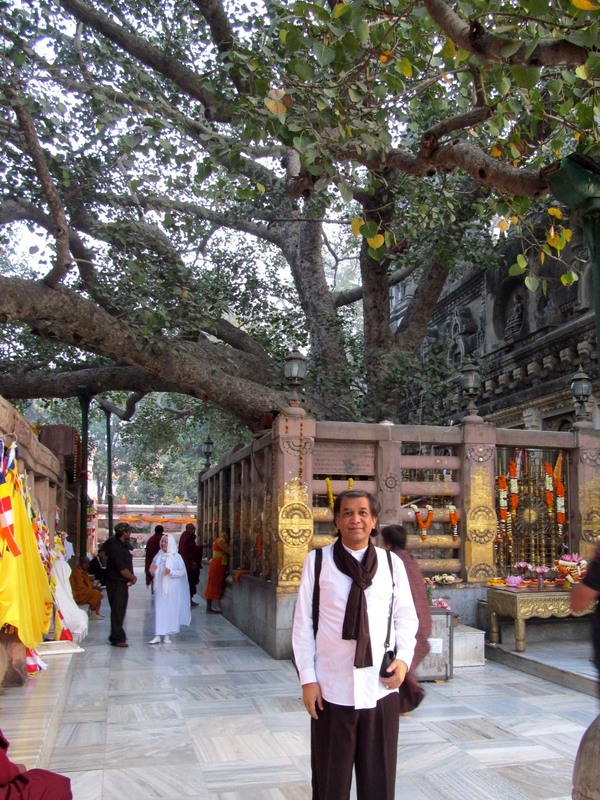 According to legend of Lord Gautama Buddha, a Bodhi tree sprang up here on the day he was born. 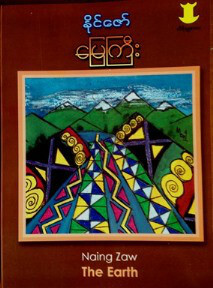 When the world will destroy at the end of a kalpa, the Bodhi-mandala is the last place to be disappeared. 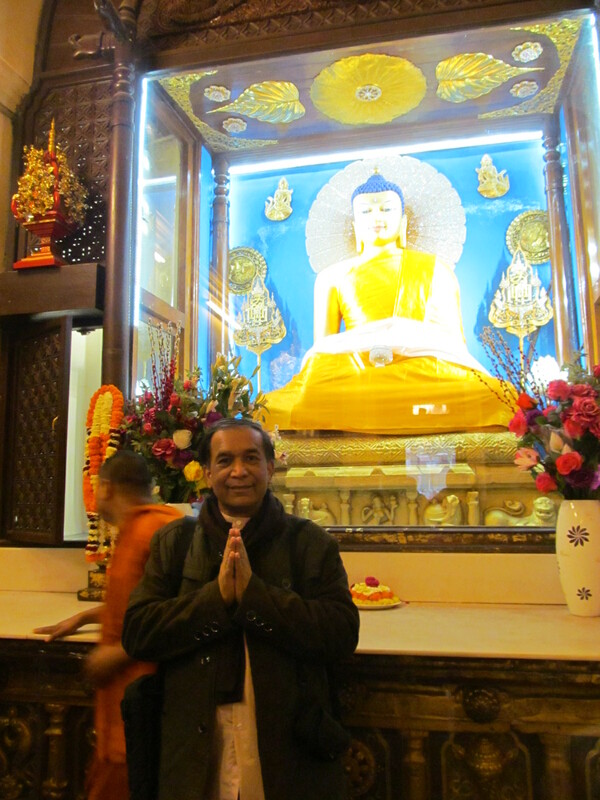 I visit to Mahabodhi Vihara “Great Awakening Temple”, which is marking where the Lord Buddha attained enlightenment. 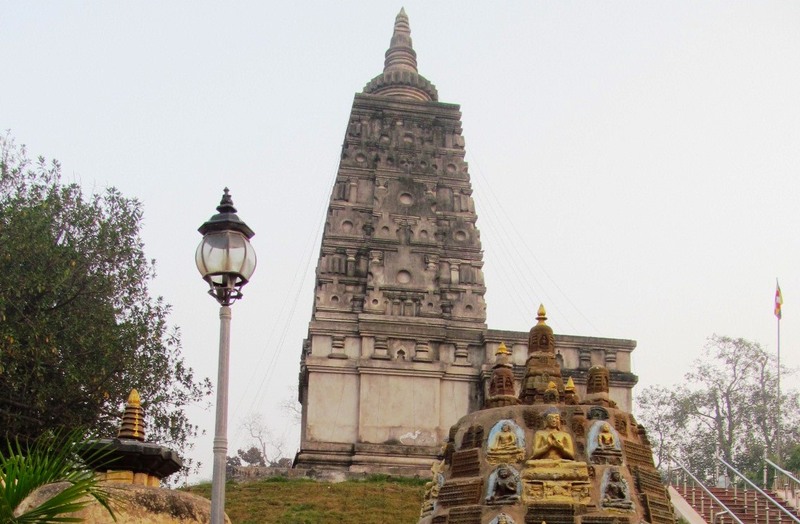 Since the time of Lord Buddha, Gaya became an important place. 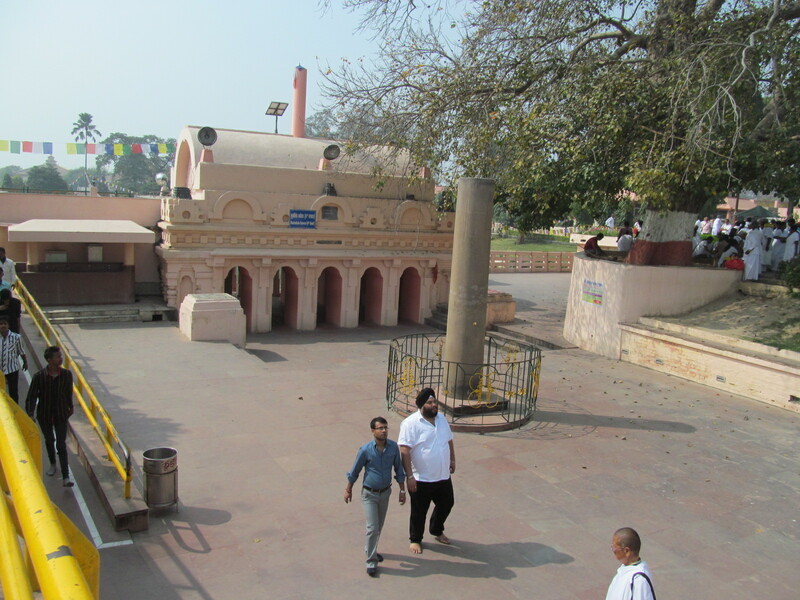 In 250 BCE, Emperor Asoka visited here to build a temple on the holy site. 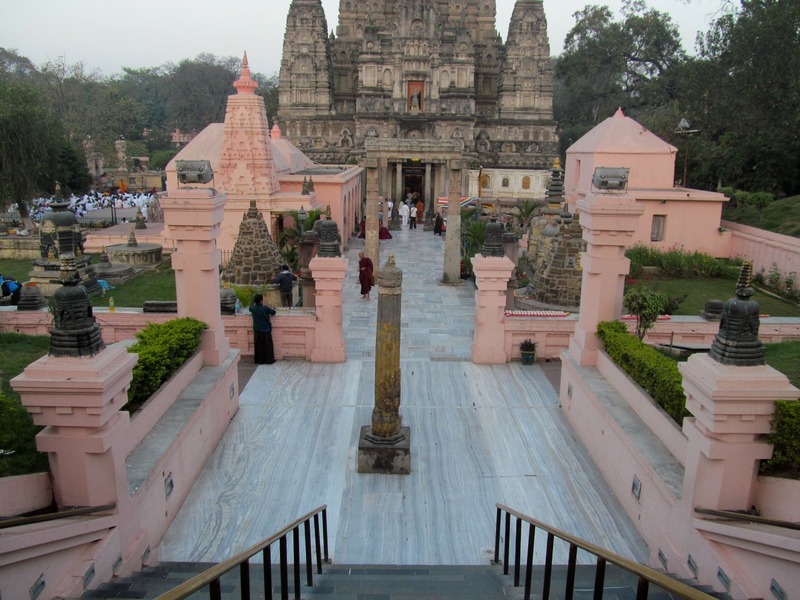 Although the original temple was built by Emperor Asoka, it was renovated and rebuilt for several times. 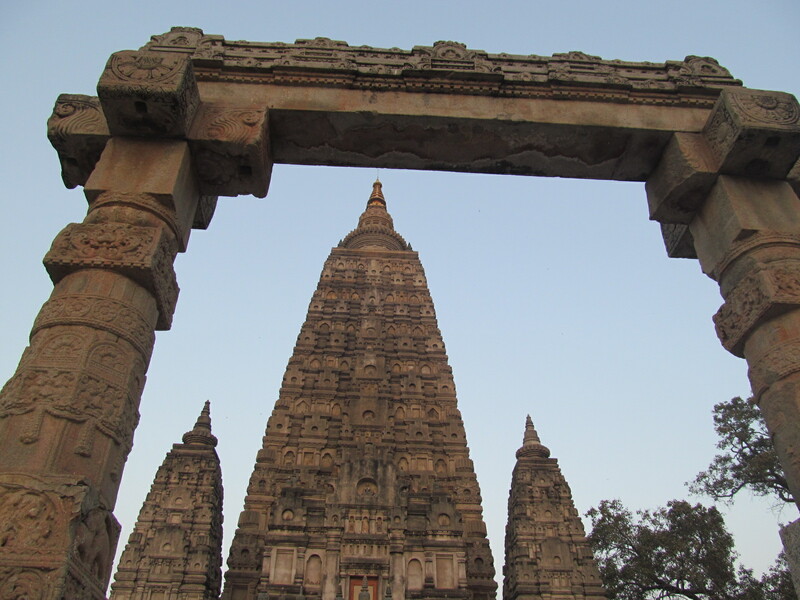 Current structure dates from 5th–6th century, late Gupta period. The tallest tower is 55 metres (180 ft). 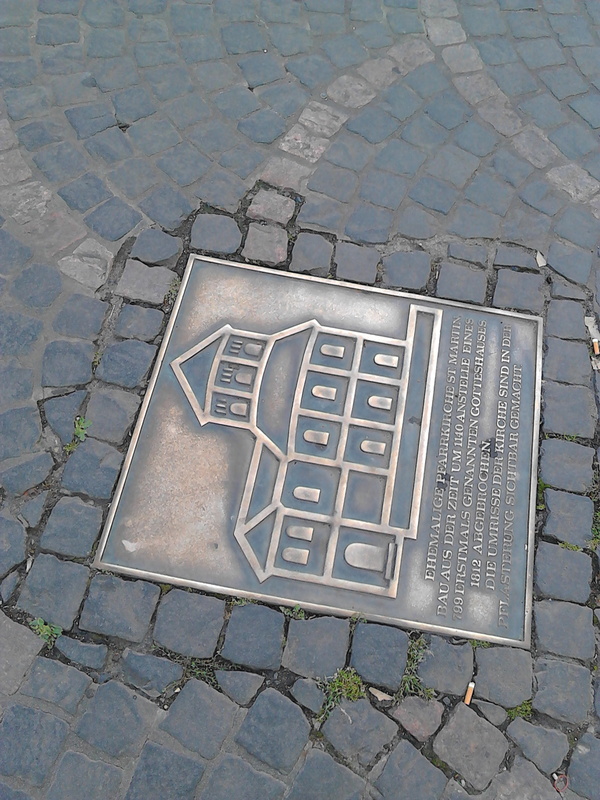 Became a UNESCO World Heritage in June 2002, it is one of the oldest brick structures survived. 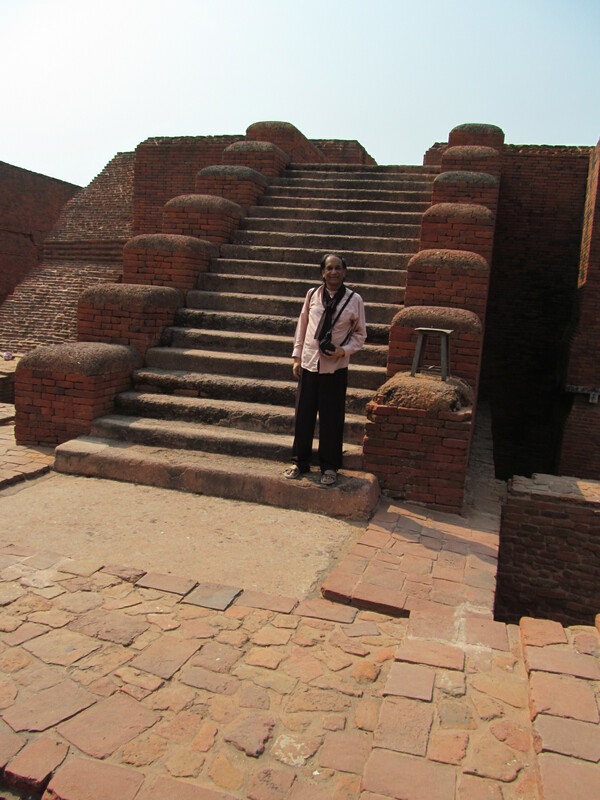 According to UNESCO, “it is one of the earliest and most imposing structures built entirely in brick from Gupta period”. 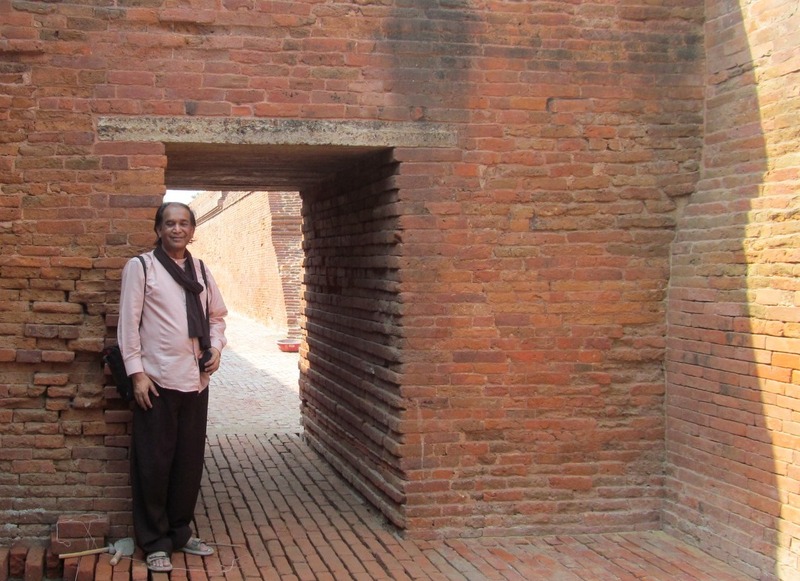 It is a fine example of Indian brickwork, and highly influential in the development of later architectural traditions. 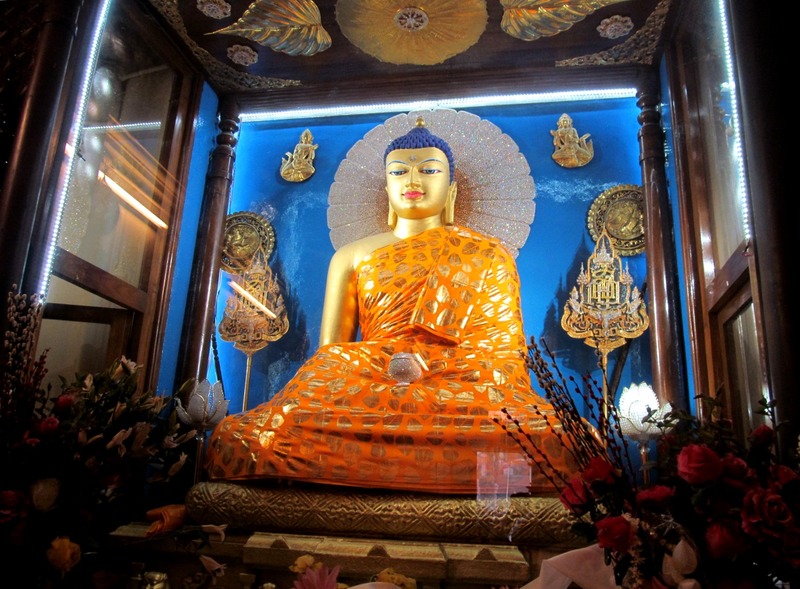 When entering inside the Maha Bodhi Vihara temple, there is a colossal image of Lord Buddha in “touching the Earth pose”, bhumisparsha mudra, said to be 1700 years old and facing east exactly at the place where the Lord Buddha in meditation with his back to the Bodhi tree. 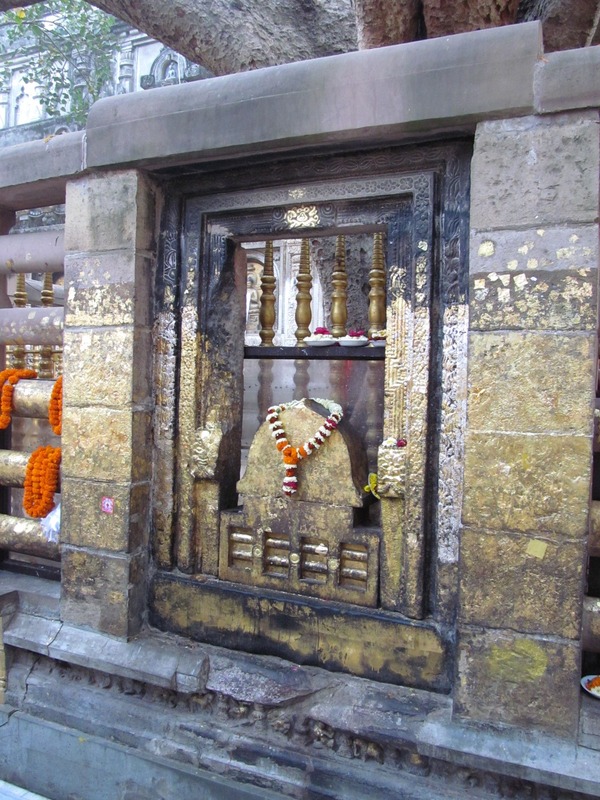 The original statue is of black stone sculpted by Pala kings of Bengal (8 to 12th A.D.) At present it has been gilded with gold and dressed in bright orange robes. Breath-taking on a glimpse and blessedness perceived. 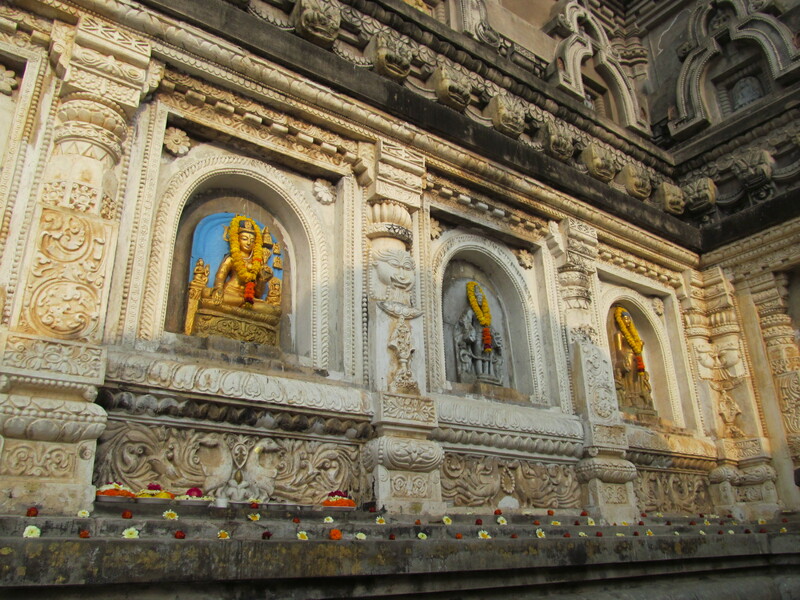 I wandered around the Mahabodhi Vihara temple, which is surrounded on all 4 sides by stone railings, about two meters high, revealed 2 distinct both in style and materials. 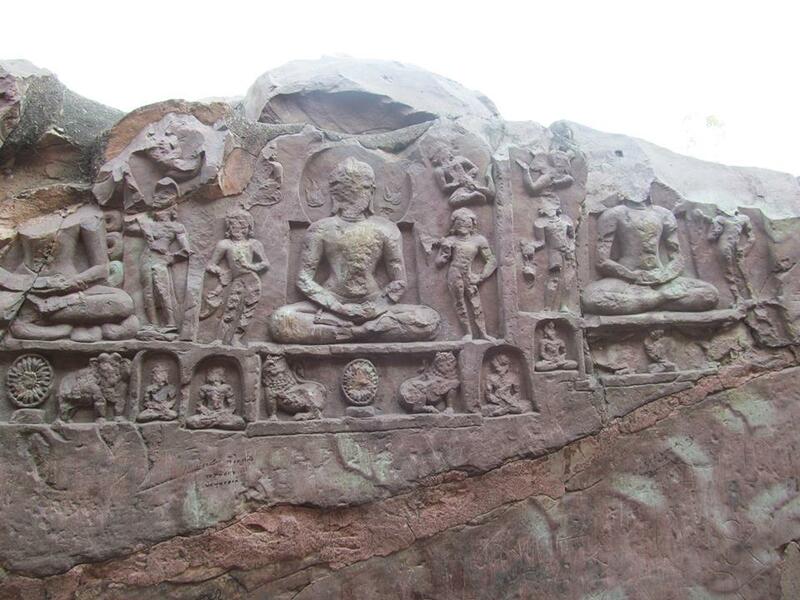 Older ones made of sandstone dated about 150 BCE and others, constructed from unpolished coarse granite believed to be of Gupta period (300–600 CE). 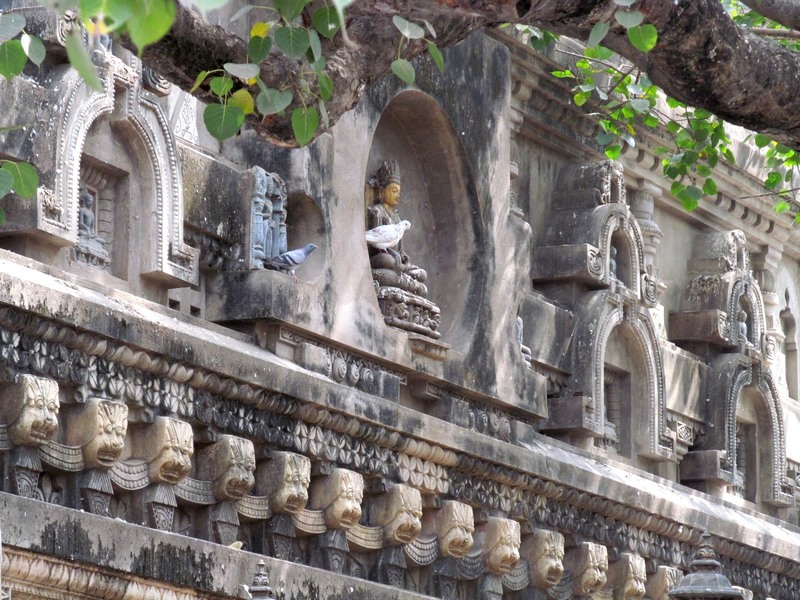 Its pillars, cross-bars, and coping are decorated with Jataka views, Buddha’s life events, historical and folk’s scenes, demi-deities figures such as goddess of wealth being bathed by elephants, Surya (the sun god) riding a chariot drawn by four horses, zodiac signs, figures of stupas, garudas, flora and fauna. Images of lotus flowers appear commonly. Some inscriptions of Brahmi recorded the names of donors. 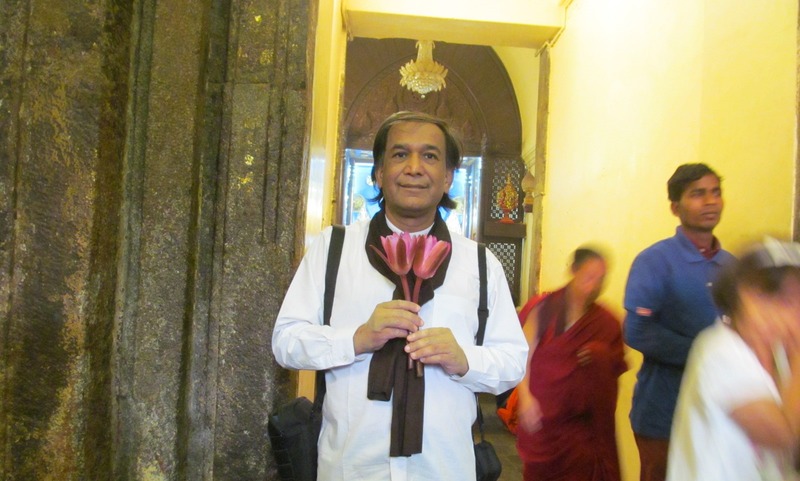 We all Buddhists know that, in Maha Bodhi Mandala Lord Buddha enlightened. 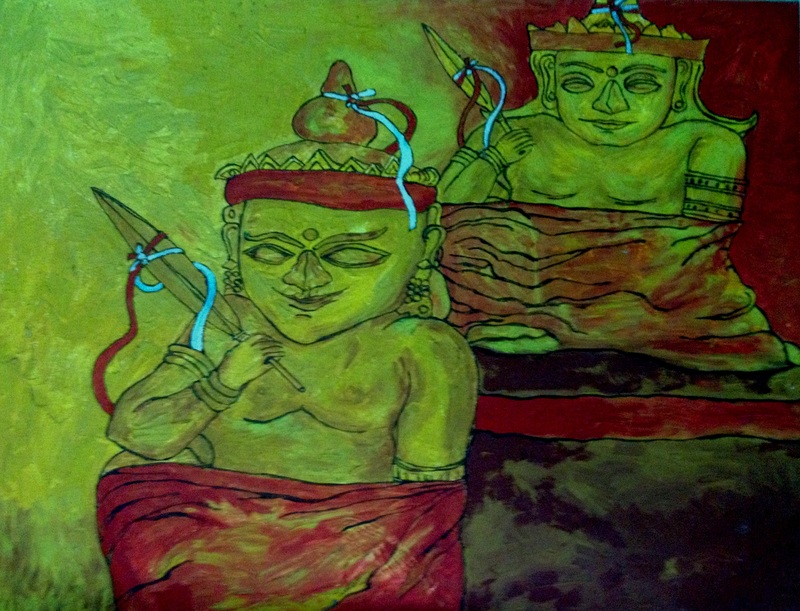 Myths said that Bodhisattva Gautama, had a meal of rice-milk offered by a lady Sujata. 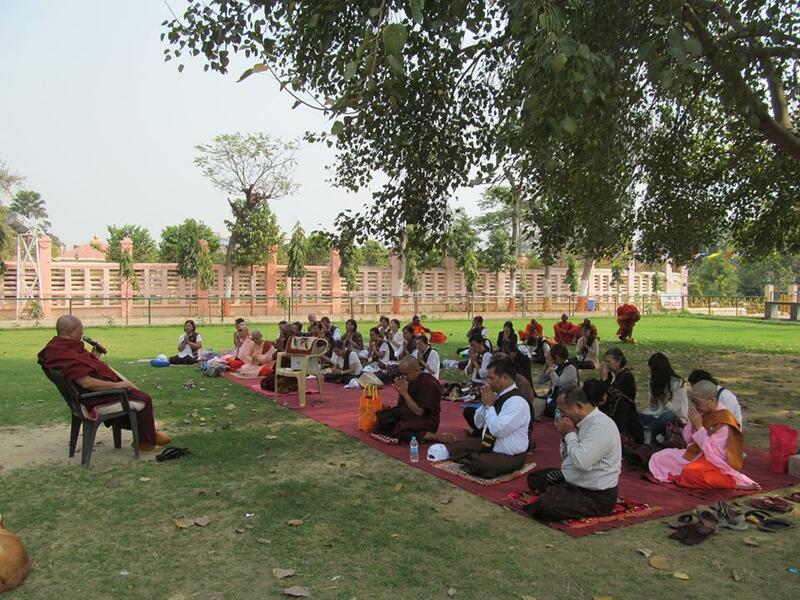 It was notable that he had 49 handfuls of that meal probably associated with his upcoming 49 days fasting in Maha Bodhi Mandala, resided 7 places, a week for each (total 49 days) in fasting and meditation. 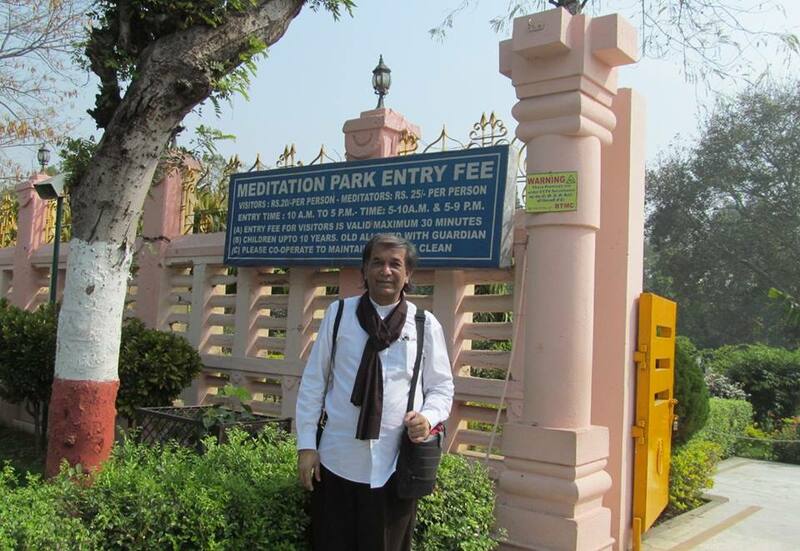 It is a great opportunity for me to stop at all these 7 holy places. 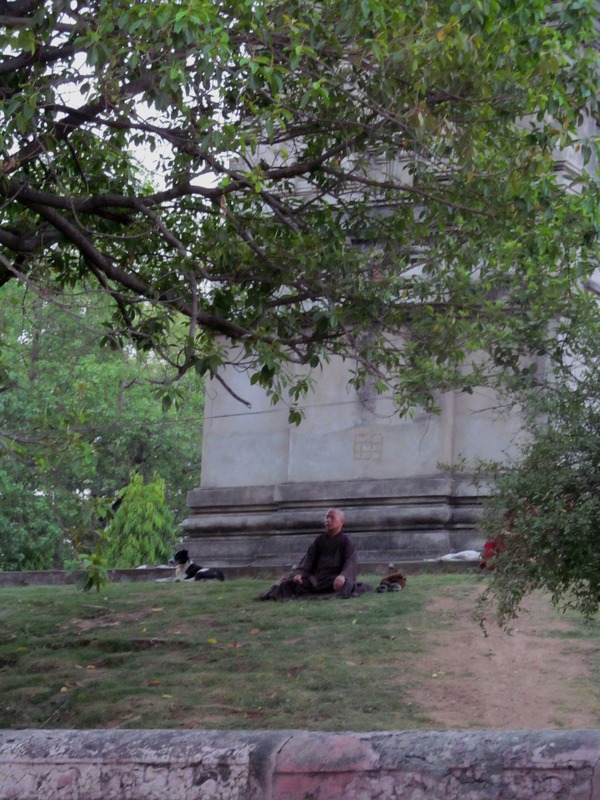 After having meal and heading towards Bodh Gaya, Bodhisattva Siddhartha Gautama accepting a gift of kusa grass from a grass-cutter, made a seat under a Pippala (Bo) tree facing east. 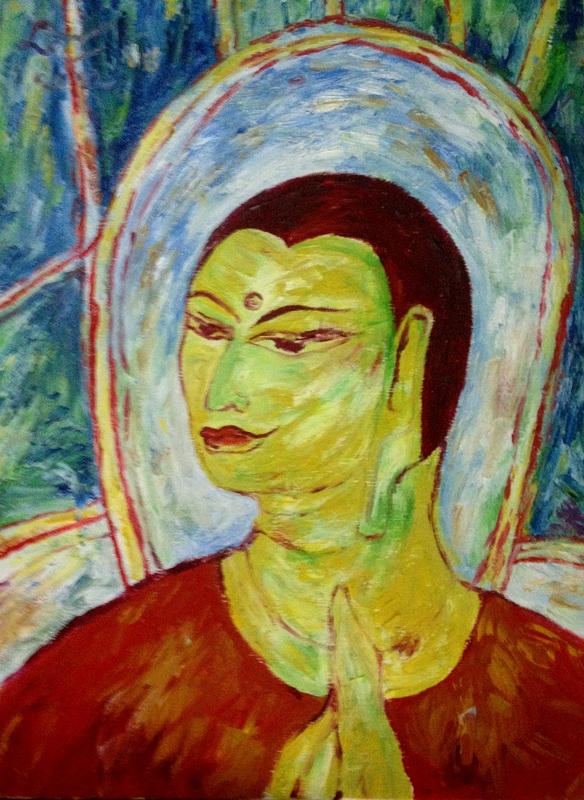 Bodhisattva resolved not to rise until enlightenment was attained. As the diamond throne (Vajrasana) appeared, Mara the Lord of Illusion with his army of demons rushed to distract Bodhisattva. 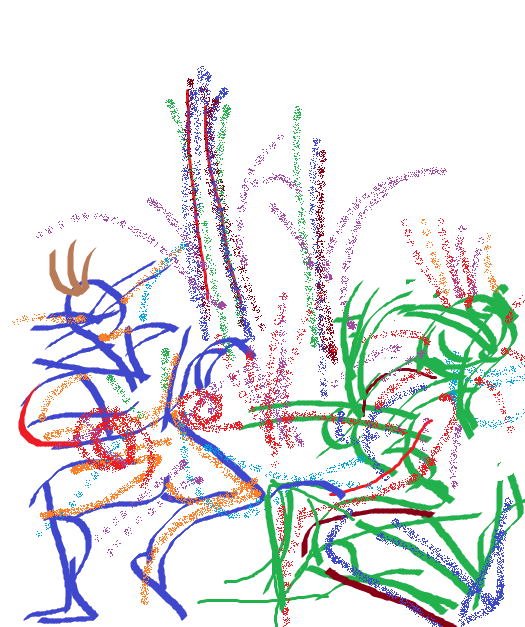 In the furious battle that ensued, power of Bodhisattva’s compassion transformed the fiends’ weapons into flowers and evil forces scattered. 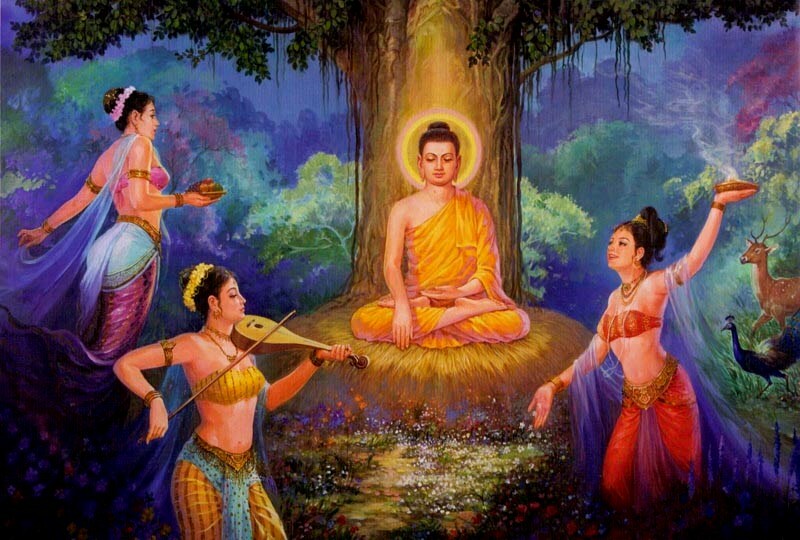 Finally wisdom broke through all the illusions and enlightened as Lord Buddha. 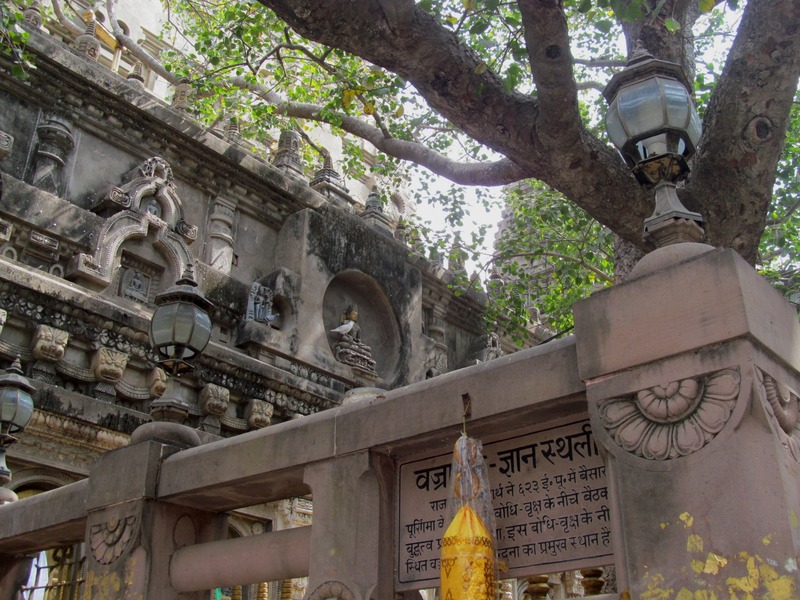 Bodhisattva Gautama attained enlightenment on the full Moon day of Vaisakh Purnima (May) beneath the sacred Peepal tree (Ficus religiosa), where the diamond throne (Vajrasana) appeared. 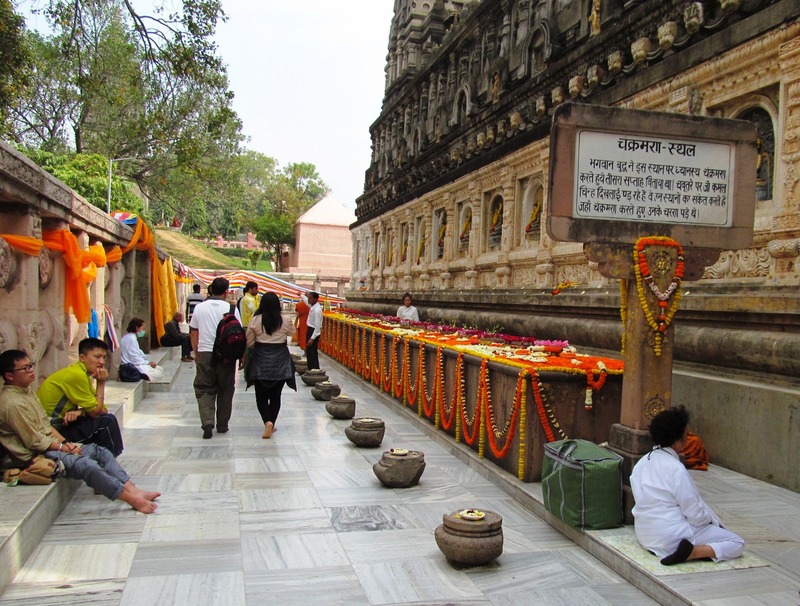 Lord Buddha spent first week (7 days) in meditation here. 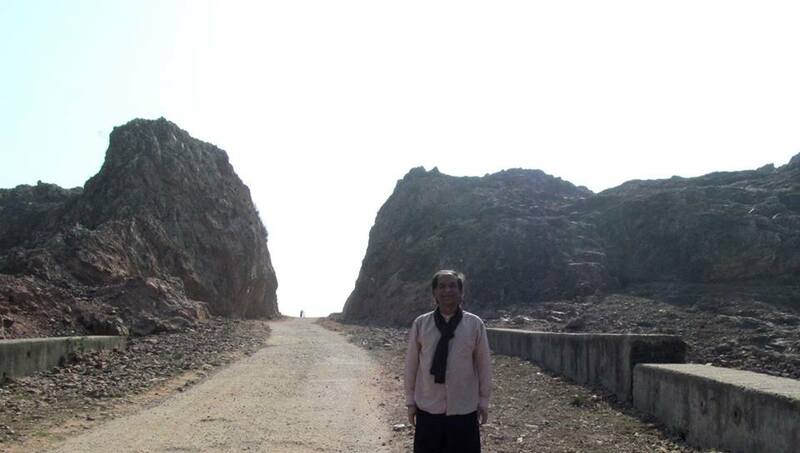 It was earlier destroyed several times by man-made misery and natural calamities. 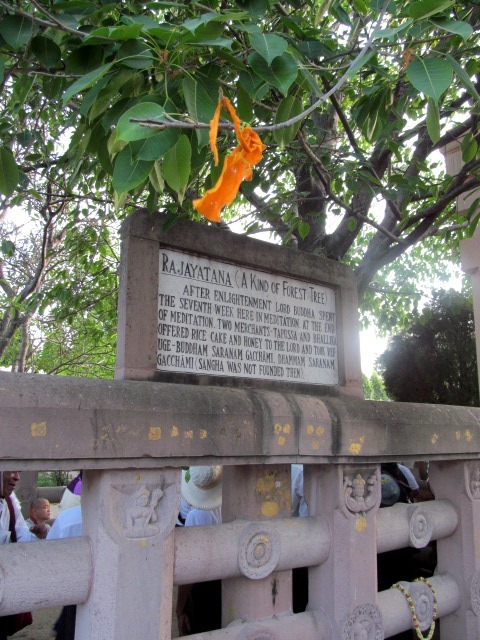 King Ashoka’s queen, Tissarakkha with a jealousy tried to kill the tree by mandu thorns. However, it grew again. 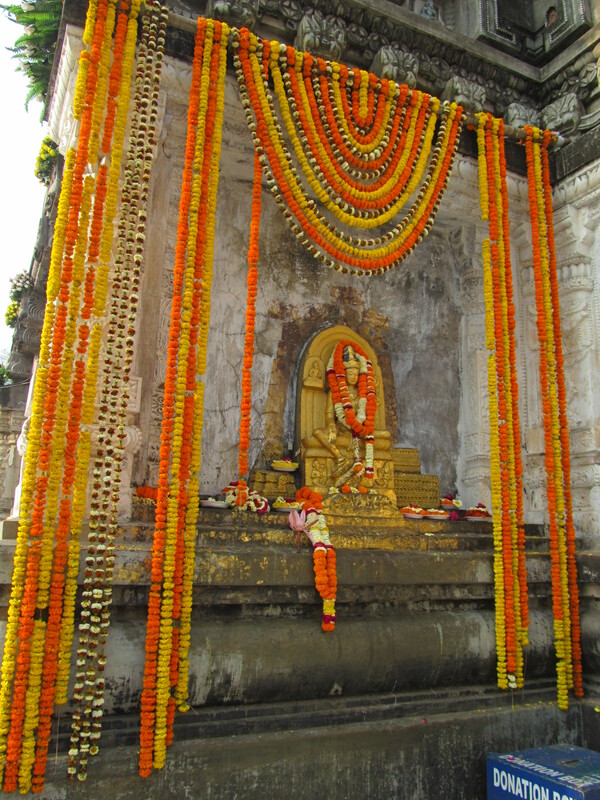 Once more cut down by King Pushyamitra Sunga (2nd century BC) and by King Shashanka in 600 AD. Every time it was destroyed, a new tree was grown at the same place. In 1881 a British archaeologist, Sir Alexander Cunningham planted a new tree as the previous one died for old age. 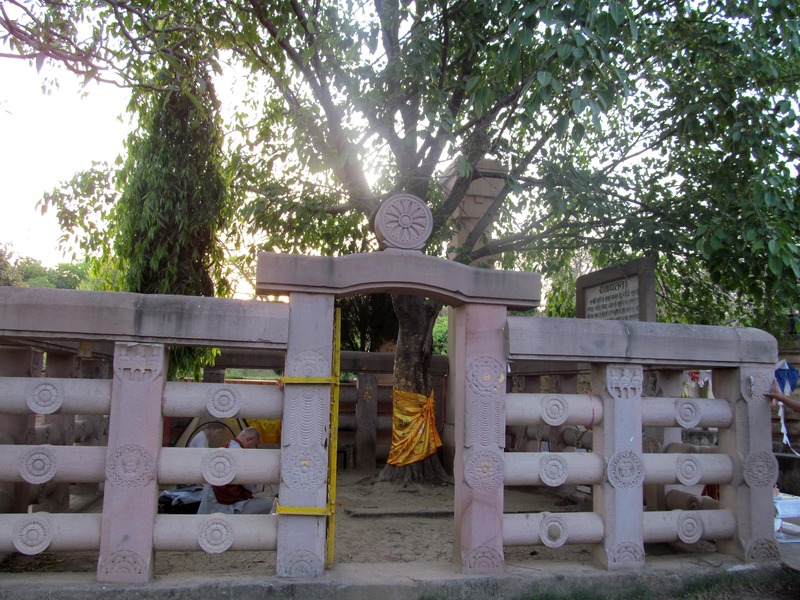 Present Bodhi tree is probably the 5th succession, direct descendant from the original specimen. 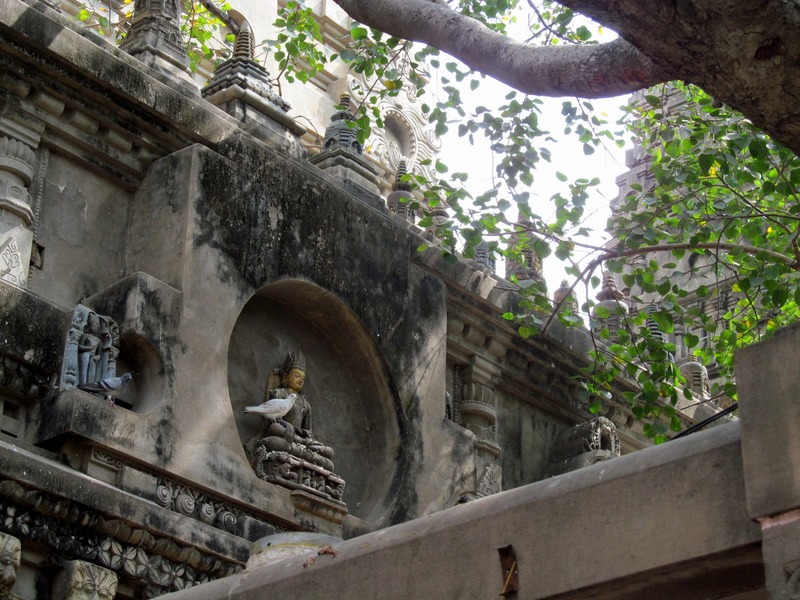 About 50 meters, north-east of Maha Bodhi Vihara temple, there is a small stupa on a hillock, known as “Animisa Ceti” (Unblinking Shrine). 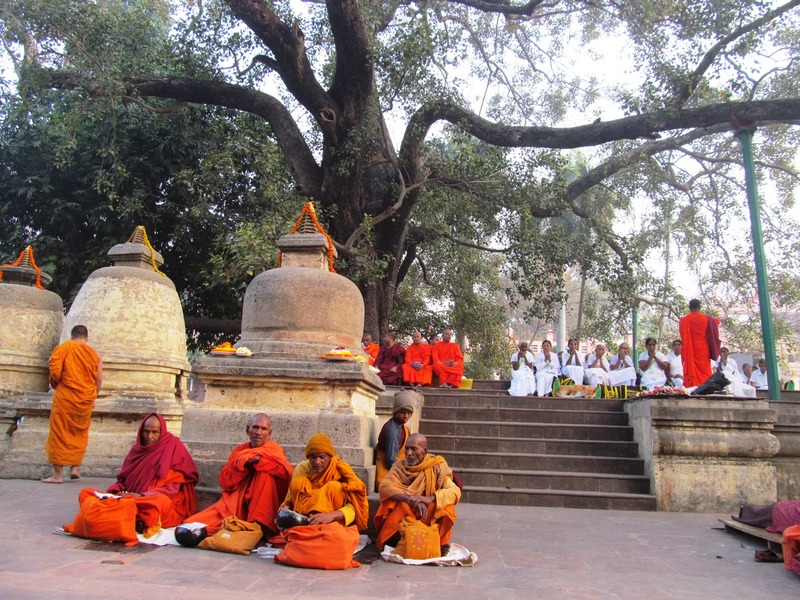 It is to mark the place where Lord Buddha spent his 2nd week (now it reached total 14 days), remained standing and gazing unblinking towards Sri Maha Bodhi tree, where he had been enlightened and remained his first week. 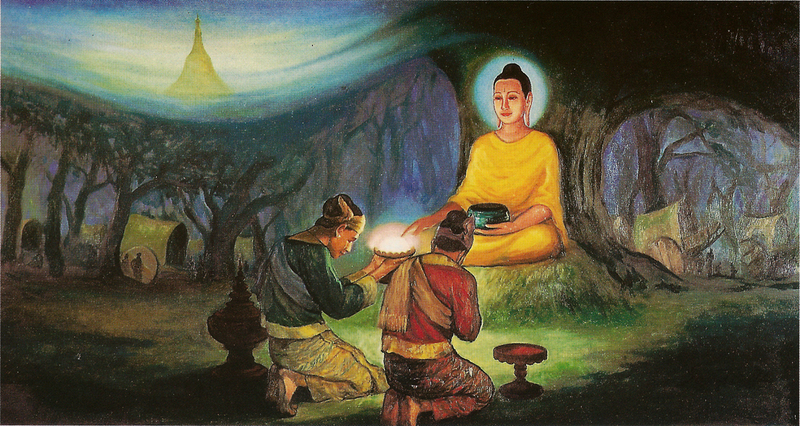 As some deities doubt about his Buddhahood by questioning on the attachment to Bodhi tree, Lord displayed miracles of water-fire from his body and cleared all the suspicions. Lord Buddha spent third whole week in meditation and fasting (reaching 21 days), walking back and forth uninterupted from the Sri Maha Bodhi tree to unblinking Animisa” spot. 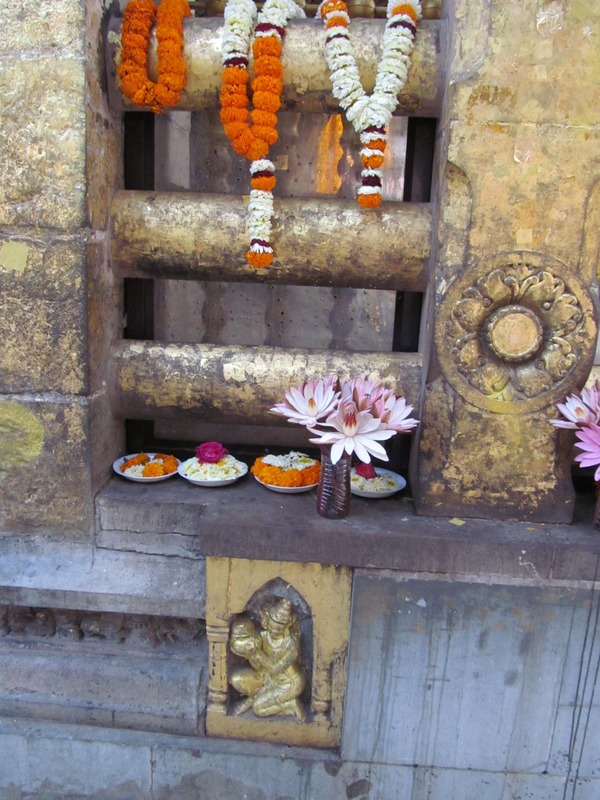 Presently at the side of Maha Bodhi Vihara temple, there is a corridor like path where a raised structure with symbols of lotus flowers, known as Jewel promenade (Ratanacankama Cetiya) showed where the Lord Buddha’s feet once rested and lotus flowers sprang up. 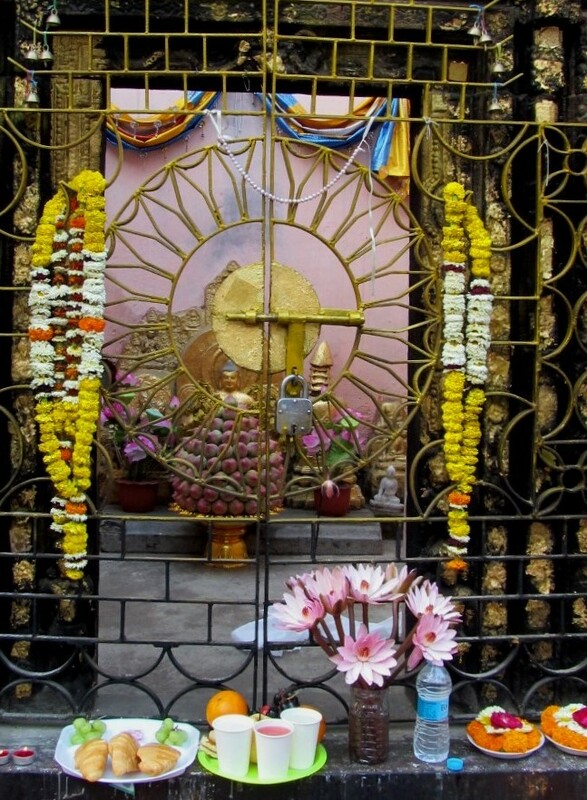 A small shrine (Ratanaghara Cetiya or House of Jewel) at the north-west of Maha Bodhi Vihara, is where Lord Buddha sat for deep meditation and fasting during 4th week after enlightenment (reaching 28 days). 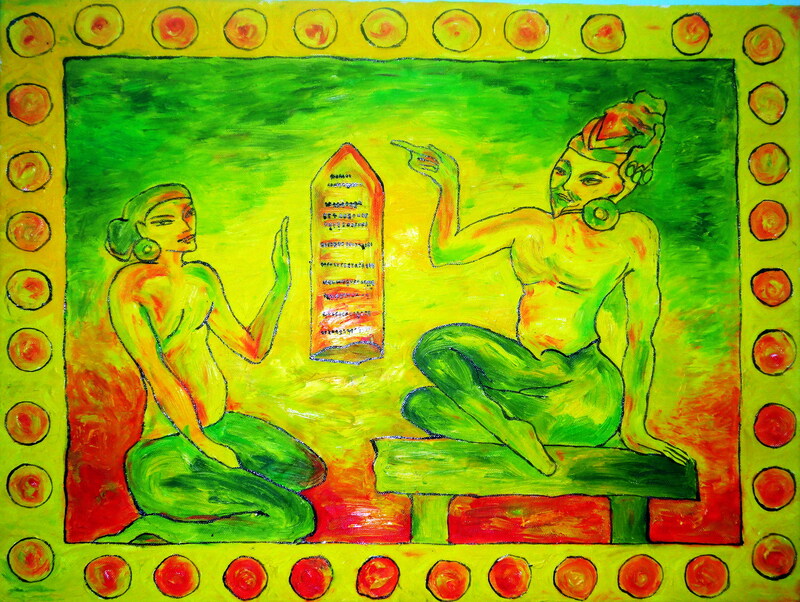 All through He considered 3 baskets (Tripitaka) of teachings: Sutra, Vinaya and Abhidharma. Among the 7 texts of Abhidharma, when contemplation reached to the highest Patthana (ပဌာန္းက်မ္း), Lord Buddha filled with bliss as a huge whale enjoying in the wide open ocean, and the auric rays of blue, yellow, red, white and orange (pink) emanated from His body, which now symbolized on the Buddhist flag. 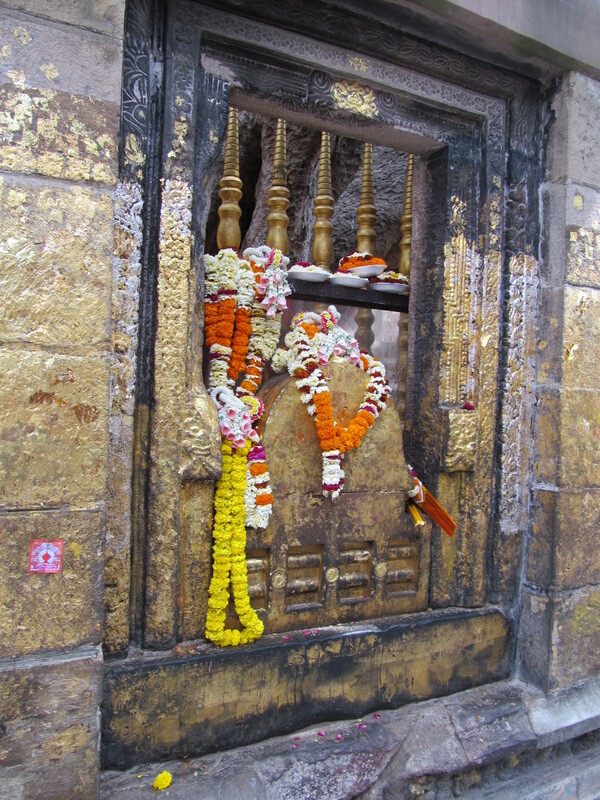 When descending the stairs towards Maha Bodhi Vihara temple, there is a stone pillar marking Ajapala-Banyan tree, where Lord Buddha spent his 5th week of meditation and fasting after enlightenment (reaching 35 days). 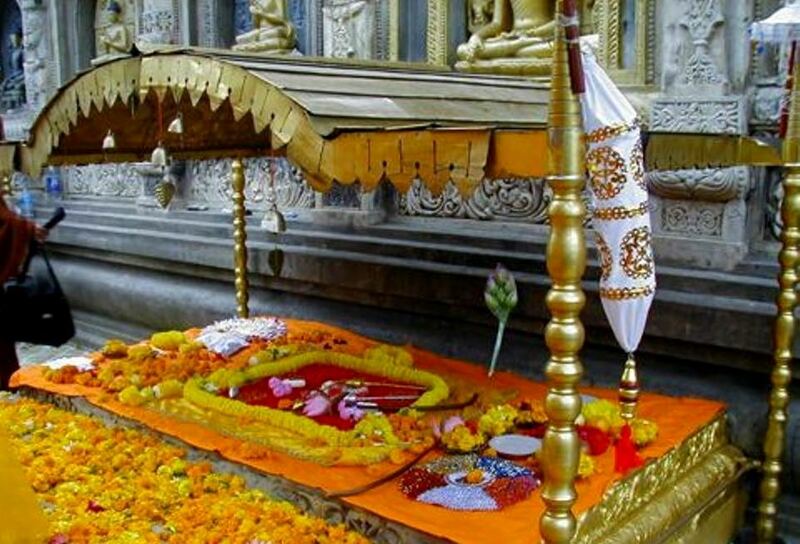 Three demonic daughters of Mara the evil (Ta-nha, Arati, and Raga) came here to seduce Lord Buddha with glittering beauties, but the Lord swept them away. Some refer as 5 daughters, besides 3 poisons of desire, aversion, and passion, also the pride, and fear. Here also Lord Buddha made a response to a question raised by a Brahmin named Hunhunka that only by the good karma (action) but not by birth made an Aryan. Just beyond south-east corner of Maha Bodhi Vihara temple, there is a 6 m high stone pillar, supposedly erected by King Ashoka. 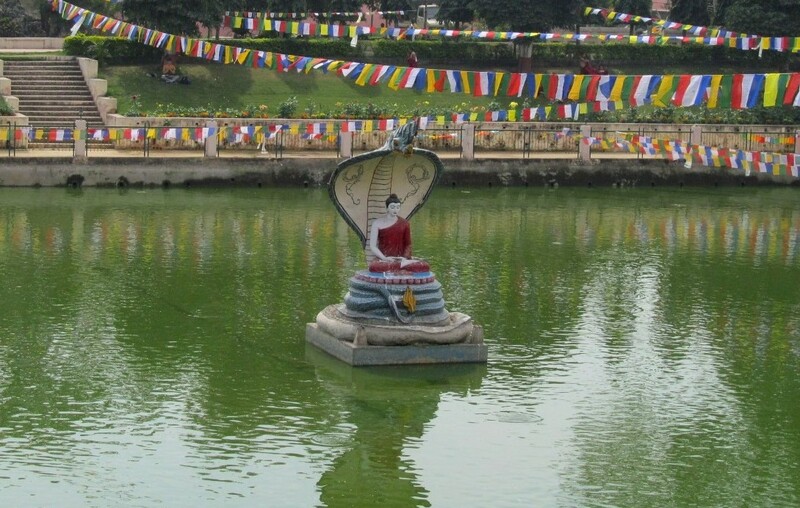 Adjacent to it is a large pond, called Mucalinda, where Lord Buddha spent his 6th week of meditation after enlightenment (reaching 42 days). 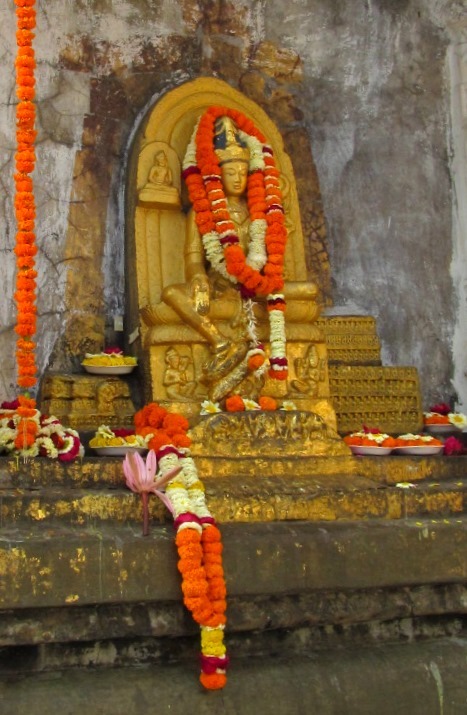 Prince of serpent (Naga) protected the Lord during that whole week from a stormy rain. 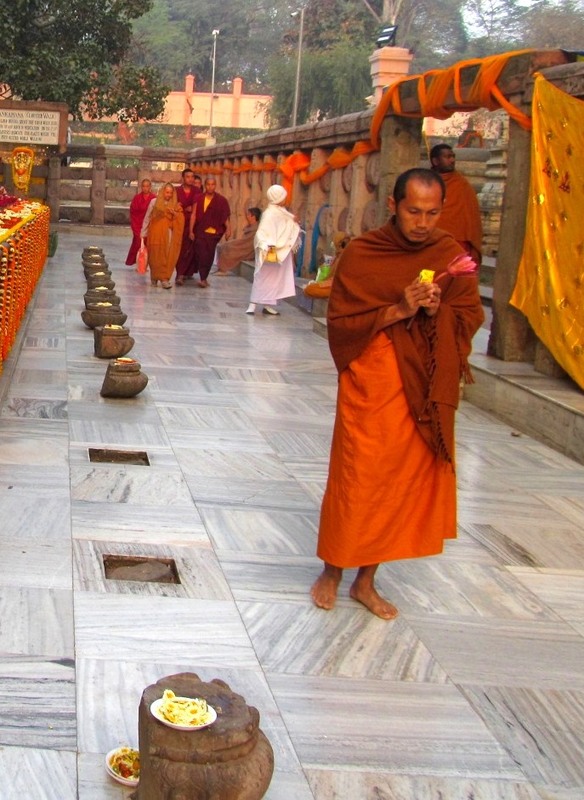 When it ceased Lord Buddha preached serpent prince about the bliss of a saintly monk who attained Nirvana, and merits get from the freedom of anger which devastates others, freedom of desire which appended to others, freedom of pride which compelling upon others. 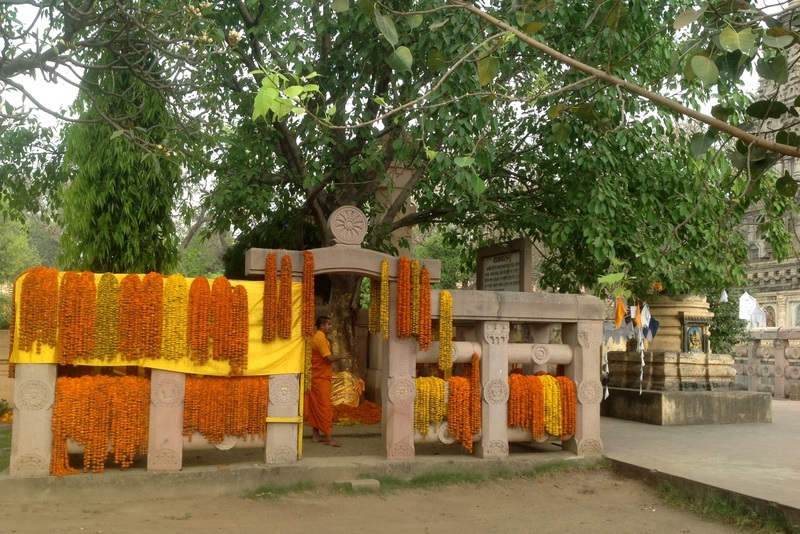 A few meters south of Mahabodhi Vihara temple, a Banyan tree လင္းလြန္းပင္ (Hura crepitans) marks a place where Lord Buddha spent his last 7th week of meditation and fasting after enlightenment. 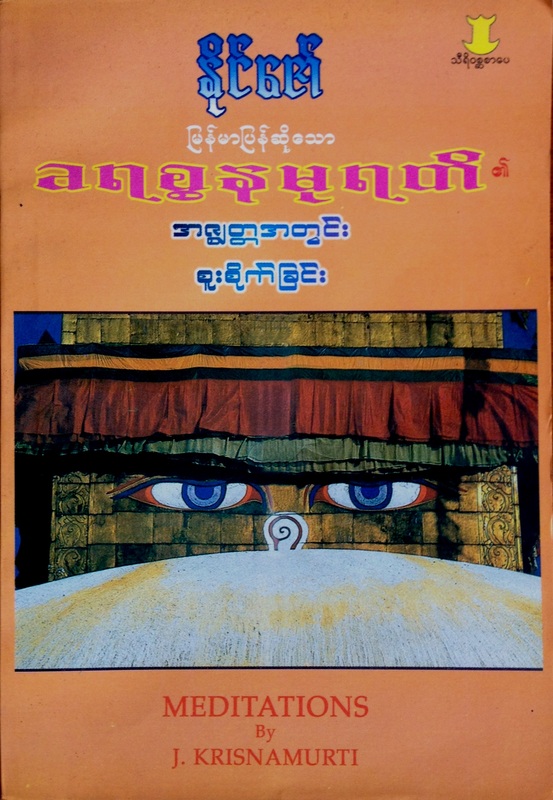 As 49 days accomplished Lord Buddha washed his face on that morning and accepted the food offerings by two merchant brothers, Tapussa and Ballika of Ukkala (modern day Yangon of Myanmar). Lord Buddha gave them 8 strands of hairs and sermons two gems “Buddham saranam gacchami and Dhammam saranam gacchami” as there was no Sangam at that time. 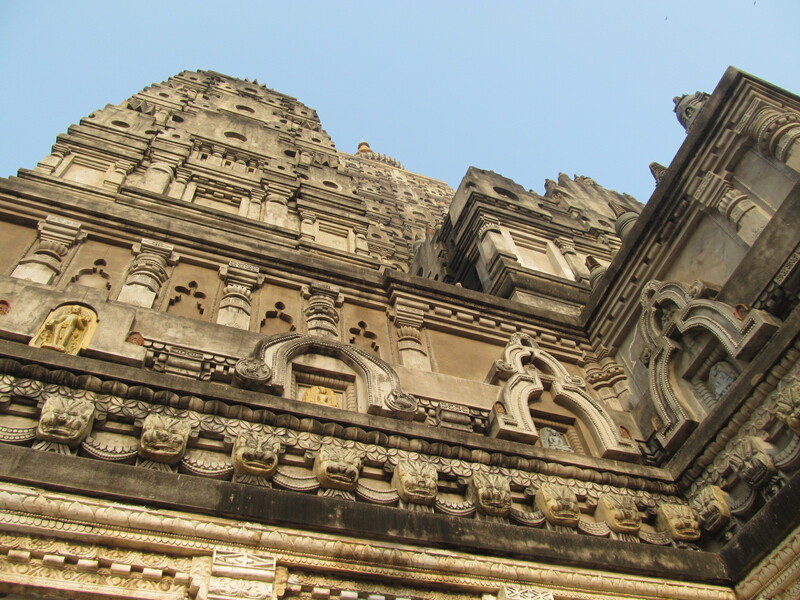 Those hairs were enshrined as relics inside the magnificent Shwedagon Pagoda, Yangon. 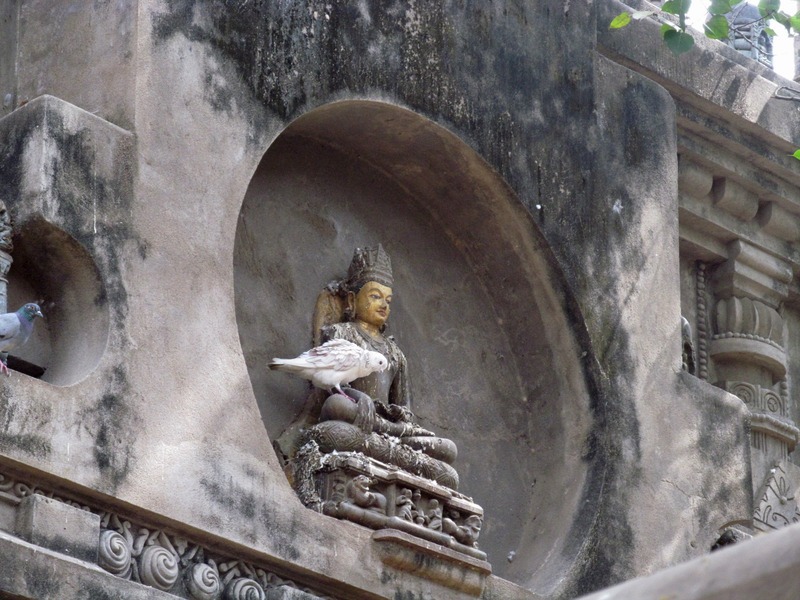 I’d worshipped an image of Bodhisattva Maitreya located at the northern outer wall of Maha Bodhi Vihara temple. 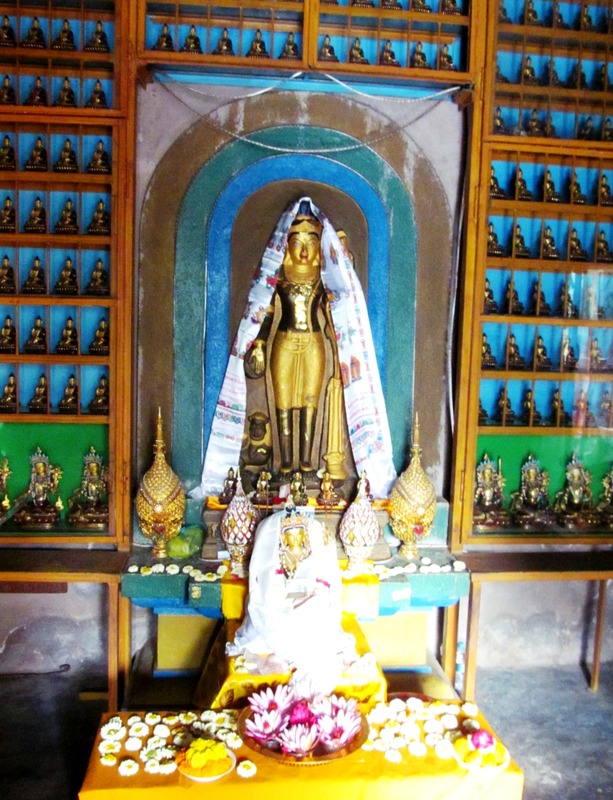 Bodhisattva Maitreya will be the 5th Buddha of this Bhadrakalpa, will appear in future as a successor to the Lord Gautama Buddha, achieve enlightenment, and teach the pure dharma. 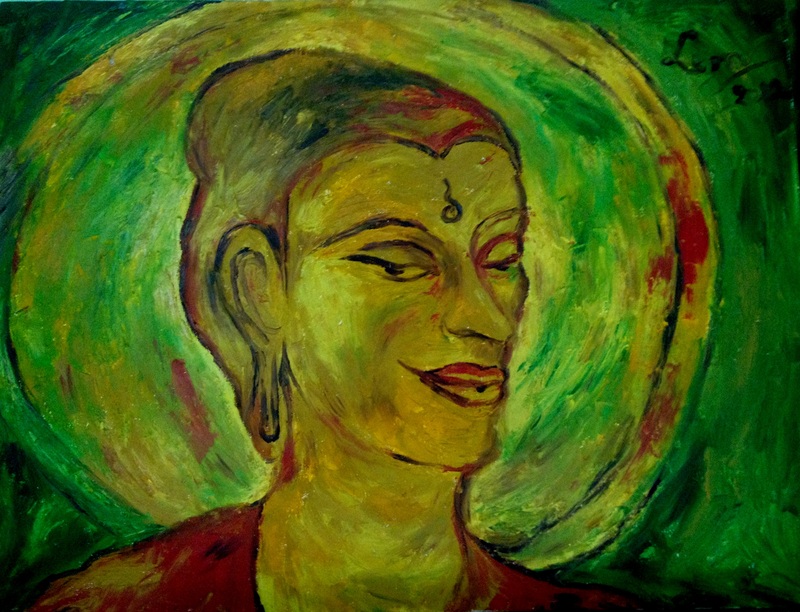 Maitreya means “loving-kindness”, which in turn derived from mitra (mitta) in the sense of “friend”. 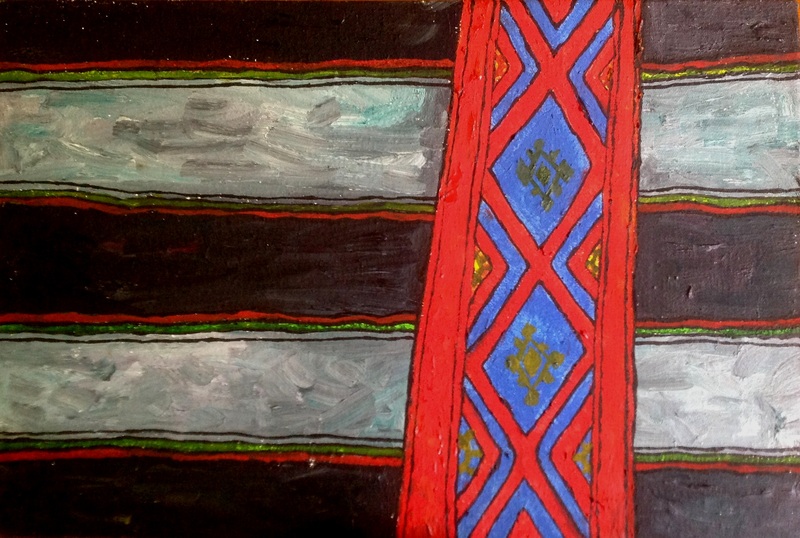 Currently resides in the Tusita Heaven, pictured seated on a throne, waiting for his time. 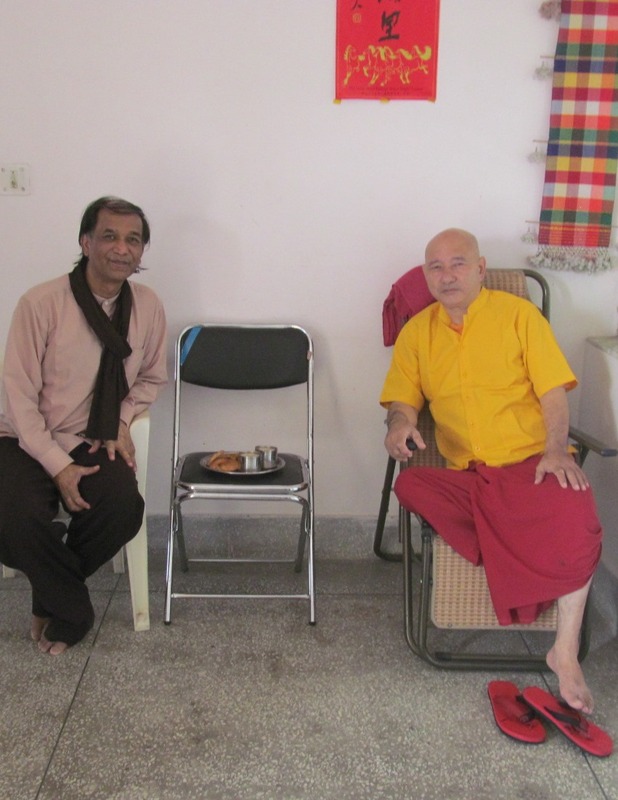 I am one among the Buddhist devotees of different regions, different countries from far corners of the world come as the streams of multihued people with various faces, diverse clothes, gathered here. 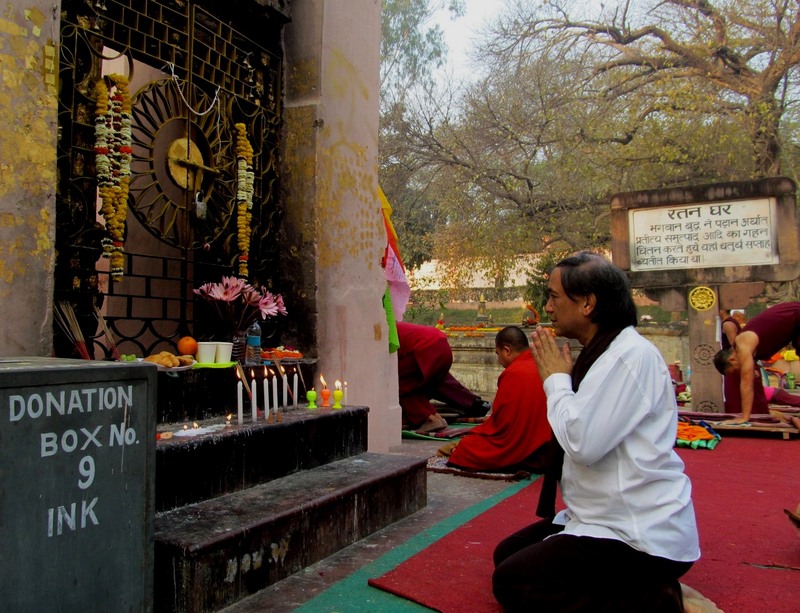 We all held our prayers and take haven under the shelter of Bodh Gaya temple campus with same intense faiths: their own meditative mind. 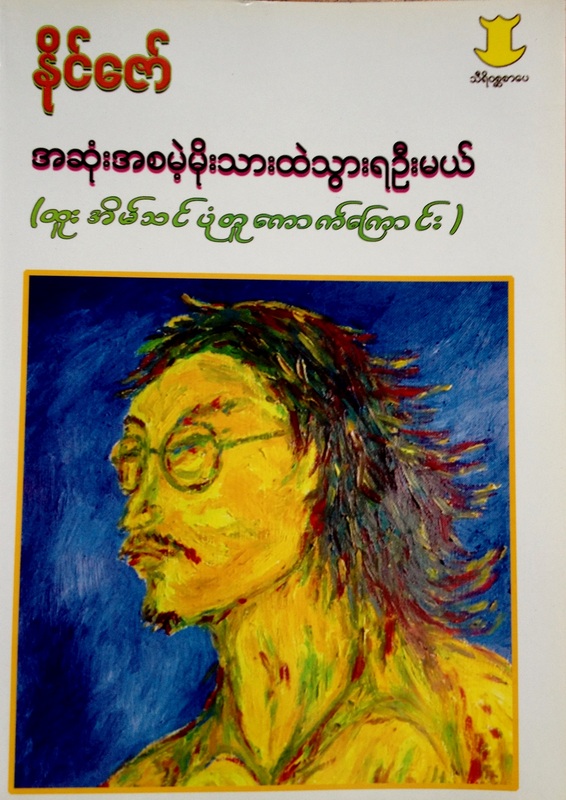 Fortunately I’d a chance to get the guidance of Venerable Ashin Sandavarabivamsa (ဘဒၵႏၲ ေဒါက္တာ စႏၵာ၀ရာဘိဝံသ) of International Theravada Buddhist Missionary University, during a week of time when I was in the sacred land. 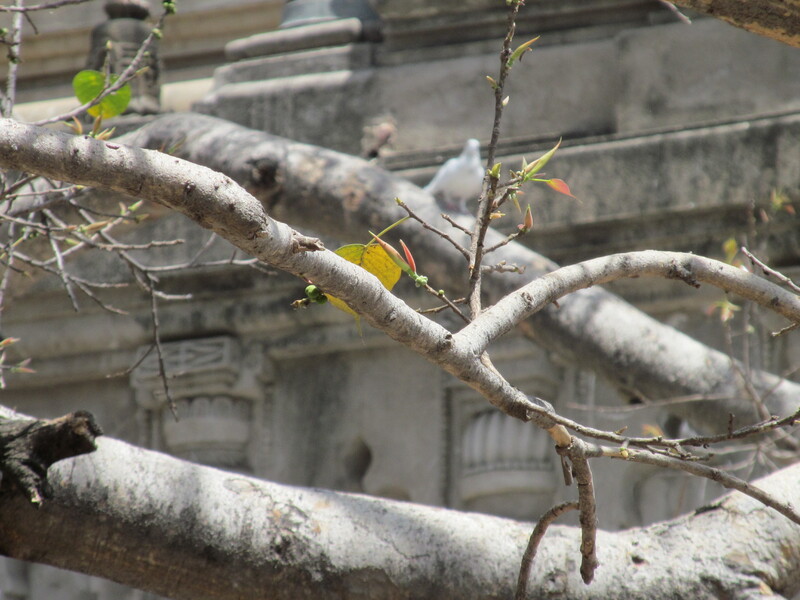 I’d seen, in a split of coincidental moment, a white bird on the lap of the image of Lord Buddha, directly facing the Bodhi tree, just ahead of Vajrasana (Throne of Diamond). Foretelling peace, tranquility, silence, harmony, and serenity! 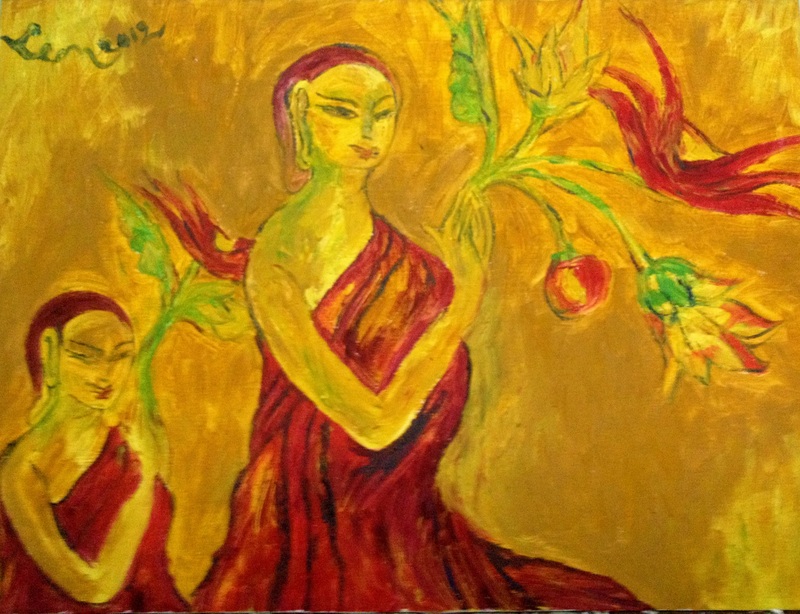 Sharing here to the all sentient beings. 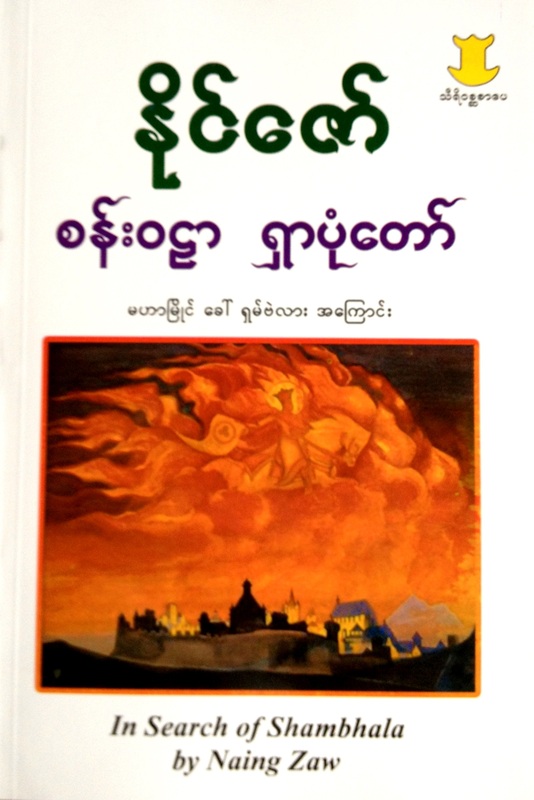 This is my 35th book, “Collected Short Stories”, published before concluding 2014. These are some of the yields through my 4 decades long writing career. 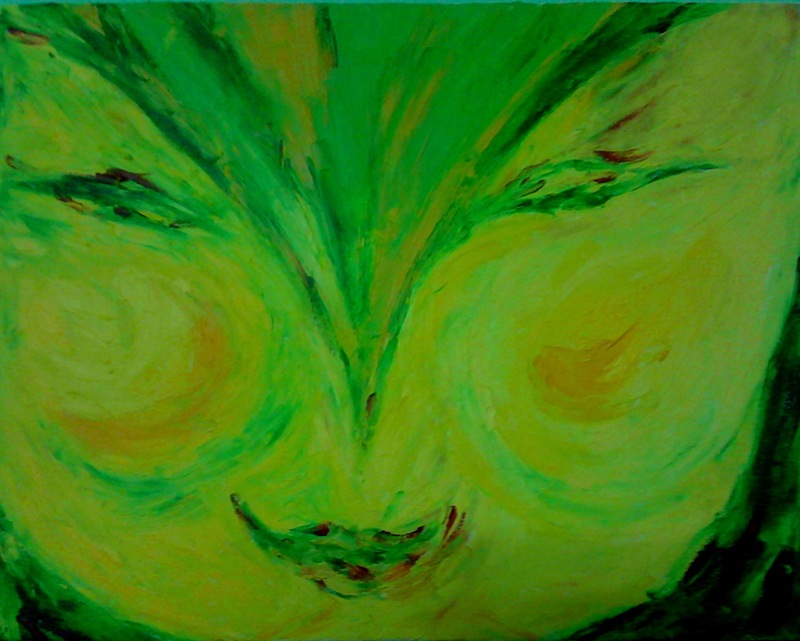 With mindfulness I have new eyes. I remained ignorant and neglected myself. My teacher showed me how to breathe. With each breath I understand what it is to live. And then are gone, like morning glories. 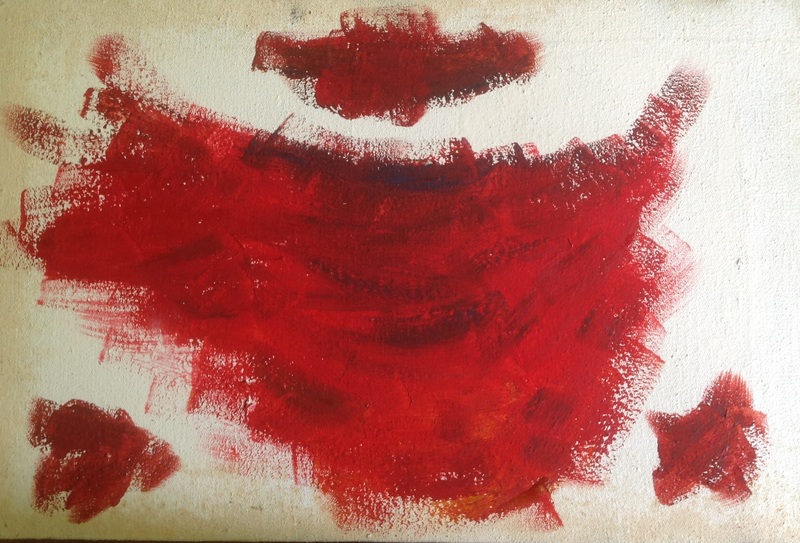 Everything comes and goes – all is glorious impermanence. Conscious attention at each breath is the only constant I can rely on. How precious is a moment – every split second. That is where I live. Opaque with heavy mist, Clocks slowed down, In this small town, There is a man, who not dare nor disregard to throw-off the old love-letters into the dust-bin. 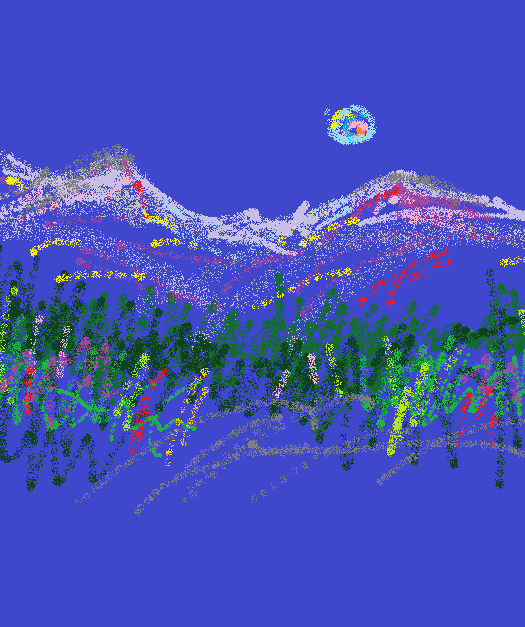 When the moon is shining so vividly on the mountains, That man is on the tortuous serpentine lane. When all are sleeping and seems to be dreaming, Why is only this little house different? Oh! birds, I had already said a prayer. May forests be as forests, May mountains be as mountains, May streams remain for long time as before, May the wild flowers scent slickly, and be the same to the fragrance of pine that have strength. May small butterflies be flying in the clean air. 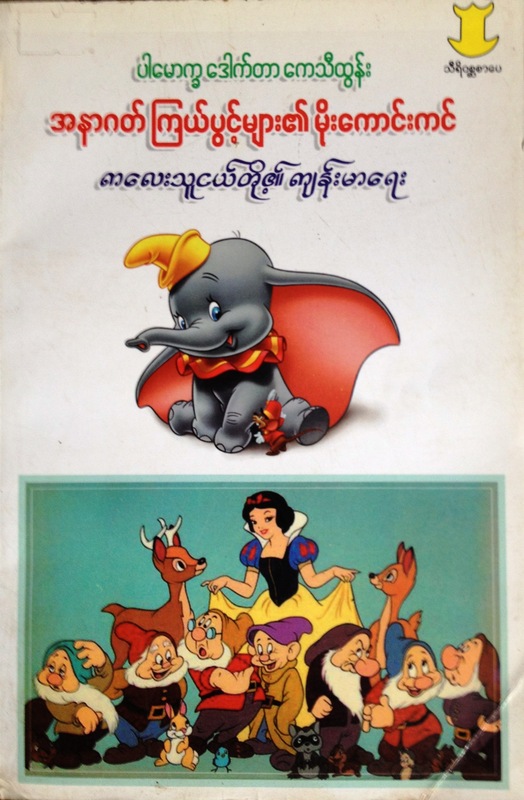 May Kalaw remain forever as an ornamental poem of the world. I will also recite that poem for all the time. In this instance, I am not necessary Just to photograph Kalaw (for holding it). 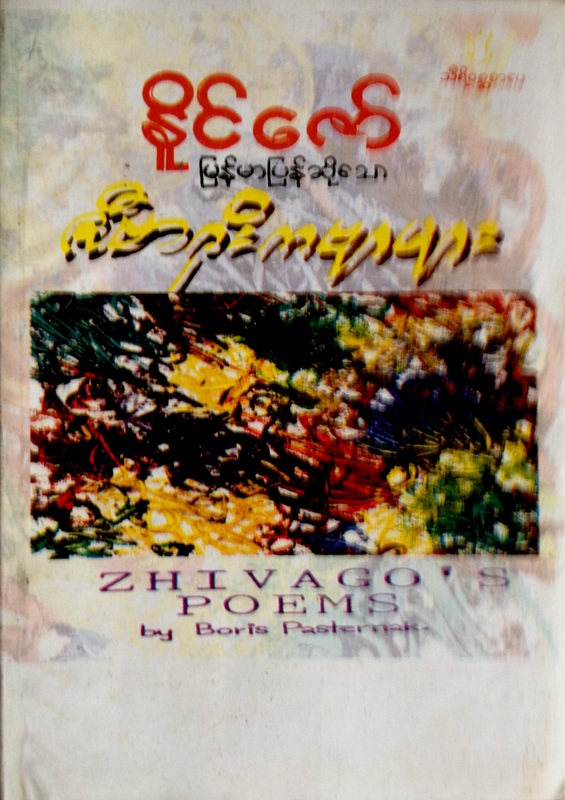 I myself is Circulating in the blood-vessels of Kalaw. For an unfulfilling blank, In the morning breeze of Pine forest after the rain, There is the body-scent of my lover far away. Afterward, When I kiss my lover I will be nostalgic for the pines yet again. In the twilight, Pines are alluring with their skins of pythons. In the cold air, Sweet, frivolous dizzy scent from the bonfire of the heap of dry pointed needle leaves. Upward to the mountains steps, hands in the air lifted up the stars so high, that they are thrilled with palpitation. Oh! Cute little girl. I can’t carry along your song unto the morning. Therefore, I apologize you. Please stop singing. Do I hear the mermaids singing? Go out with the setting sun on an vacant seaside is truly embracing to me. I walked barefoot till late night along the shore with rhythmic heartbeats of the enormous water, listen the great elemental sounds of outer ocean. All the fragrances, noises, scenes, tastes, and touches of the sea are cool. 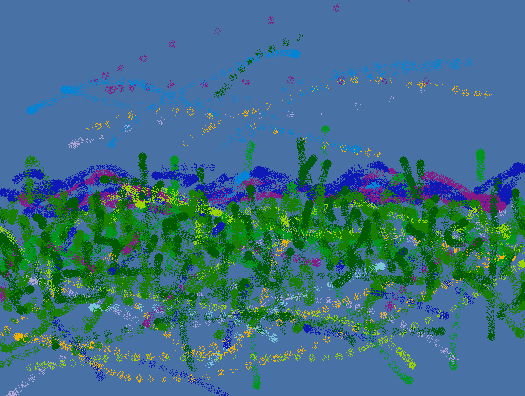 I understand that no wave can exist for itself, is ever a segment of the continuous throbbing surface of the ocean. Life never ends as a ripple reaching to the sandy beach, but successive upsurges will come up endlessly. As I well apprehend that the sea does not allow anxiousness, greediness, or impatience, a humble existence is worthy with me. I make my mind clean, open and empty as a beach, expecting wonderful gift from the sea. Then exactly I have bliss. Able to collect only a few shells here, but my memories will remain on, even once my footprints in the sand vanished. 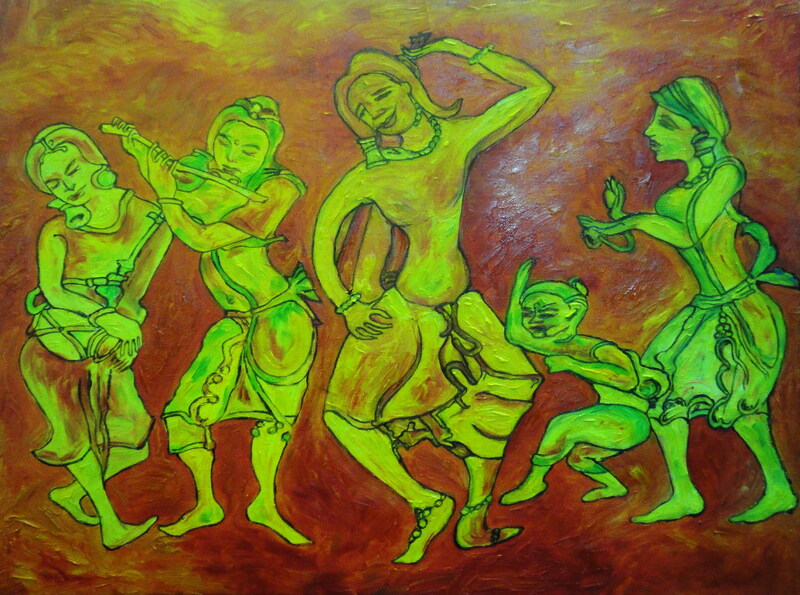 Let dance raw and free with raw drumbeats, gongs, cymbals and hand clapping. Respect to the energies of nature, Make balanced between gods and human. 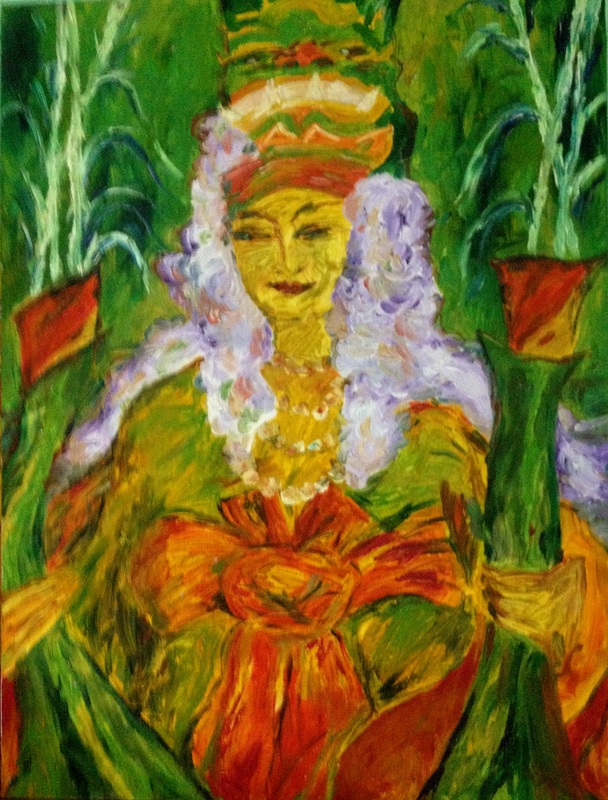 With a dancing raw and free, harrow the mother Earth with reverence and Make harvest good. Hunt the preys with due regards. 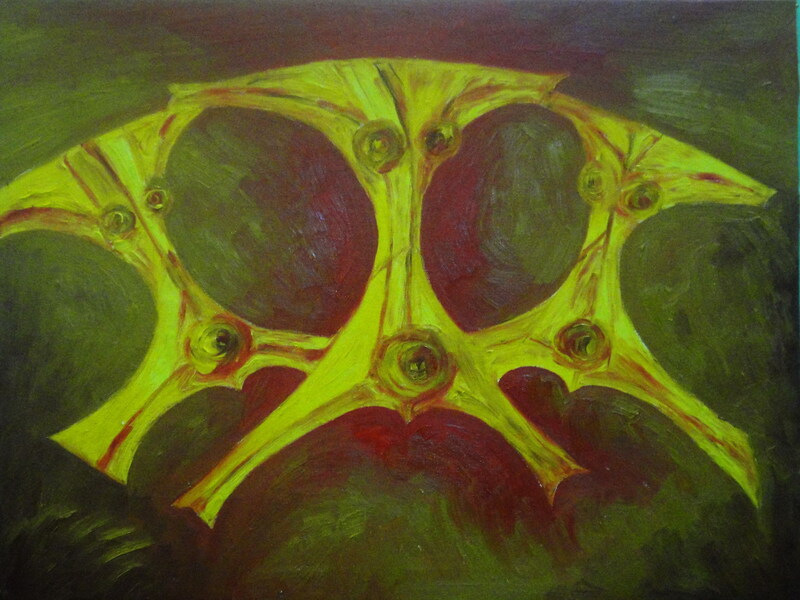 With raw drumbeats, gongs, cymbals and hand clapping. A boy will have a chance To go back home. He will paint completely the small town. He will also paint himself. However, let Hills, forests, streams and sky to be natural. Each with their white snow coronets. Externally they seems so solemn. The sounds of their heartbeats are so delicate and quiet. I can hear the sounds of my heartbeats. Their heart blood is Clean, cool and sweet. Water is colourless, odourless, and tasteless. Get the taste of water. I have known all these Much later. Father Spreading a net Like an extending wing. He gets the milk breast again. 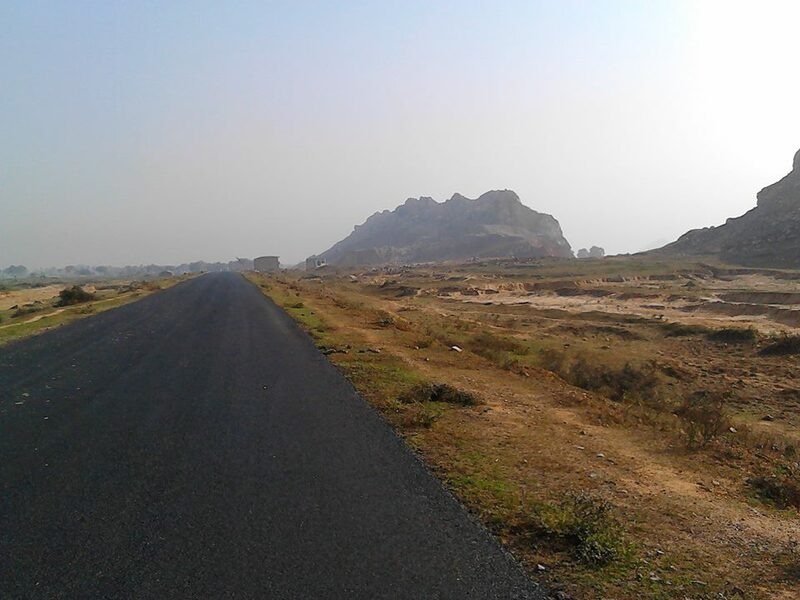 Another side is Tant-Kyi mountain range. 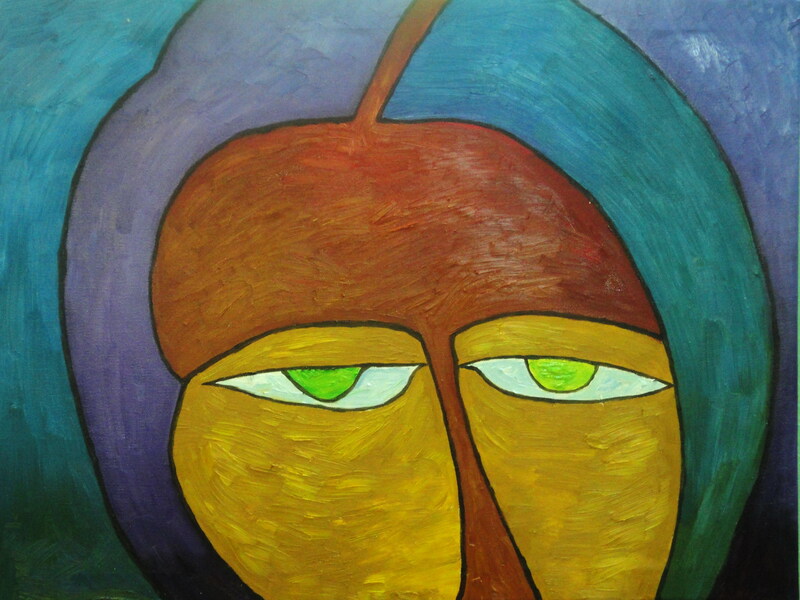 Were you a mural painter? Were you a bird in the air? Were we flowing water together in this river? around the terraces of river Ayarwaddy. They were afraid of darkness and rely on sunshine and moonlight. Respect the Sun and the Moon. \Awed upon the energies of rain, wind, lightning and thunder. Gratitude to the Earth for their standing. 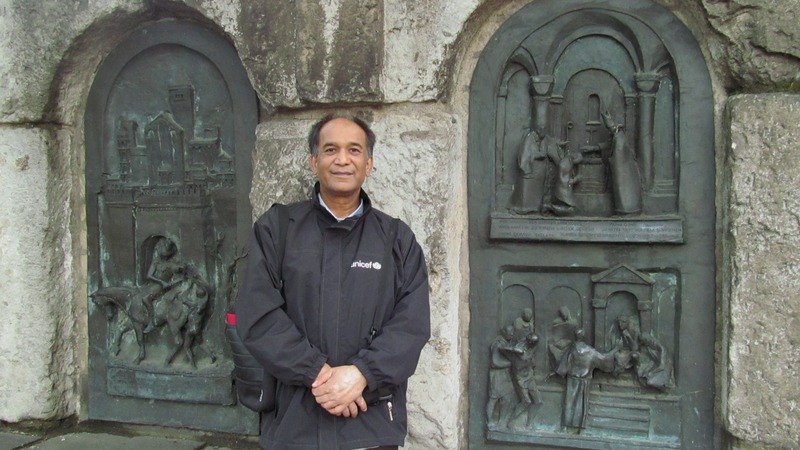 Believed that great mount Popa as home of the divines. 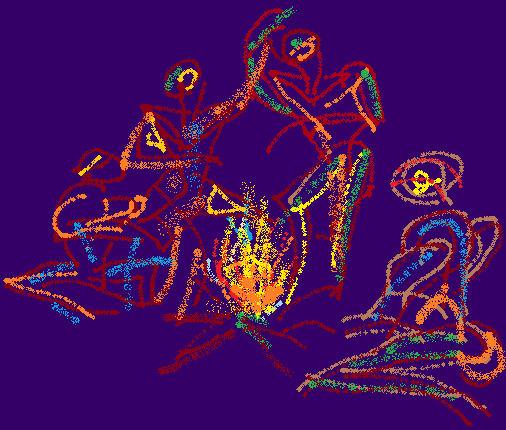 At nights, they made fire with tribute and eat provisions with honor. the concerns of their environment than themselves. Under the shade of an ancient tree with great legacies. Chirping happily and enjoying the fruits. Old yellow red leaves fallen like raindrops. To keep as precious mementos. I looked up and see that all the ramified boughs stripped unclad. A white bird come and perched on a branch! 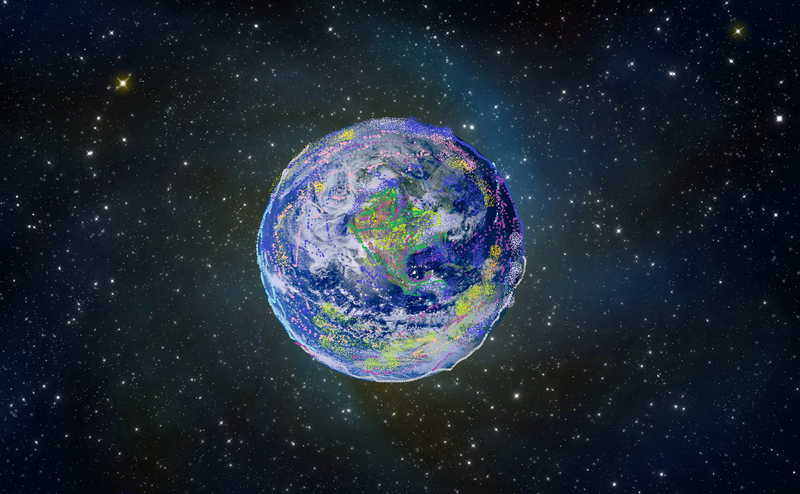 If the Earth is a ball “the Atmosphere” is covering delicately on the Earth like a thin sheet of paper. Not even as thick as an exocarp of a fruit or pericardium of a heart. However! Only for the existence of the Atmosphere “the Life” can appear on the Earth and water. Only for the existence of the Atmosphere “the Life” can persist on the Earth and water. Our tropical regions have only 3 seasons, summer, monsoon, and so called winter. Now! 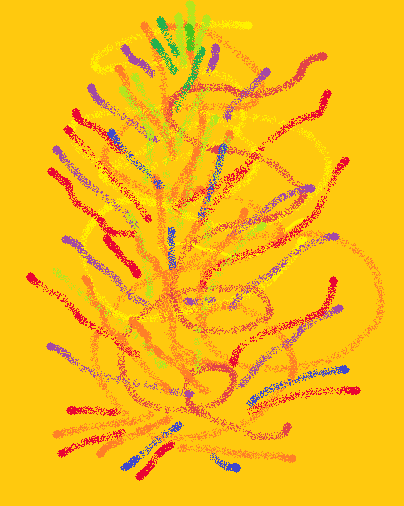 Heat of tropical summer is swiftly coming with thermal waves, illusive mirages, gust of feverish whirlwind. Long Summer days are full of oneiric dreams, followed by insomniac short nights. Beautifully intoxicated time is moving sometime like unmoving. All trees shed their leaves and stand up with their …transparent skeletons. Leaves of “the Past” heaped and scattered with waft. 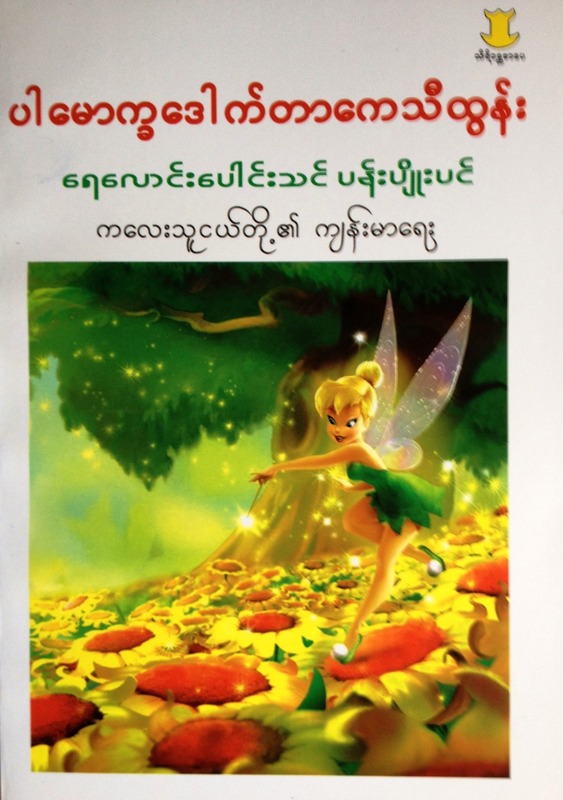 According to Myanmar tradition “Summer” is the most Scenic season, even enlightened one can confuse with it’s enchantment. I am just be awaiting! Future’s footsteps still echoing from far away. Within a few days the new shoots will come up, still not so green because of their so pure freshness. Expecting blooms of almost blinding bright and colourful flowers with their sweetly honeyed perfumes. Cycle of life will rise up again with full of strength. Journey is long, yet no one is late, not a single one be left behind, because targeted destination is for everyone. Tomorrow is welcoming! 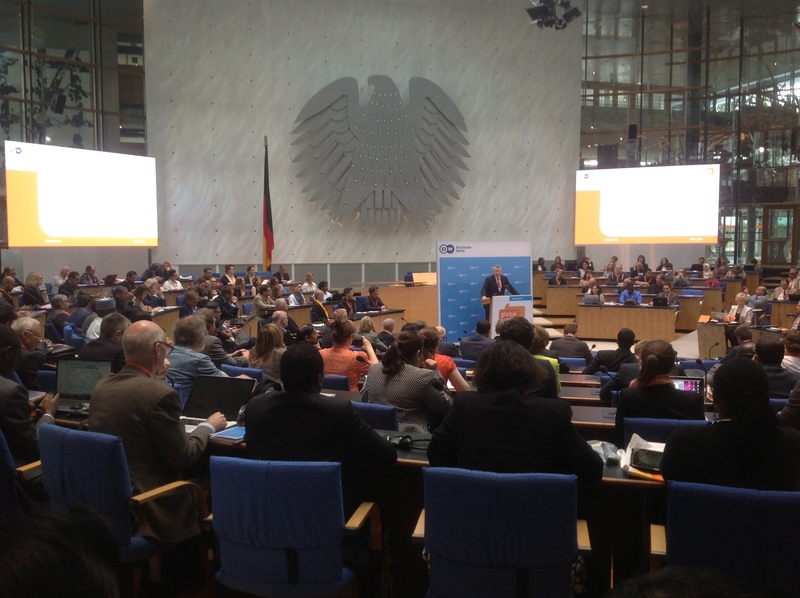 The Deutsche Welle Global Media Forum is an annual international conference focusing on the establishment of a platform for interdisciplinary exchange and dialogue on the challenges of globalization in which media play a central role. 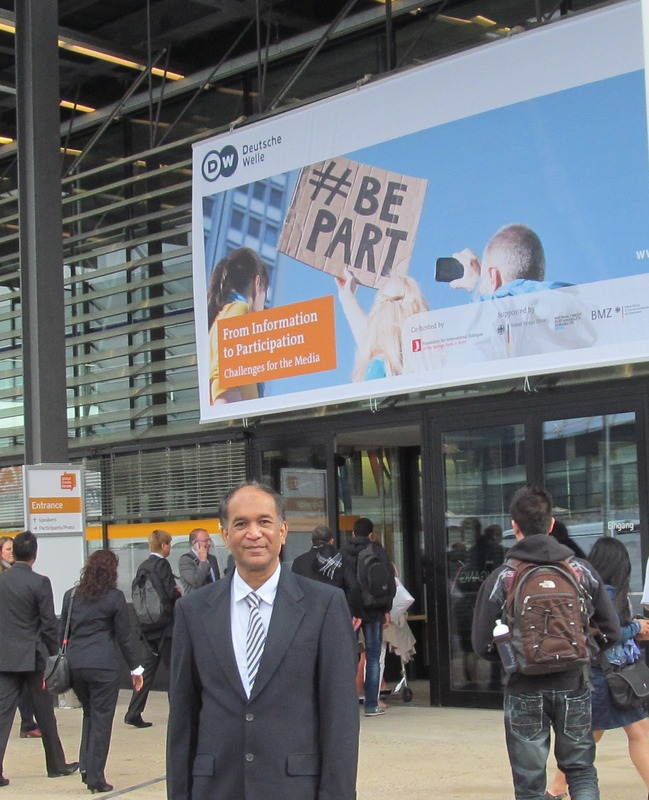 Germany’s Federal Foreign Office is supporting this conference financially and with regards to content provided the basis for a growing international network of experts from more than 100 nations. Take part in this event means inserting a jigsaw piece into the multiple facets of the media world’s dynamic multicultural scenario. 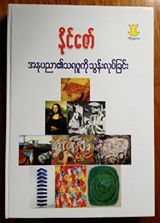 For me as a published freelance writer for more than 30 years, having small publication house with local language, and an active user of social media from Myanmar, to participate in this crucial event of global media as crossroad experience of the bridging. 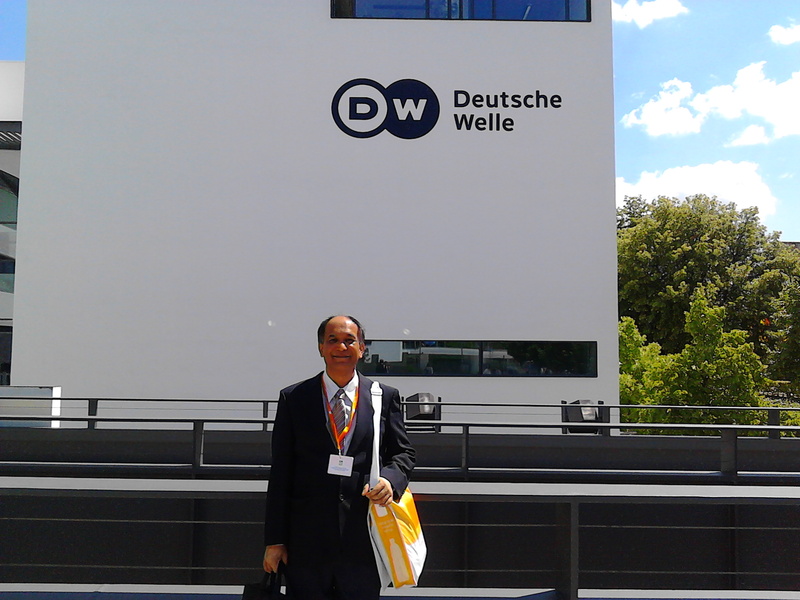 Thankfully, I received my invitation letter from Deutsche Welle Media Services in early May, 2014, to attend DW-GMF. Proceeding to the German Embassy in Yangon, Myanmar for a visa was done and allowed in accordance with necessary documents. After confirmation by me, all the hotel reservation and air-rail e-tickets were came in. Everything was ready for me since middle of June. 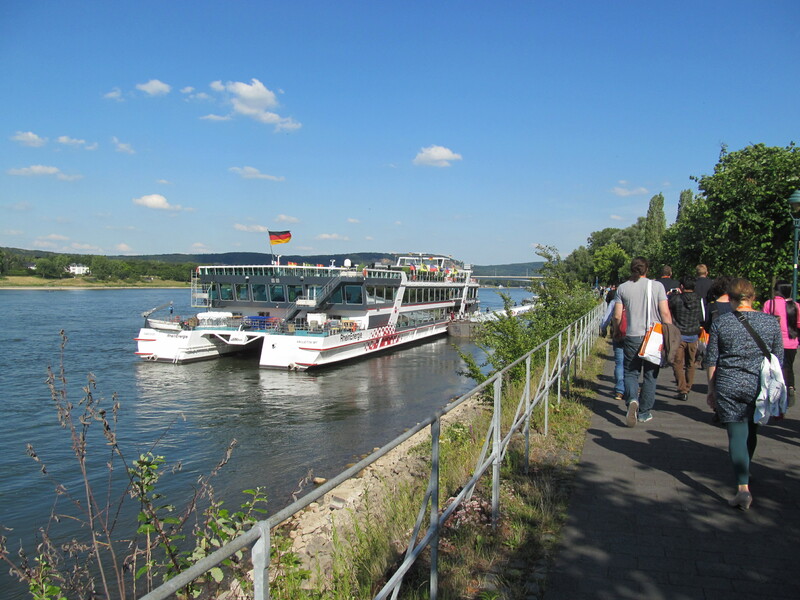 All the information about GMF and advices about travel, especially for Frankfurt Airport-rail system were sent before my journey. 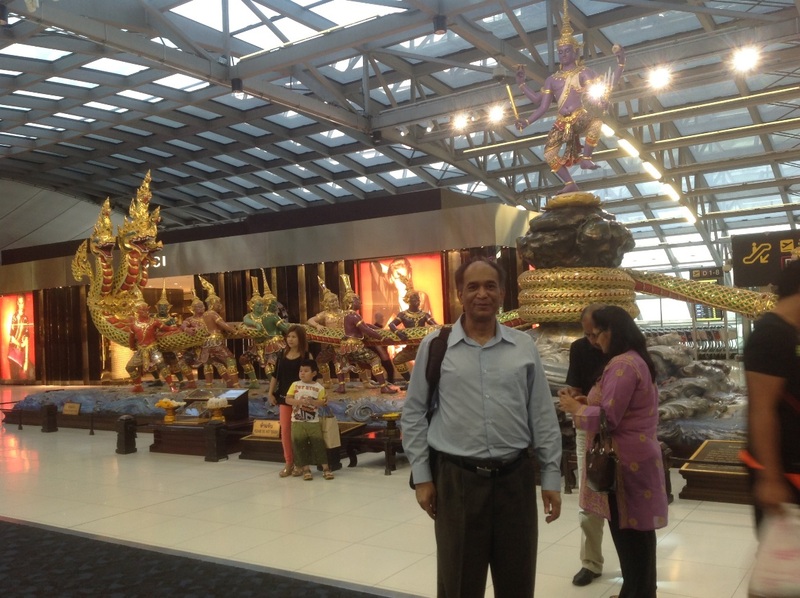 My journey began from Yangon on Saturday, 28th June, through Bangkok to Frankfurt was smooth. 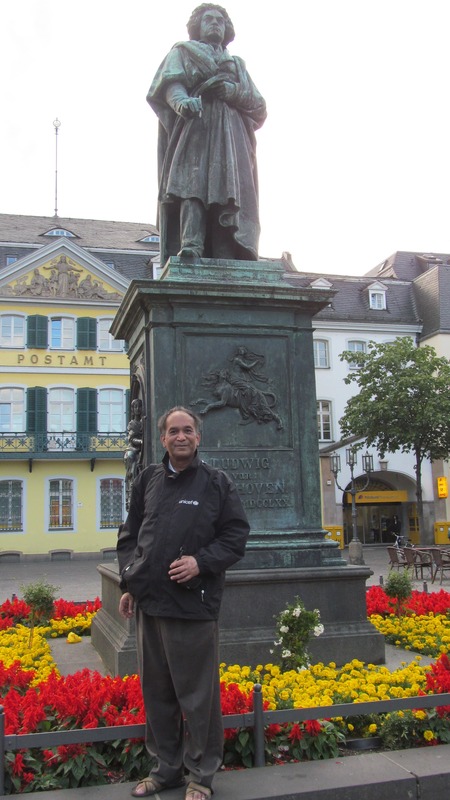 Continued with Rail and reached safely to B&B hotel, Bonn at midnight. I had been crossing a time zone. 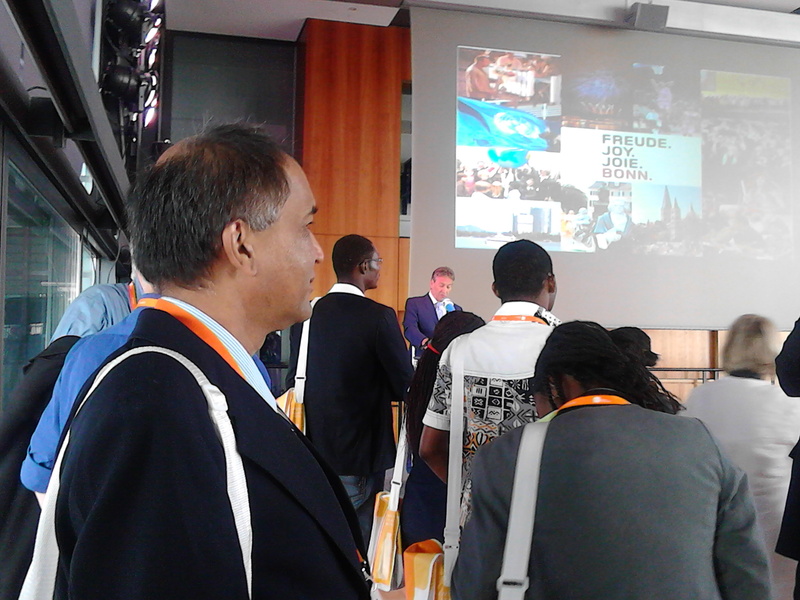 Attending the pre-forum coffee party at the Deutsche Welle Centre, meet with cordial welcoming project manager and several enthusiastic participants were coming. Making new friends and exchanged mutual chit chat. 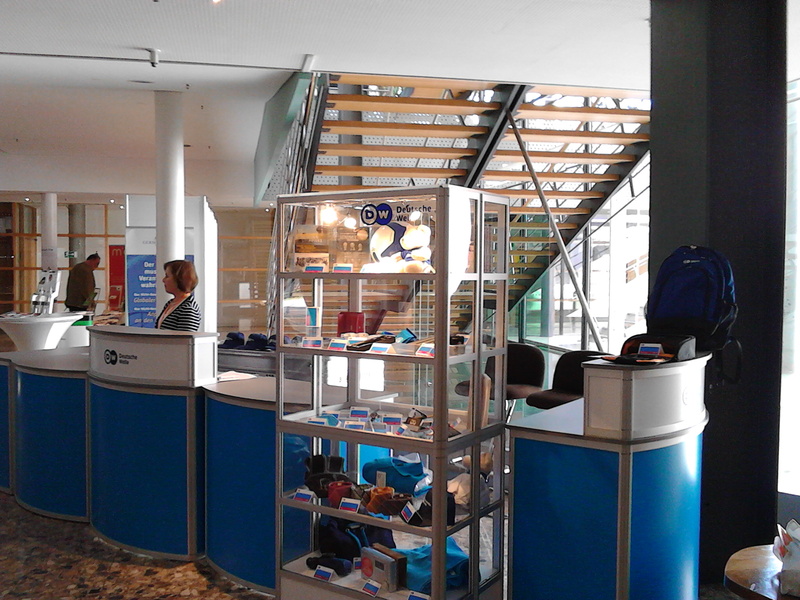 Registration was convenient with cordial welcoming from receptionist counters, receiving all the necessaries for the forum. Grandness and multicultural inclusiveness of the Forum was evident with numerous honorable guests, experts and participants came from various corners of the world. 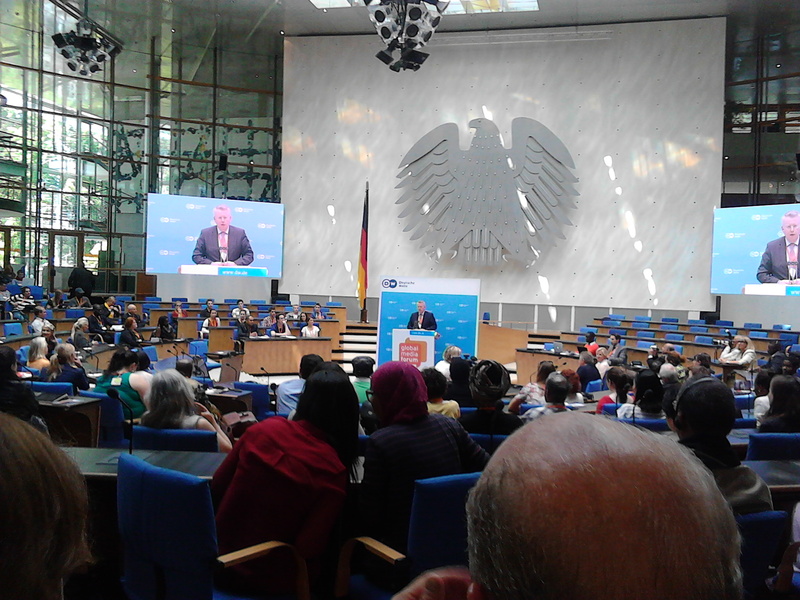 Welcoming remarks of Peter Limbourg, Director General, Deutsche Welle, Germany at opening ceremony and Keynote speech by Thorbjørn Jagland, Secretary General, Council of Europe, Norway, were remarkable with important messages for dynamism of media world. 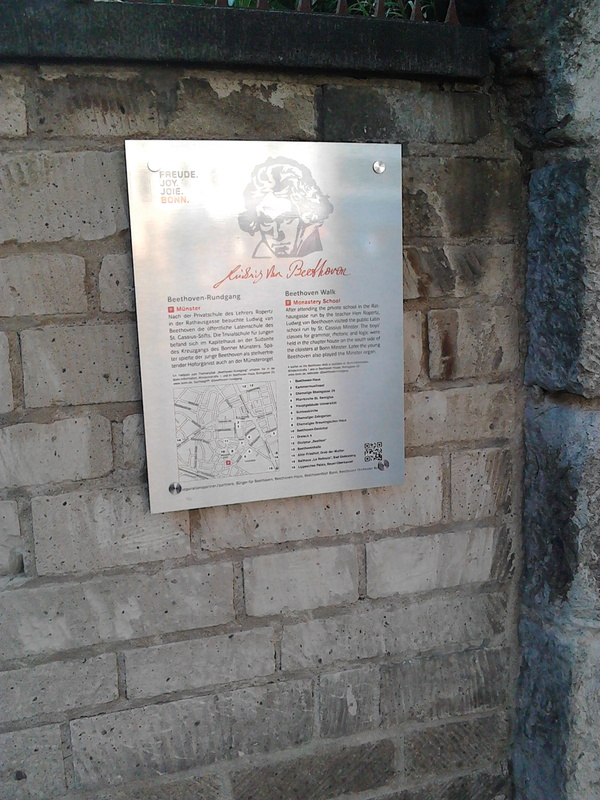 For me the instrumental duo performance of trumpet and cello was very special and also significant for Bonn, the native of Beethoven. After that Brent Goff presented very well with enjoyable guest, Dr. Bassem Youssef, satirist and columnist, host of the El Bernameg satirical news show, Egypt, showing tactful entertainment’s usefulness for encountering with a very tough and challenging situations. After that there was “Media summit: The future of journalism and the role of international broadcasters” which highlighted the shifting paradigm of media’s digital future by intermingling between bloggers’ commentary and traditional journalistic reporting contents. Keynote speech of Dr. Mathias Döpfner, Chairman and CEO, Axel Springer SE, Germany “A farewell to pessimism: Why journalism benefits from digitalization” gave the hope and ways for next steps. 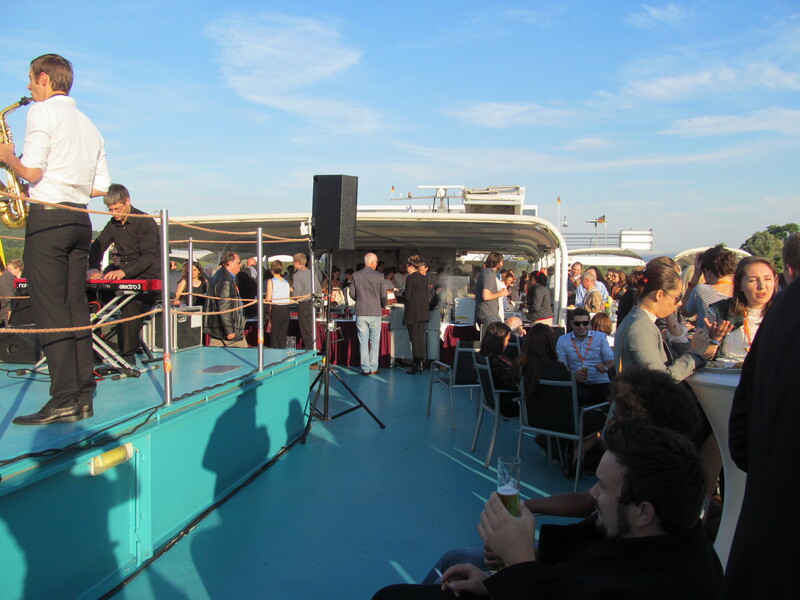 At the lunch time, meals were appropriate for me and plenty of coffee breaks throughout the program make me freshened. At the afternoon of the first conference day, there were 6 parallel workshops which make me a bit to consider because all had their attractiveness. Finally I joined to “Quality vs. quantity – How is traditional media responding to the rise of social media?” room which I believe given many ways and means to face the challenges. After a coffee break, there were another 6 parallel workshops again which I need to make a choice. I had joined to “A blueprint for building communities: Applying community-building practices to a news media company” which was a very interactive one. Thanks for the coordinators for their skill and understanding about human nature in communication and expressing by guiding with theme. 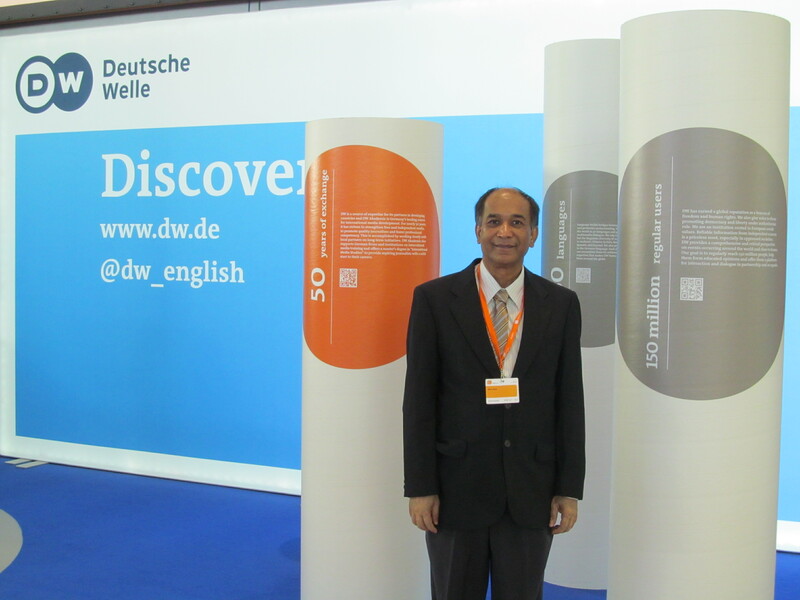 I enjoyed a lot there, getting some new friends. At the main theatre Dr. Gerd Müller, Federal Minister for Economic Cooperation and Development, Germany gave the speech. The following program “2014 Bobs Awards Ceremony” was thrilling for me because of the great jobs done by media-persons from the various parts of the world. Congratulations for all award winners who had taken risk doing good not only for the communities they represented, but also stand up as role models. Well deserve for the awards. 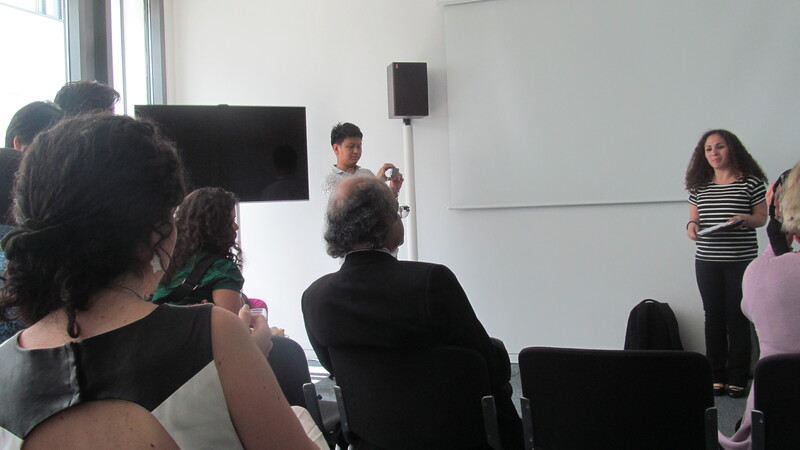 Morning program began with a good topic “Global and participatory: Political opinion-making in the digital age”. News and information are more immediate and omnipresent than ever before. How does that affect policy-makers’ actions and individuals’ personal roles in political communications? 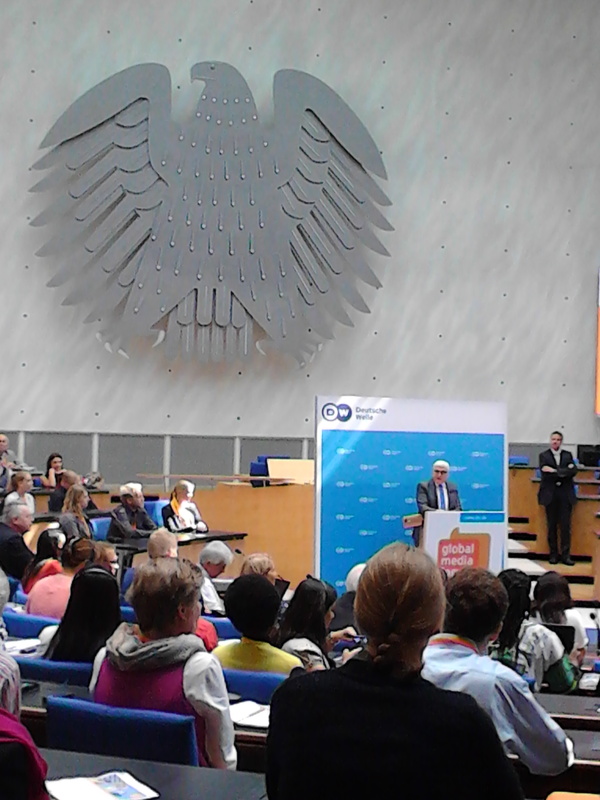 Dr. Frank-Walter Steinmeier, Federal Foreign Minister, Germany gave the keynote speech and discussion. 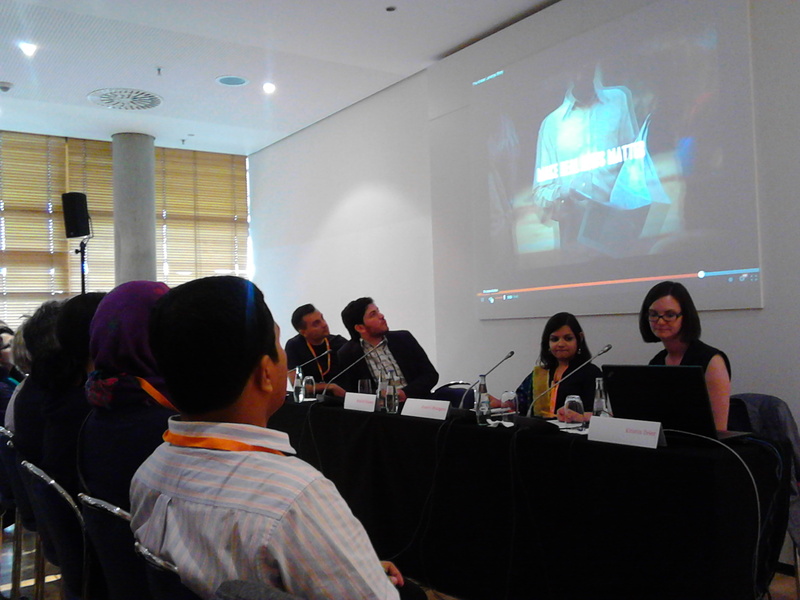 After lunch break, there were parallel workshops; I was participated in “the ICT4kids Oscar goes to…: Good practice in engaging children and youth in development” as I believe and hope of the future in the hands of children. Afternoon Second conference day program was “Transatlantic talk; Disclosure of the United States NSA’s secret surveillance activities has deeply shaken transatlantic relations”. After coffee break, there were workshops. 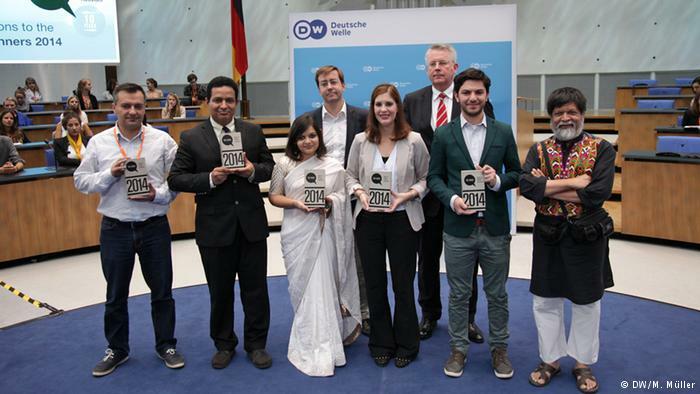 I had joined to “Digital activism and social change: Views from the winners of the Bobs Awards” as I admired their efforts and want to listen their point of views. I get valuable knowledge and experiences. 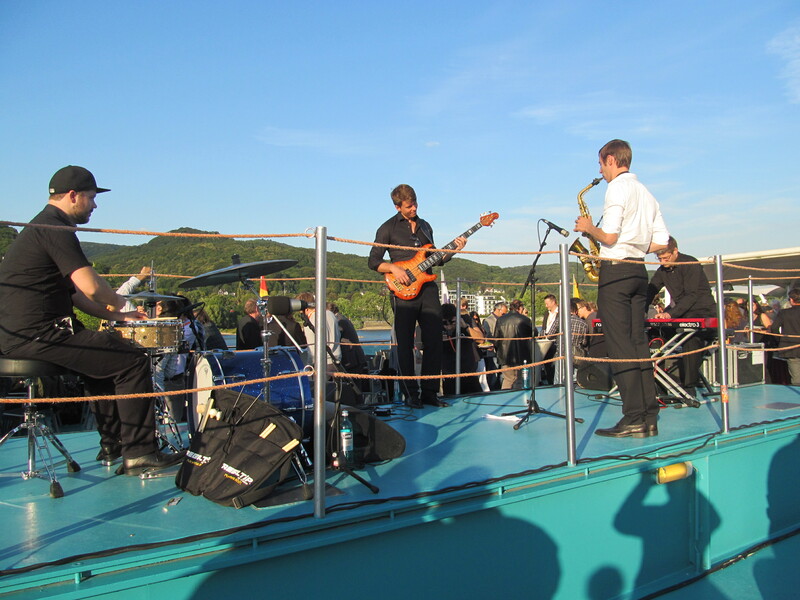 Boat trip and dinner cruising along the Rhine was really relaxing, delightful and unforgettable moment. Third day program was started with the keynote speech and discussion by Sarah Harrison, WikiLeaks Journalist. 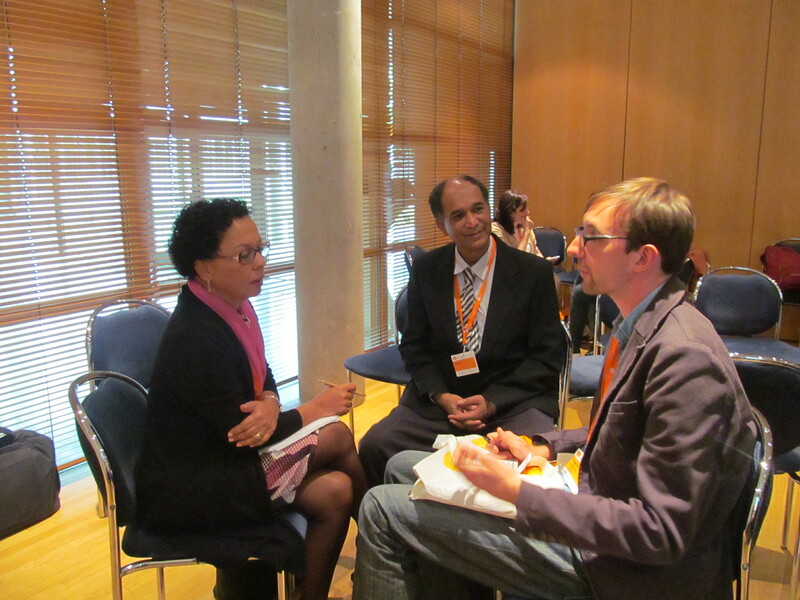 Active and lively discussions were observed. 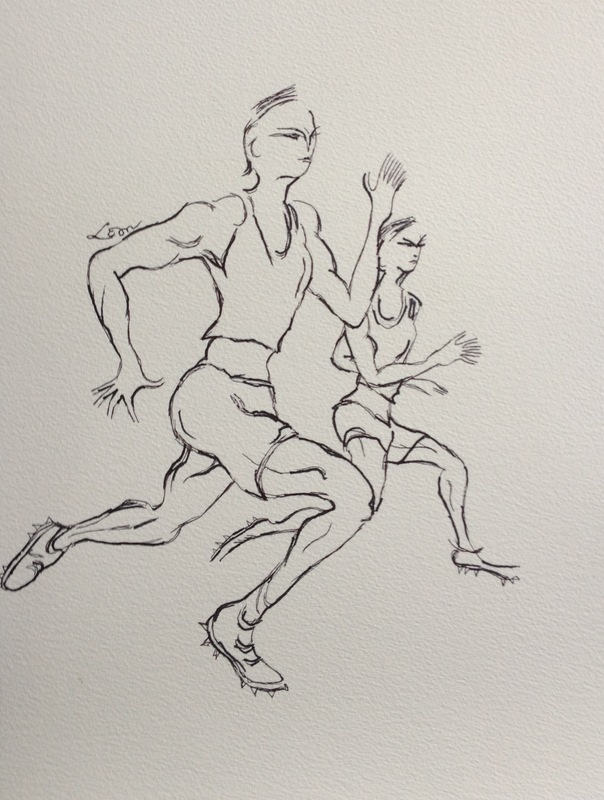 Continued participation and cyber security – friends or foes? Disclosure of the NSA’s global surveillance activities dealt a severe blow to people’s trust in digital society. 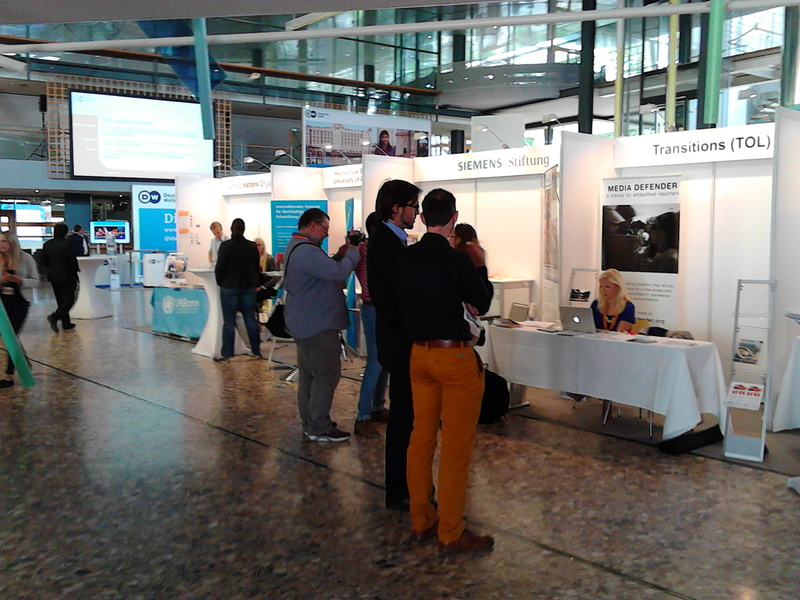 After noon time coffee break there were some workshops. I joined in “Cyber attacks, energy security and terrorism – A NATO perspective on emerging security challenges in the 21st century”. 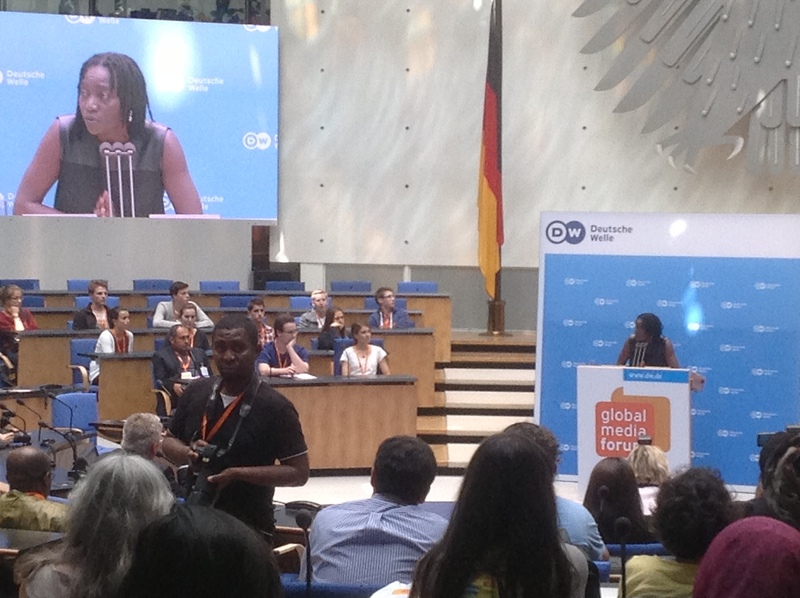 Auma Obama, Chair, Sauti Kuu Foundation, Kenya/Germany gave her keynote speech and closing address was given by Peter Limbourg, Director General, Deutsche Welle, Germany. Both speeches contained the message concerned with the stand of global media for the sake of building and protecting humanistic society, individuality in the ever changing media world. 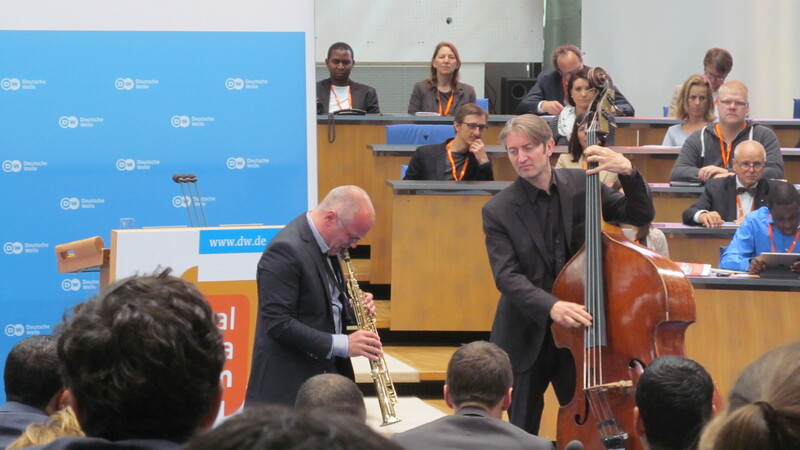 Reception at Deutsche Welle headquarter was hosted by the Mayor of Bonn City. I think we all were honored to enjoy that reception party. Remarkable moment! 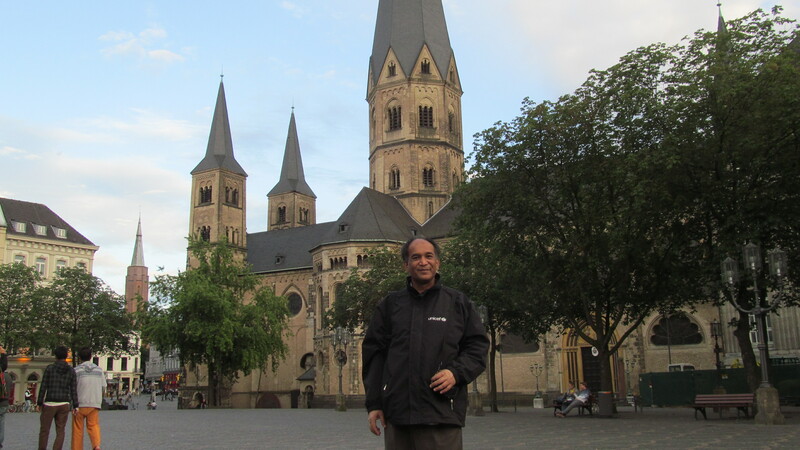 I left Bonn on 3rd July, through Frankfurt and Bangkok, safely reached back to Yangon on 4th July. After GMF I am still in contact, responding questionnaire, getting GMF-photo & blog, writing something in my own social media. 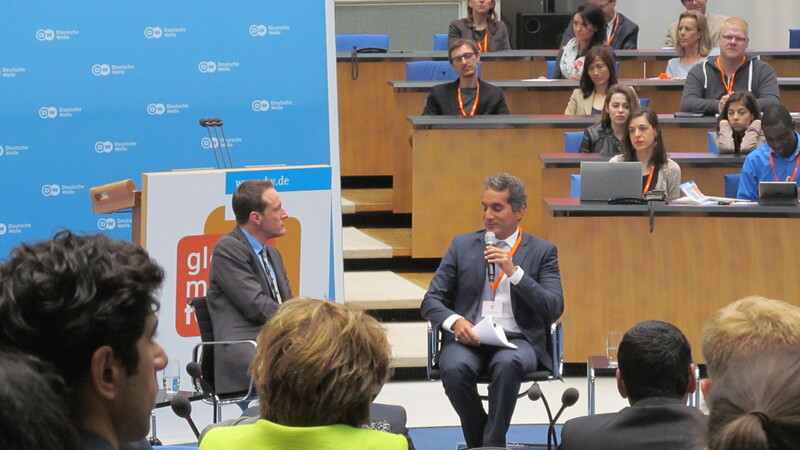 I believe that, the mission of GMF was accomplished for this year and hoping to continue. 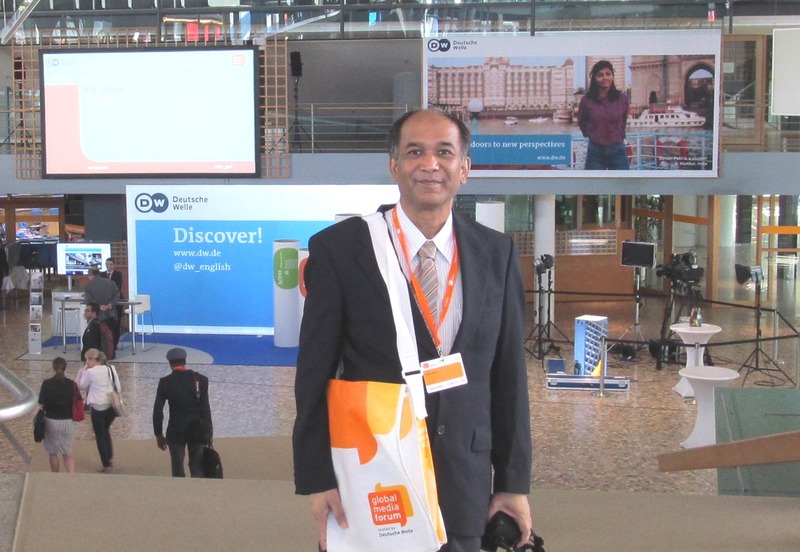 The greatest message I get from GMF 2014 is keep connected for humanity whatever the challenges we have faced. All the events of speech, performances, and workshops were lively and full of enthusiasm. Presentations, debate and discussions, remarks and comments were interactive. 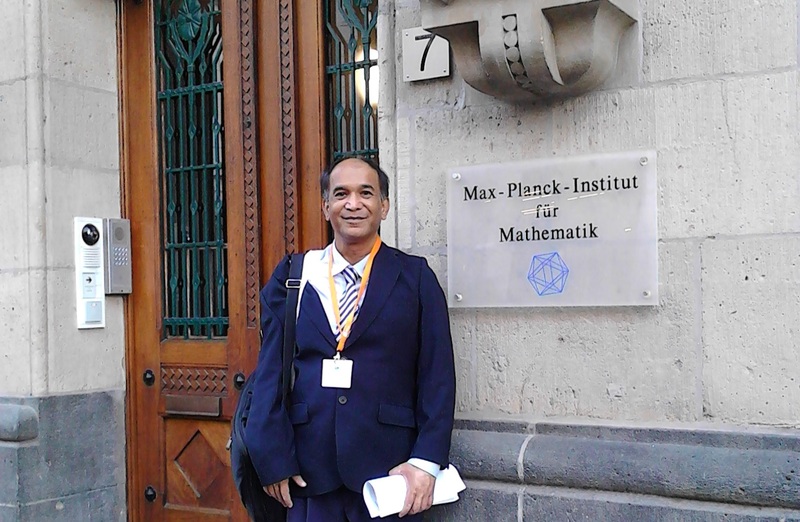 Widening of knowledge, sharing some know-how, and most importantly changing attitude were happened in this GMF. This was not only the meeting of heads but also of hearts. Epoch making was that more than 2000 representatives with multicultural backgrounds from the different regions gathered here and became connected to each other. 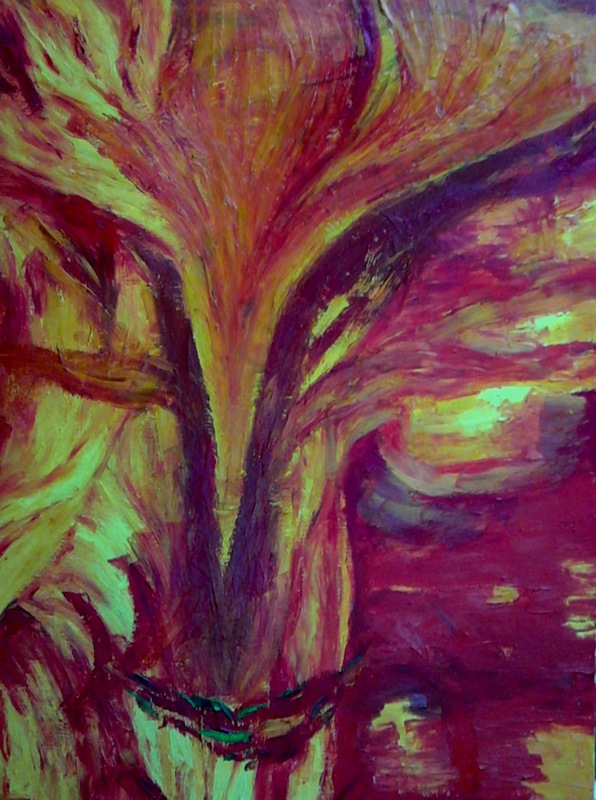 I have confidence that the process will eventually going forward as ignition of a fire or growing of a tree. 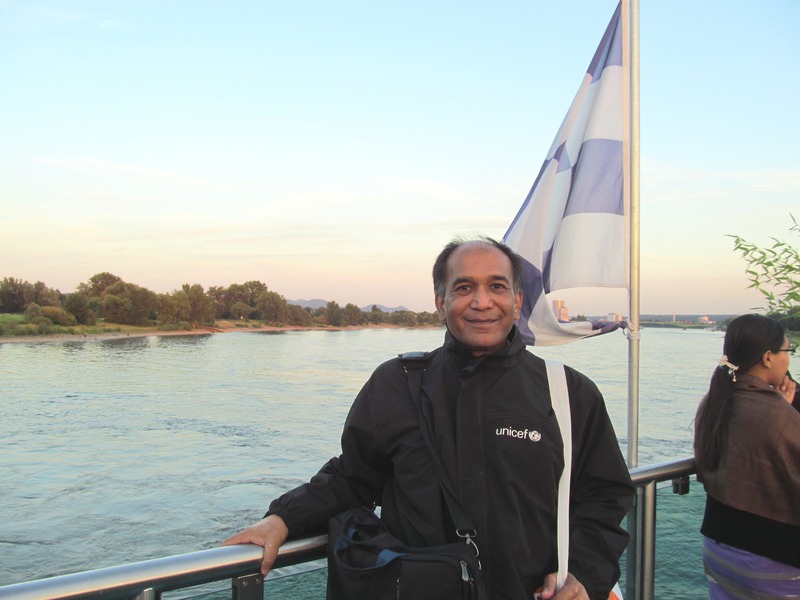 For my impression, Bonn on the Rhine is an appropriate place to hold this conference, because of convenient space and strong background of historical, cultural, and socio-political significance. I have to note that the summer days also were enchantingly beautiful. 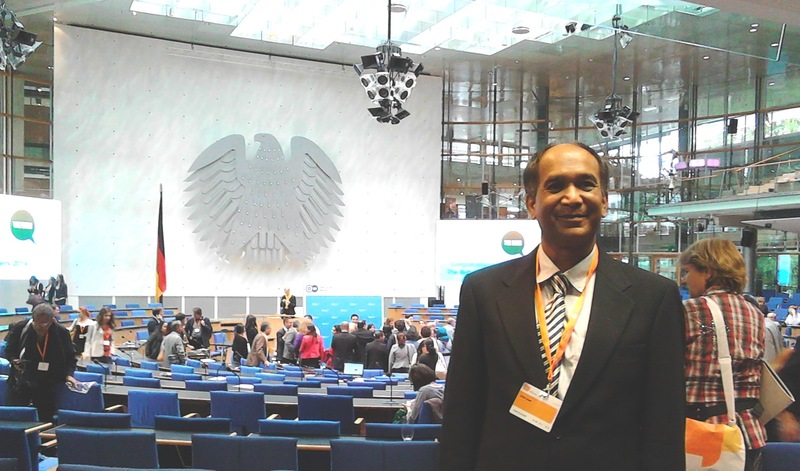 Hope to participate more actively in next GMF. 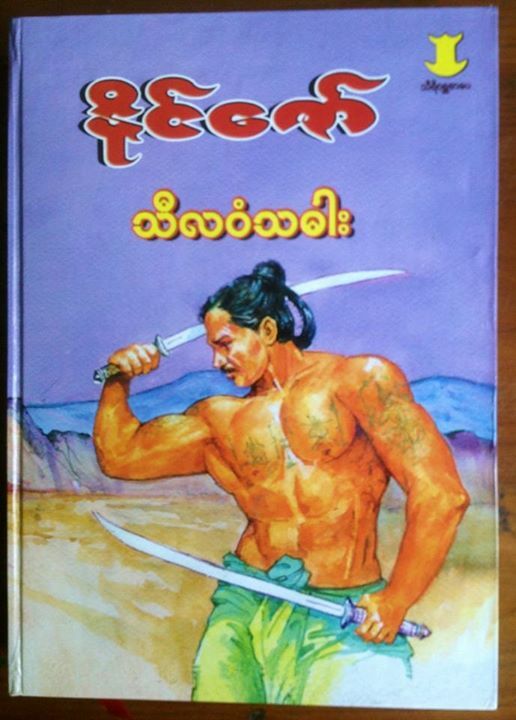 Novel by Naing Zaw Story of Prince Siddhartha in 5 parts. 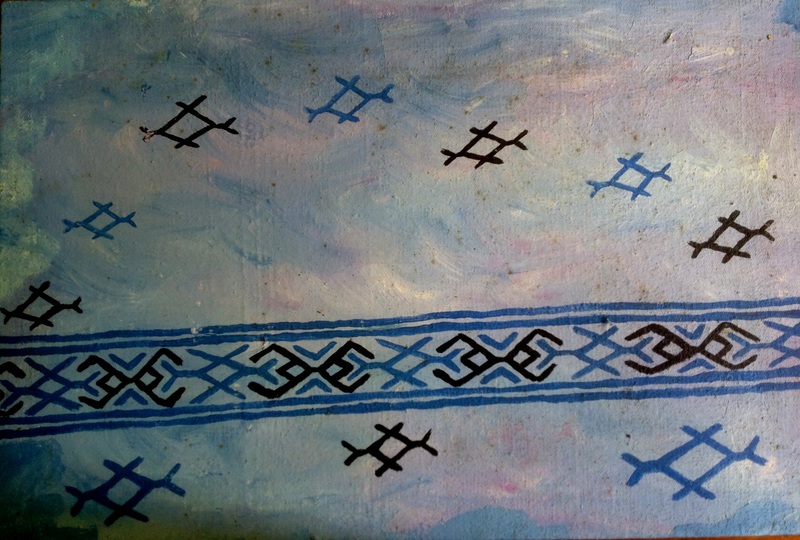 e) beyond the river Anawma; episode of departure from palace to the recluse and holy venture. 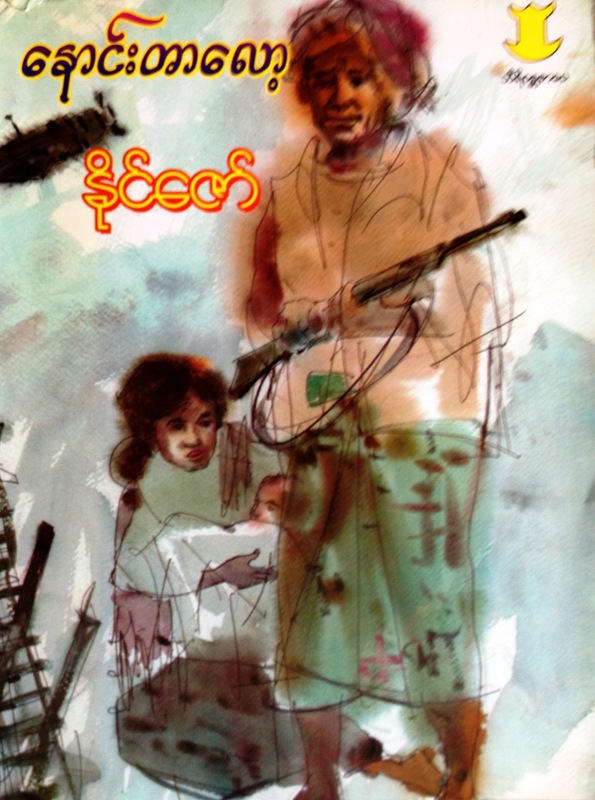 “Silavamsa Dah” (The Sword of Virtuous Descendants) by Naing Zaw was winning Myanmar National Literature Awards 2013 as best novel. 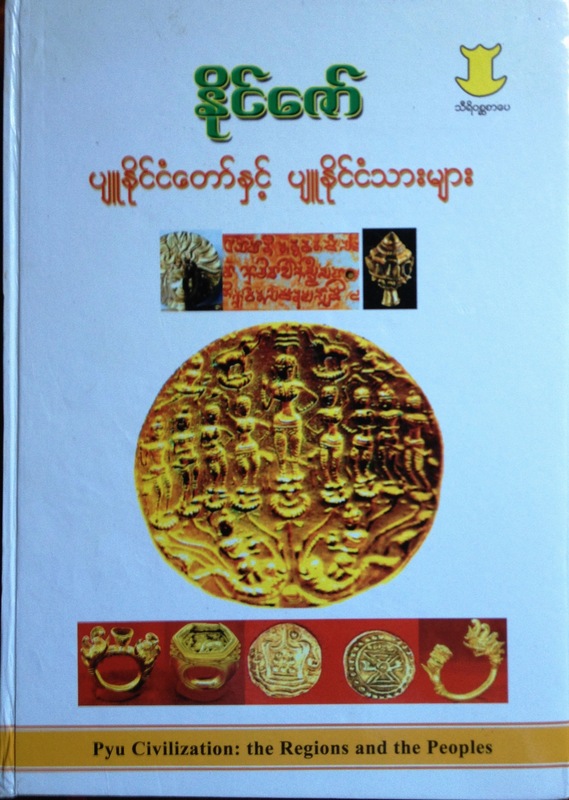 Myanmar National Literature Awards which have been presented since 1960s. 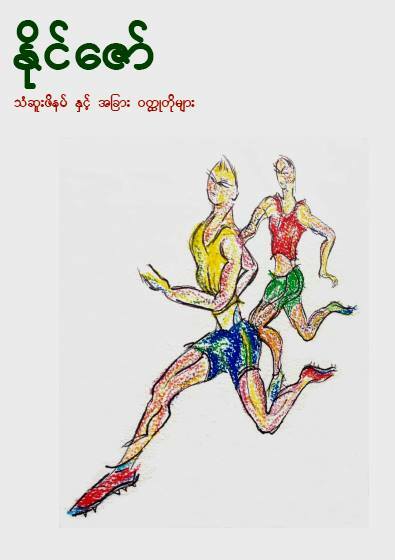 They are for the best literary works published in the previous year in each category as determined by a selection committee “Palace of Literature”, with an objective to promote Myanmar National literature. 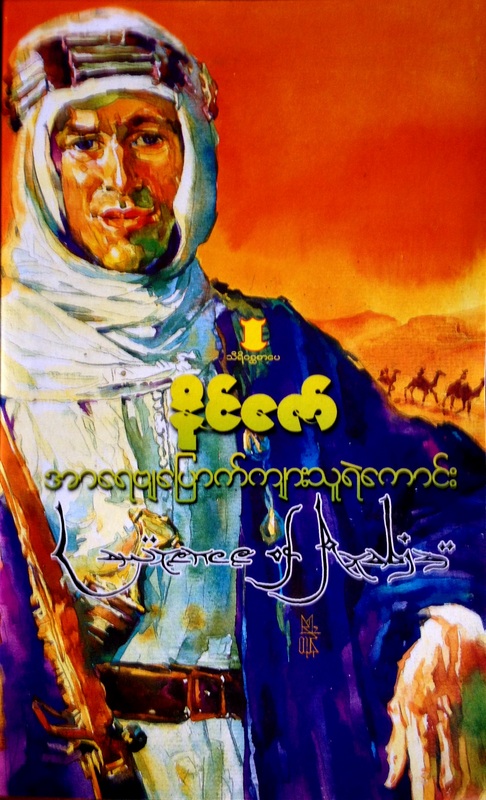 “Silavamsa Dah” was a historical novel, covered the 2nd Anglo-Burmese War (1851-53) with numerous characters both the real and fictionalized, complicated narrative in various places with the events of the peace and war, courage and cowardice, love and hatred, happiness and sufferings. Backdrops Time: from 1851-1853 Space: from Amarapura (Myanmar’s capital in that time) through Rangoon, Mawlamyine, Pegu, Prome, Da-Nu-Phyu to Culcutta (Capital of India under East India Company and British Raj). 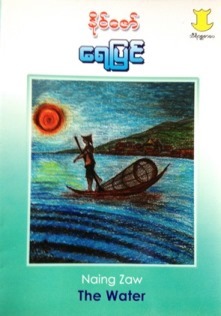 Culture, nature, visions, sounds, colours and fragrances of environment anf people. It is a translation of “The Power and the Glory” by British author Graham Greene, a story based on the time during a vicious persecution of the clergies in Mexico. A worldly ‘whisky priest’ is on the run, with the idealist police closing in, his routes of escape are being shut off, his chances getting fewer. But compassion and humanity force him along the road to his destiny, reluctant to abandon those who need him, and those he cares for. 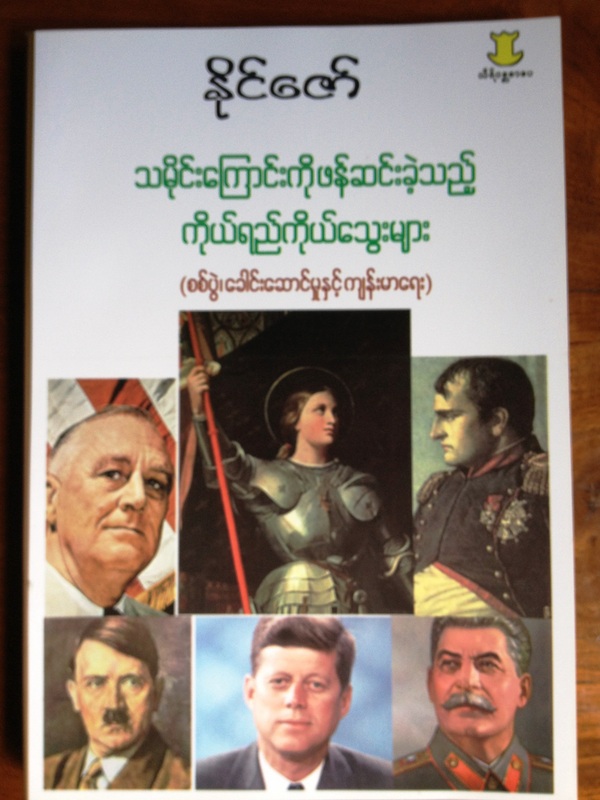 Gratified for the all efforts of translating this remarkable book, which first published in 1940. 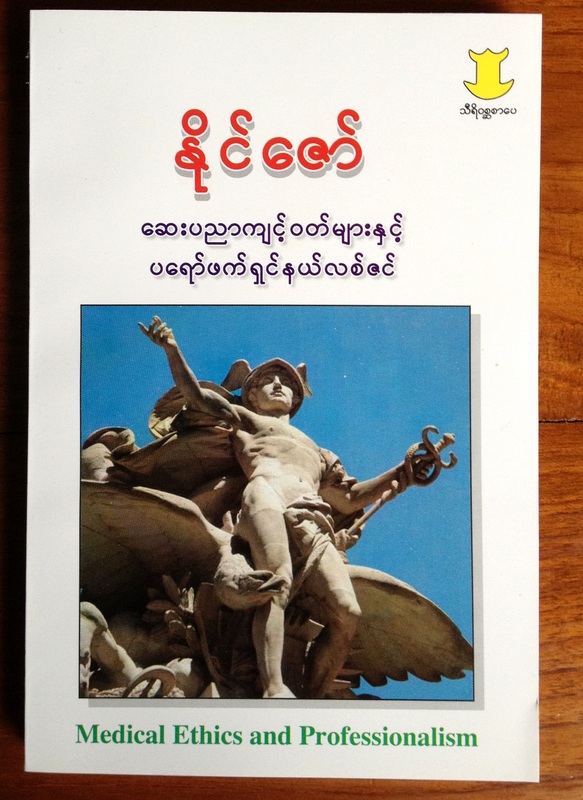 After 75 years, indeed a Diamond Jubilee, it comes up in Myanmar (Burmese) version from “Srivatsa Publication”. 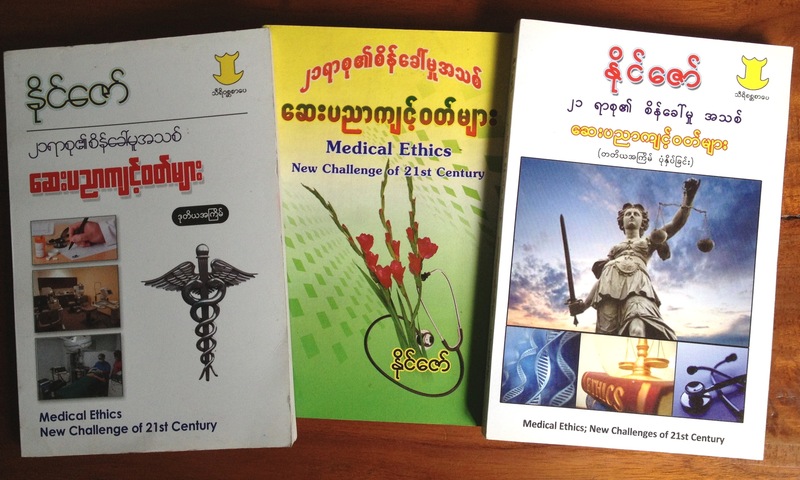 Some articles on medical ethics, in Burmese, were compiled in the first book of this series, “Medical Ethics: New Challenge of 21st Century”, published in …2006. 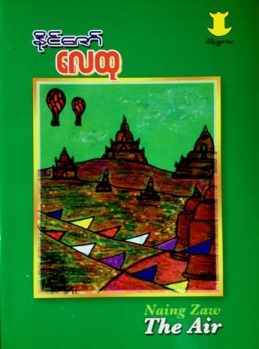 It was reprinted in 2010 and again in 2012. Contents covered the Background of Ethics and Medical Ethics, New definition of death, and issues of the beginning of life, questions of genetic studies, cloning, misconducts, organ transplantations, etc. 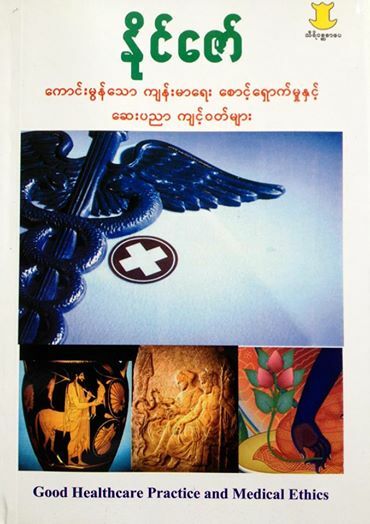 Second was “Medical Ethics and Professionalism” published in 2012. Topics began with defining healthcare and professionalism and followed by “the emblem of medical profession” broadly describing the comprehensive meanings of so called Aescalpian Rod (one snake) and Caduceus (2 snakes). 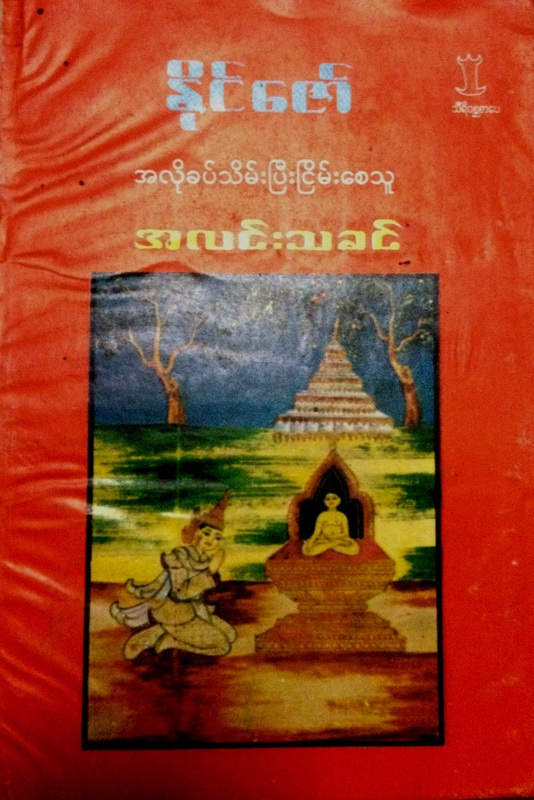 Other chapters were New Hippocratic Oath: A Charter on Medical Professionalism in the New Millennium, Studying the Medical Ethics, Goodwill Vs. Money, Humanism in care practice, Altruism and medical treatments, Utilitarianism, Healthcare in accordance with Buddhism, and Medical ethics in Pluralistic society. 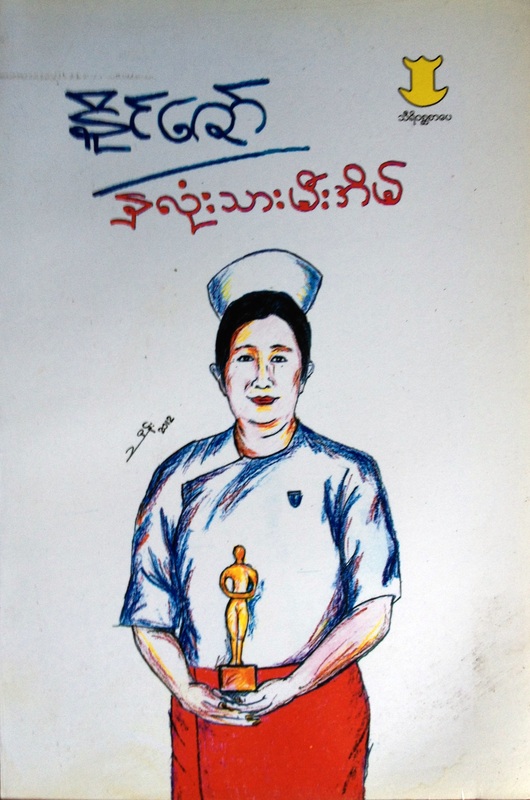 In 2014 September, 3rd book of this series “Good Healthcare Practice and Medical Ethics” with Patient’s Basic Rights and Responsibilities, Patient Safety, Relationship between Healthcare Providers and Seekers, Best Care Practice, finally turned out into the hands of readers. 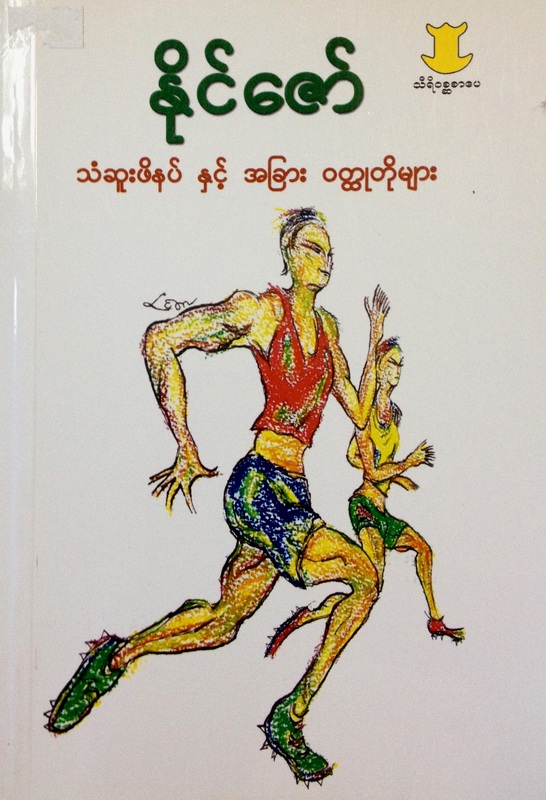 This is Naing Zaw’s 35th book, “Collected Short Stories”, published before concluding 2014.